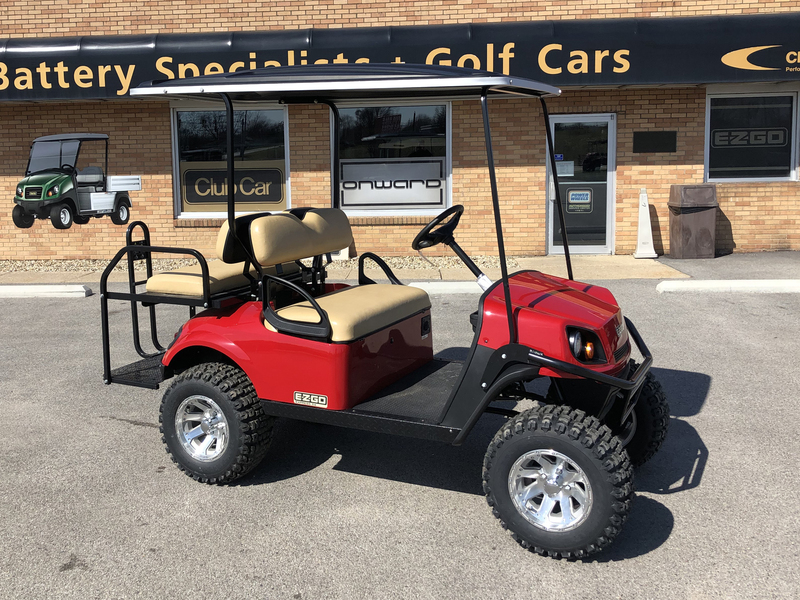 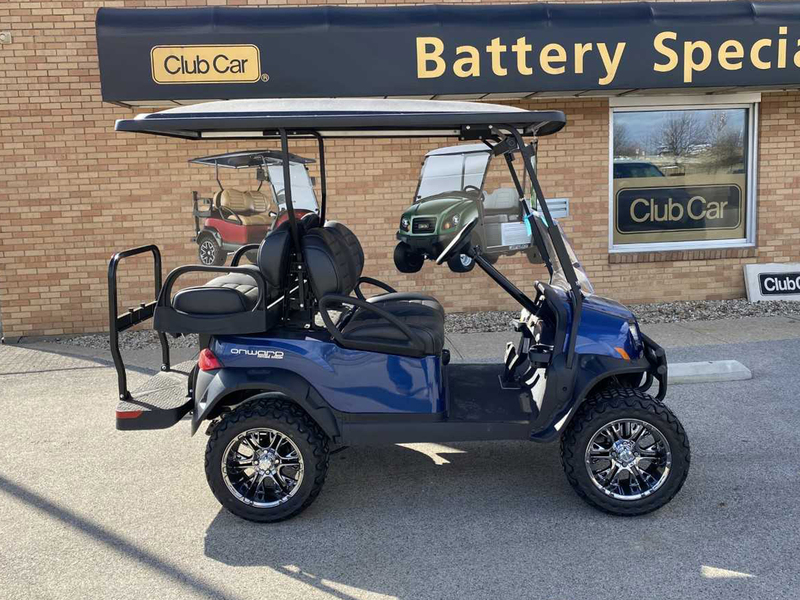 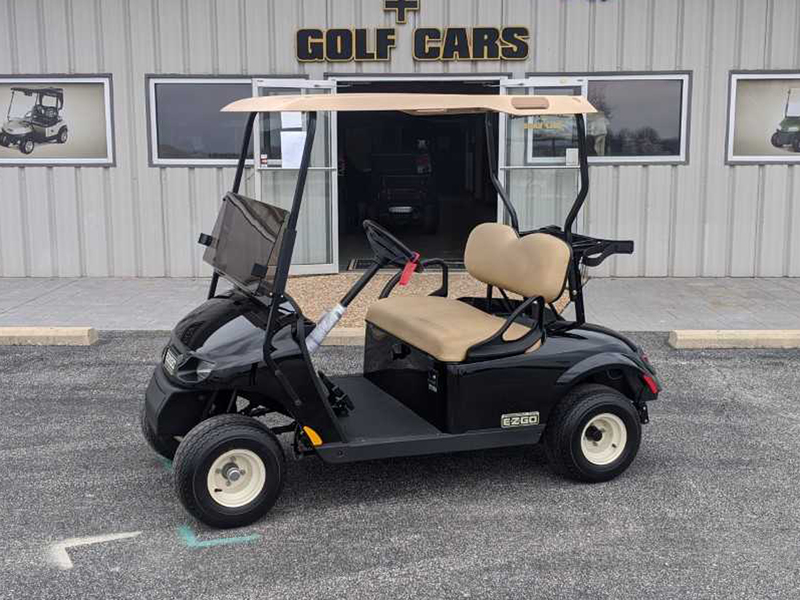 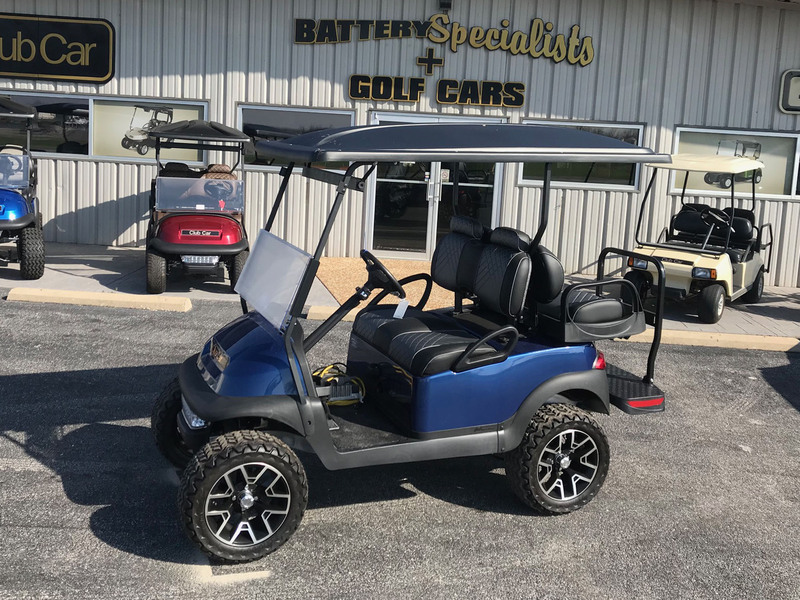 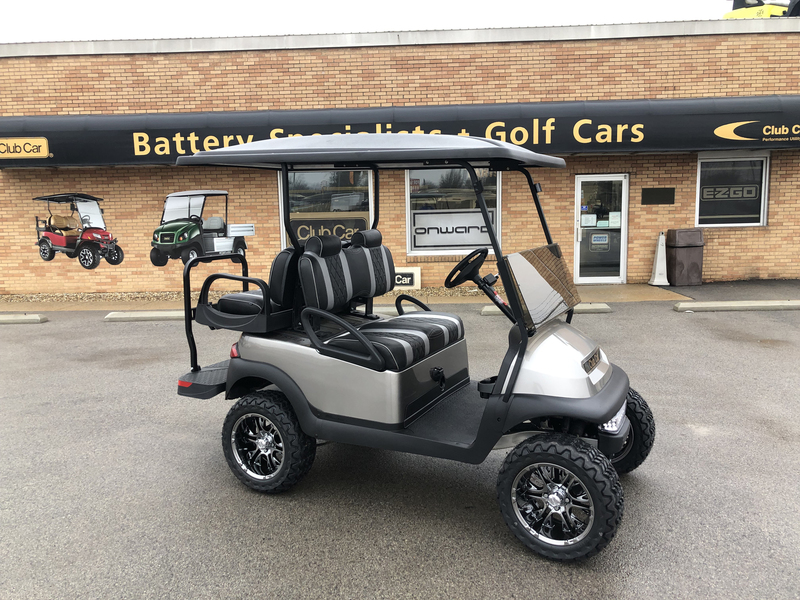 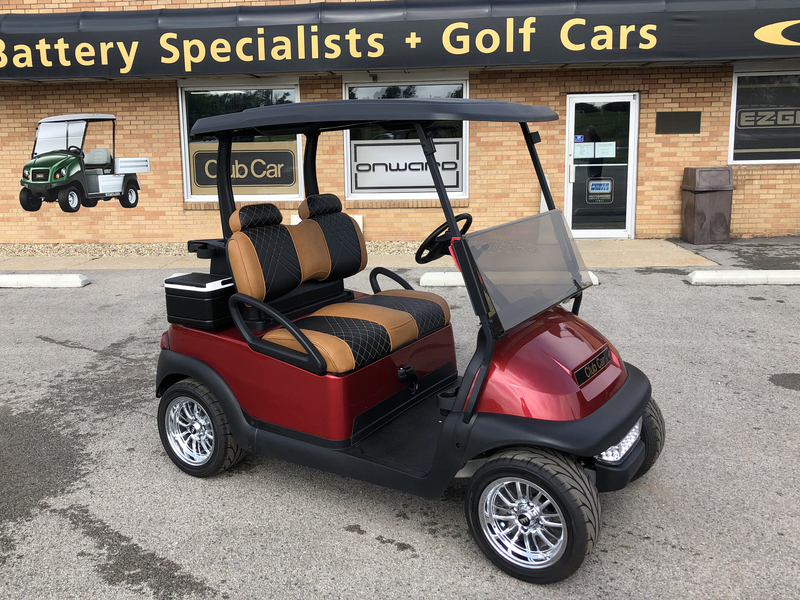 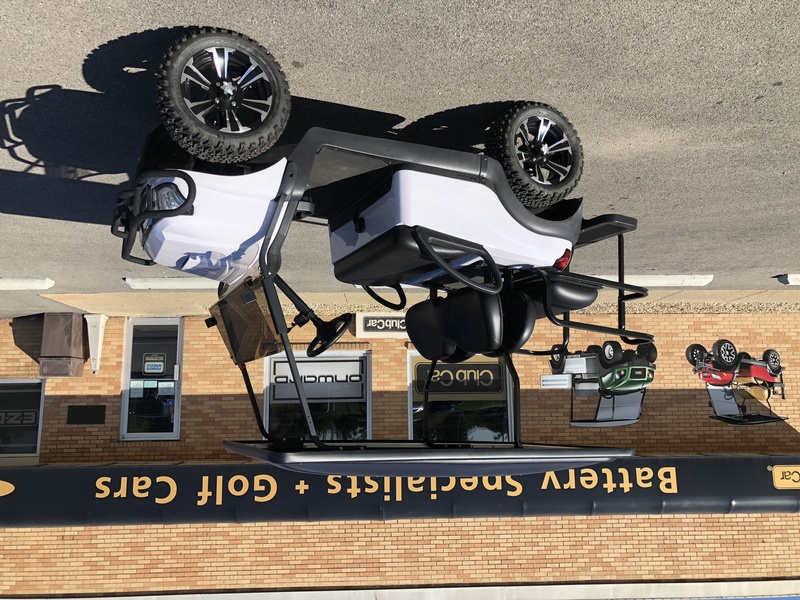 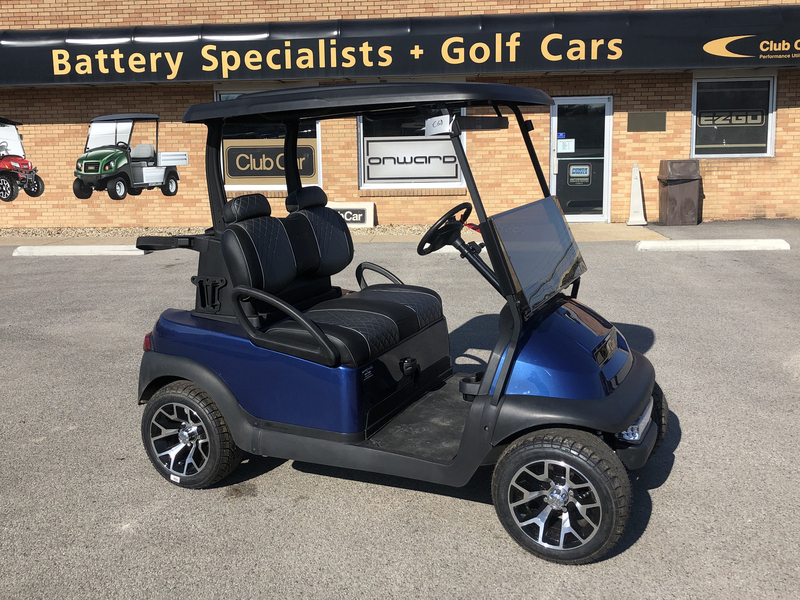 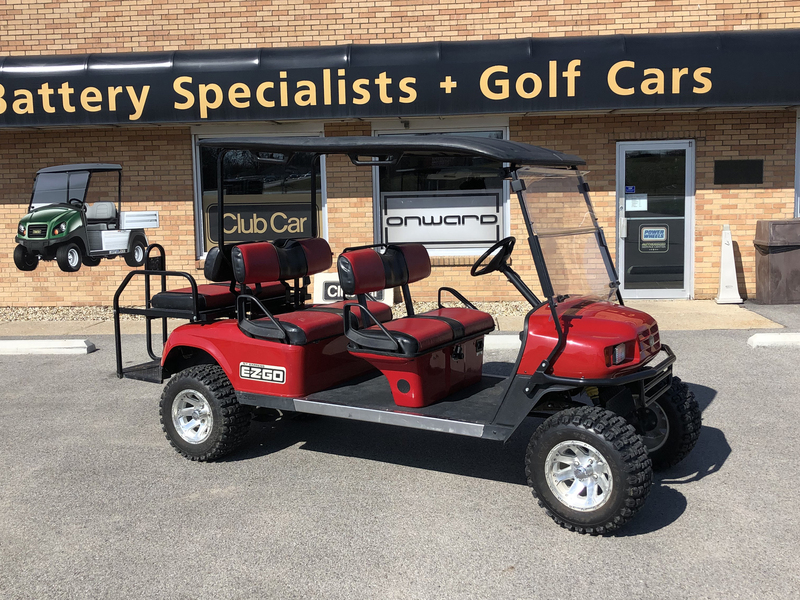 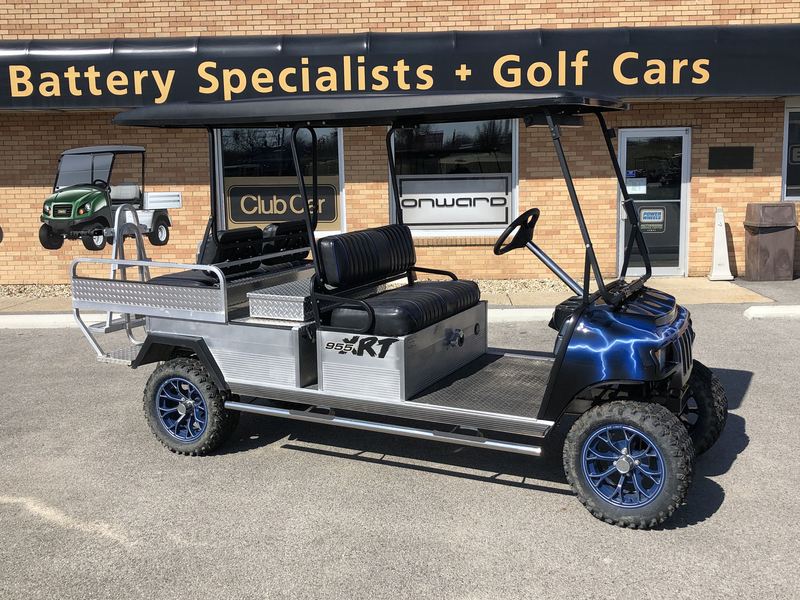 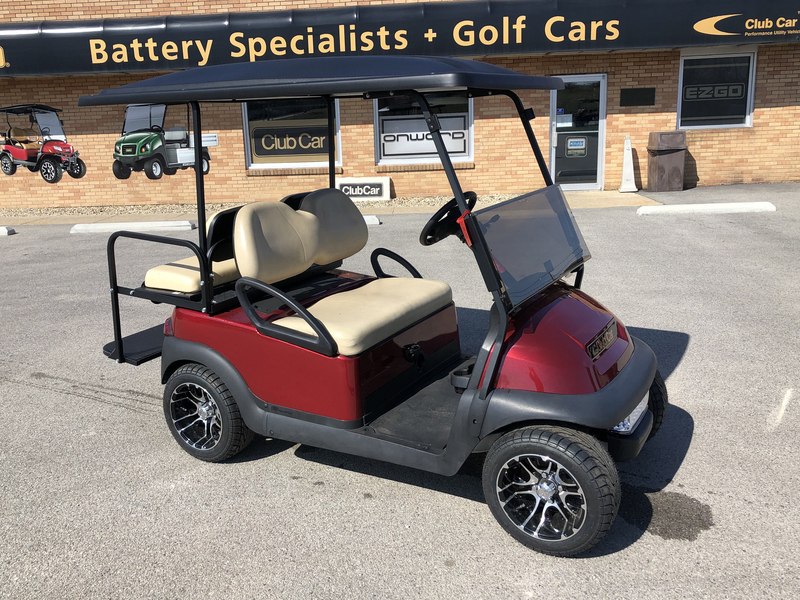 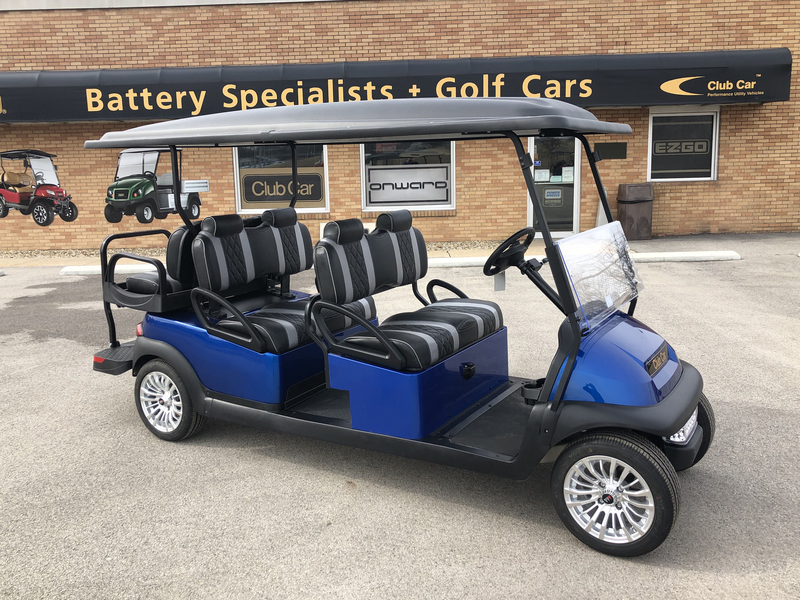 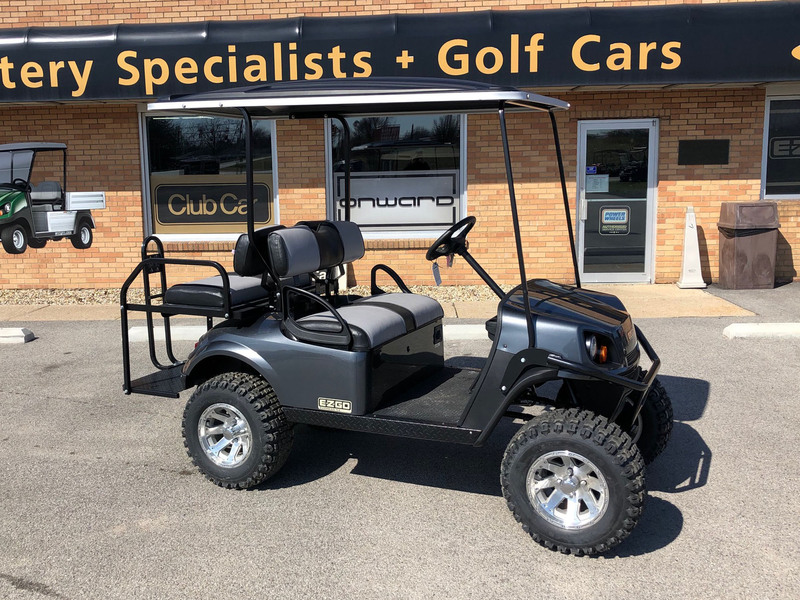 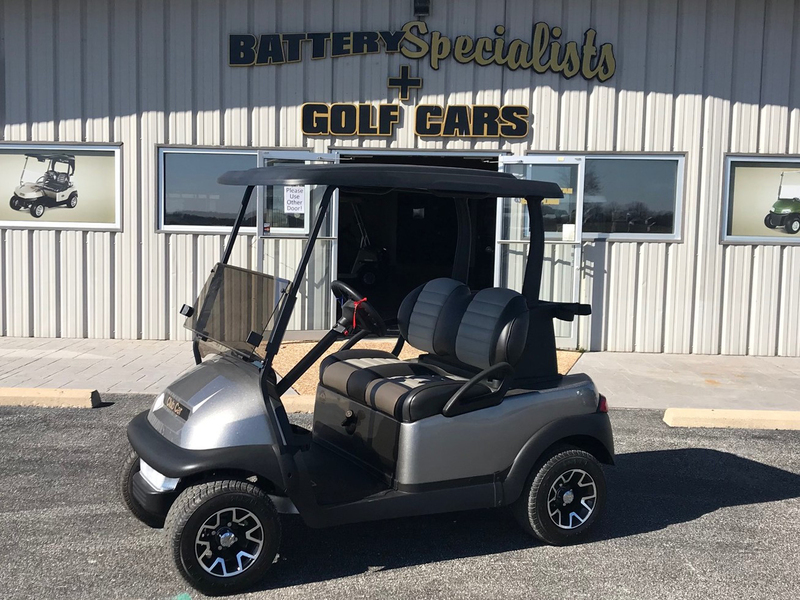 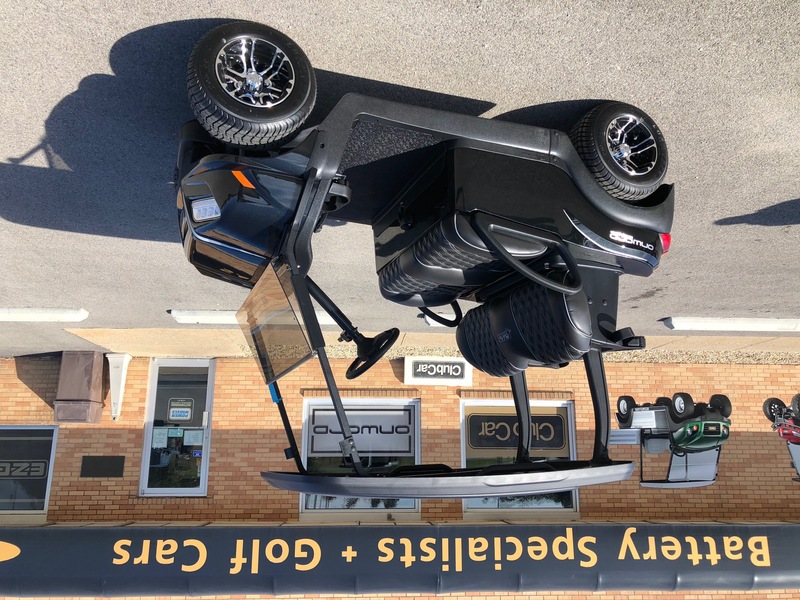 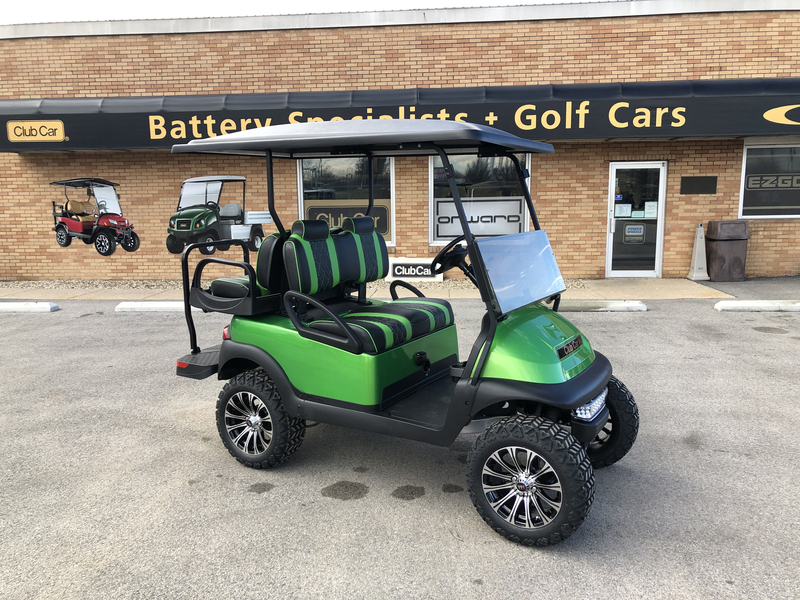 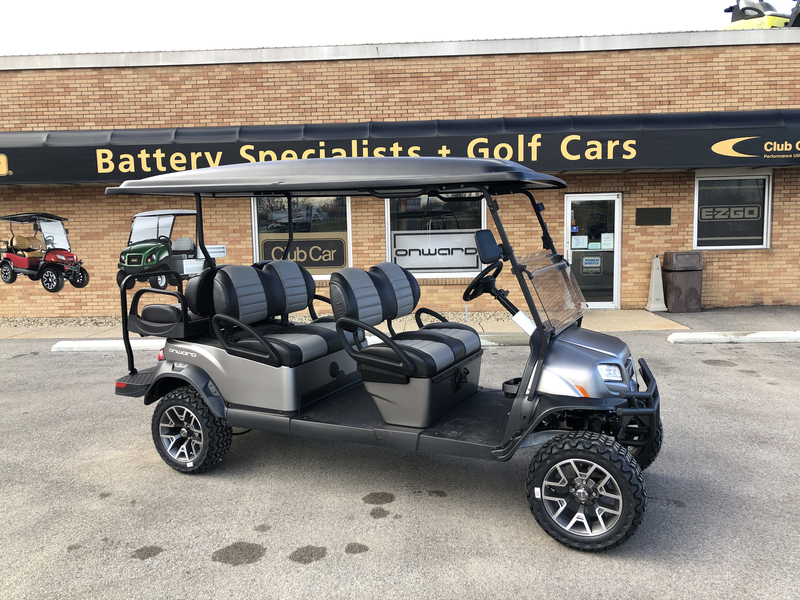 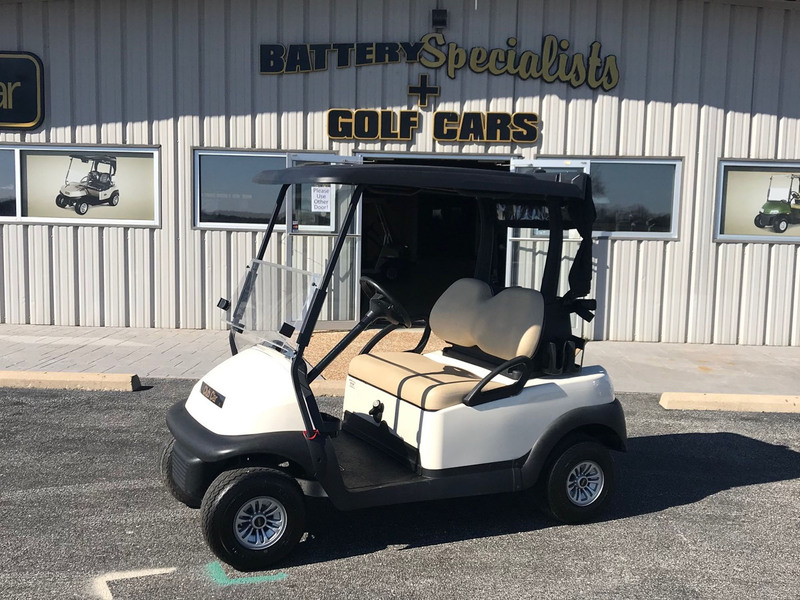 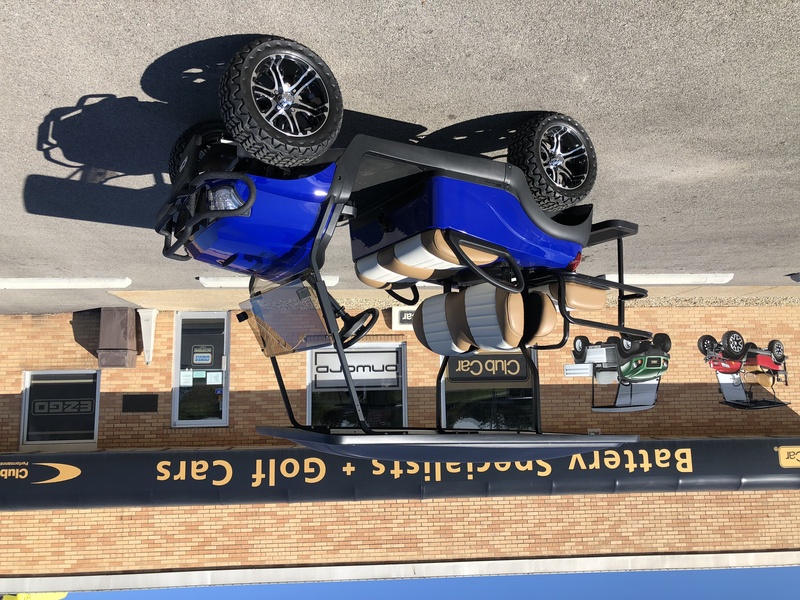 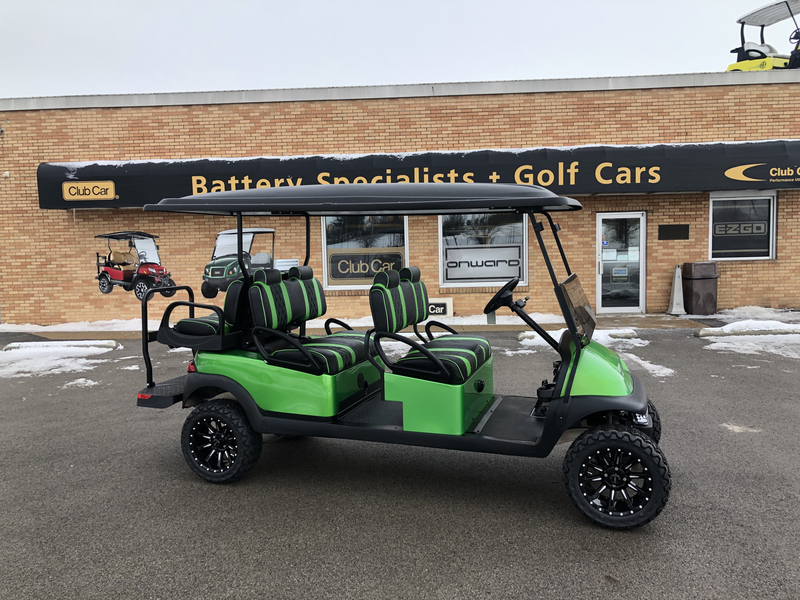 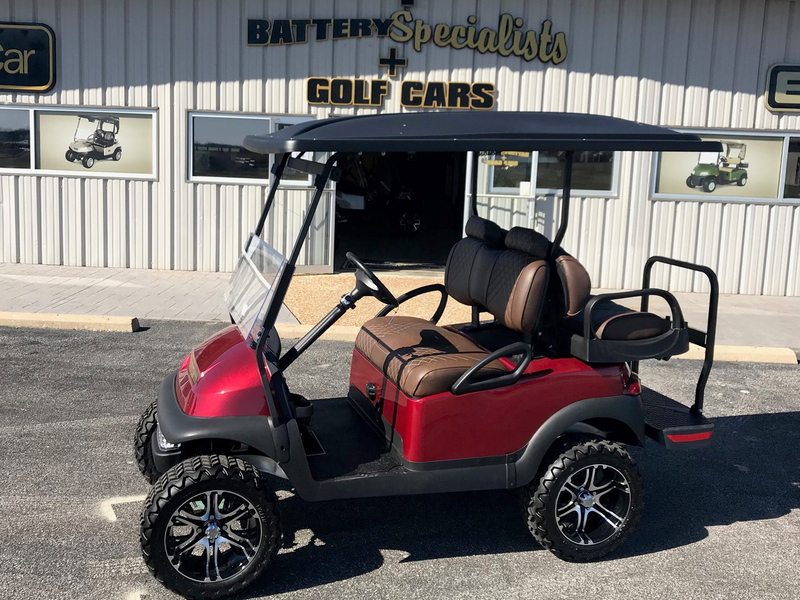 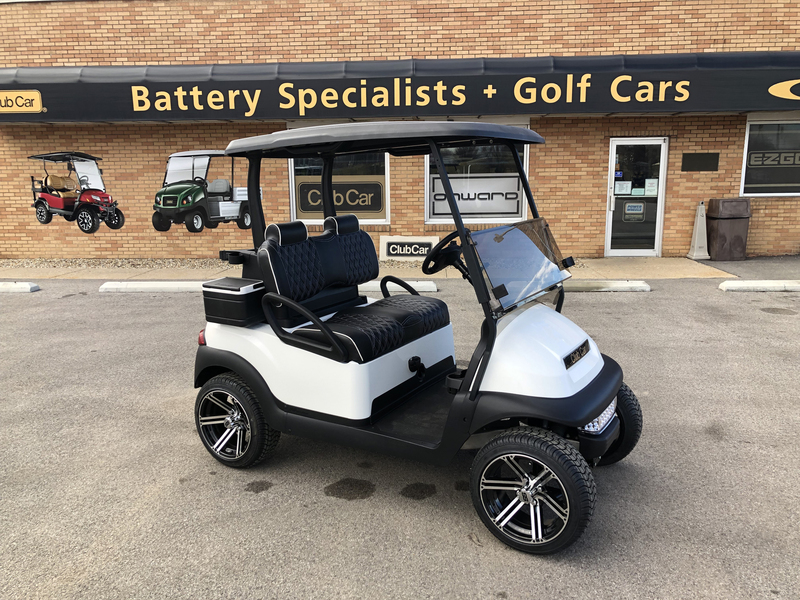 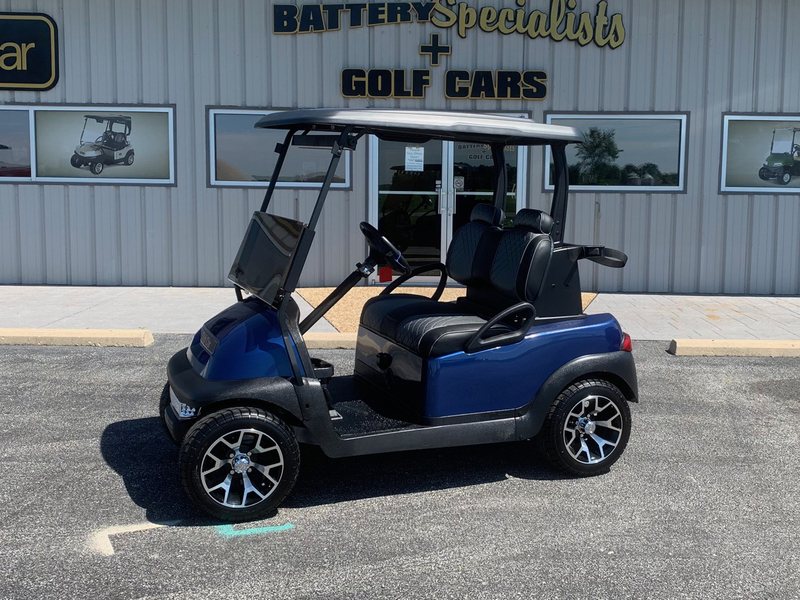 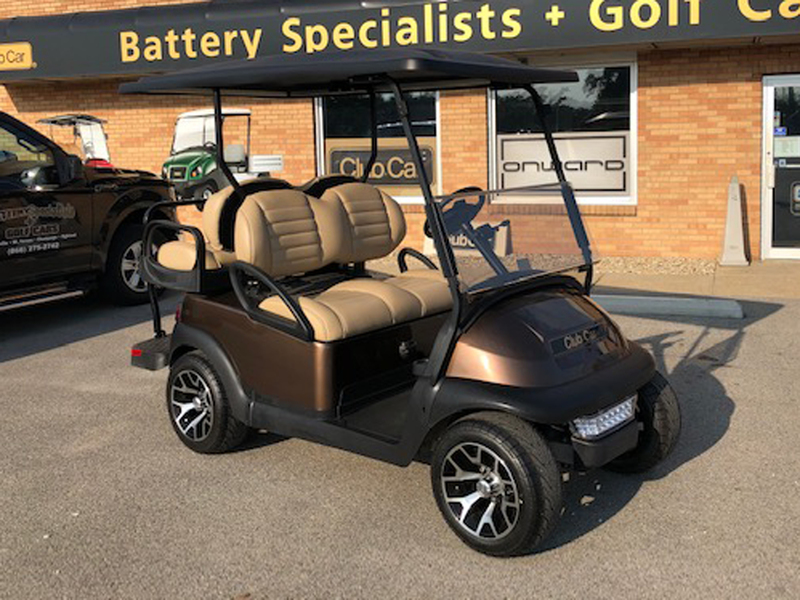 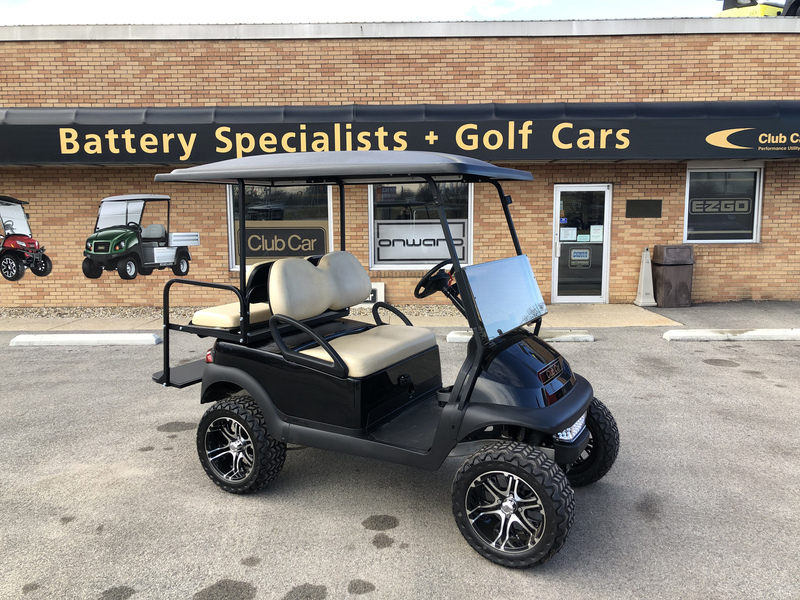 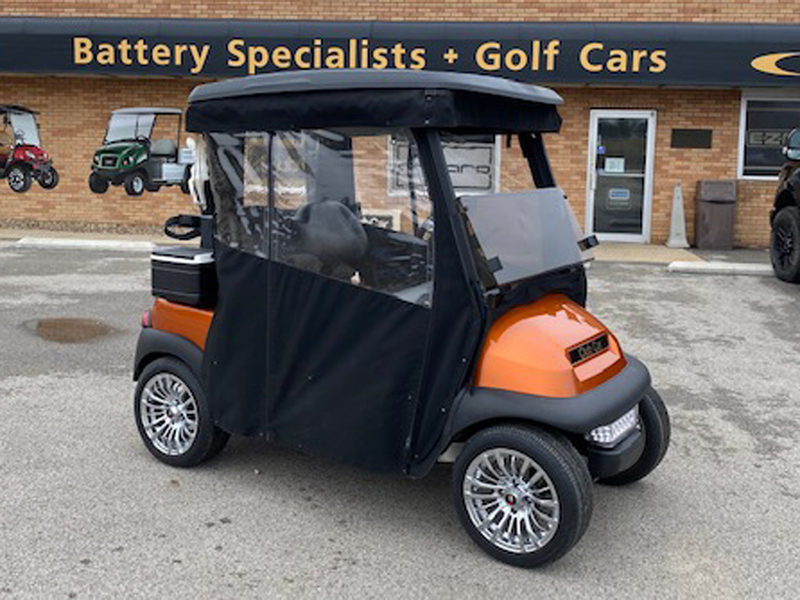 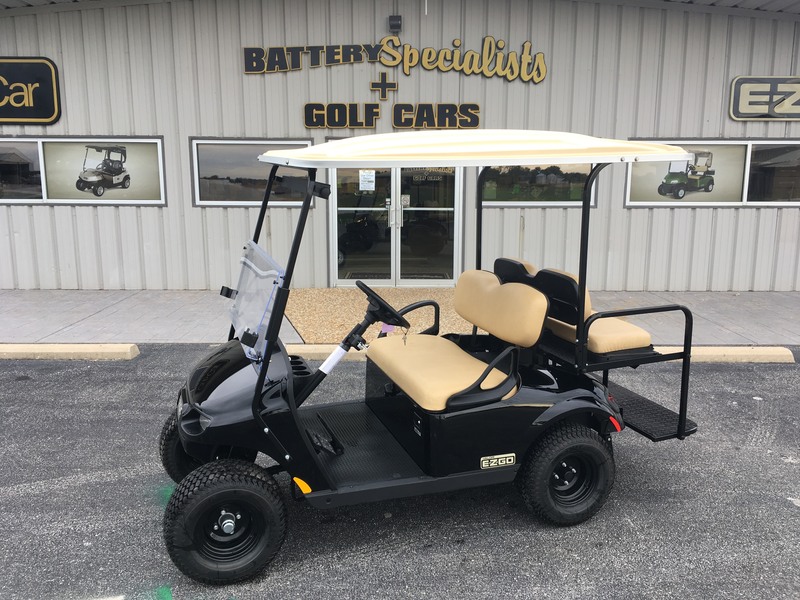 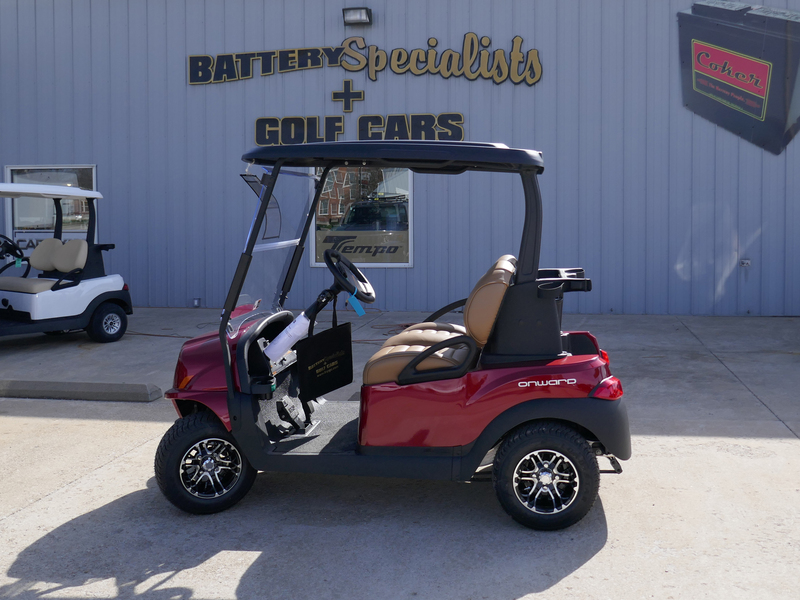 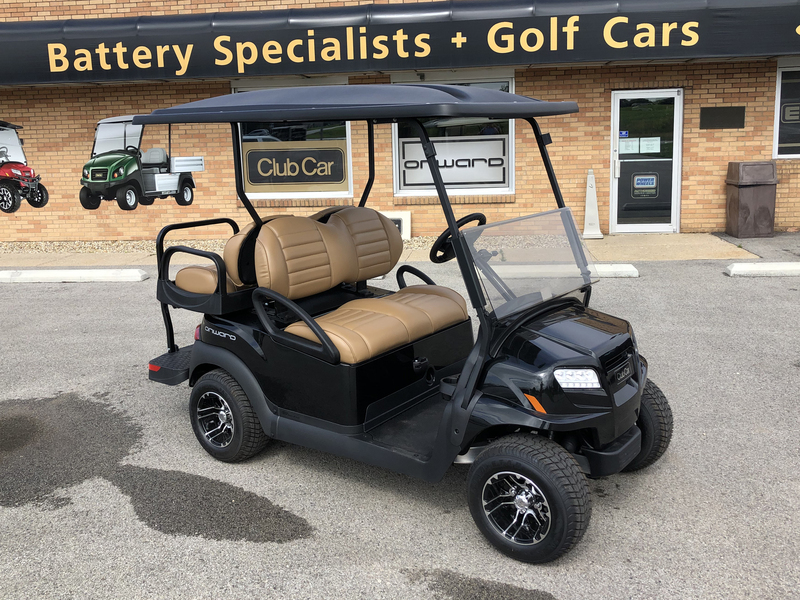 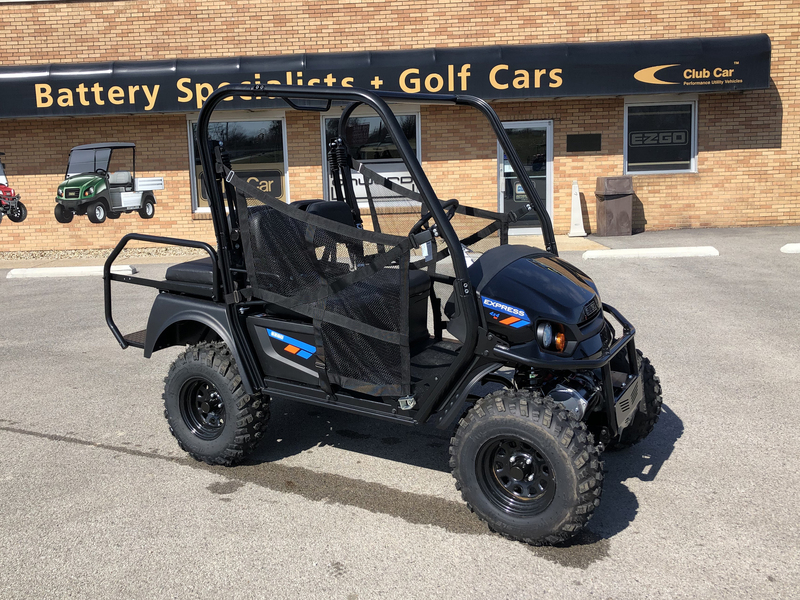 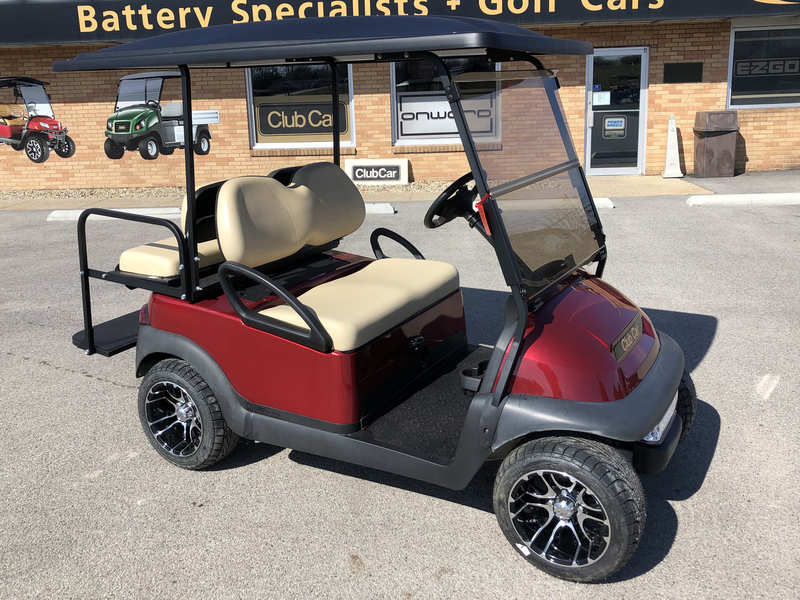 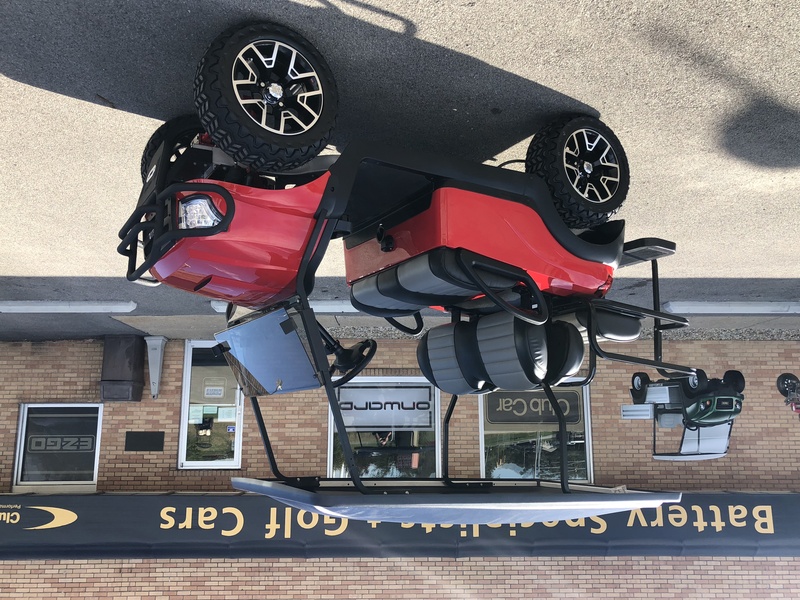 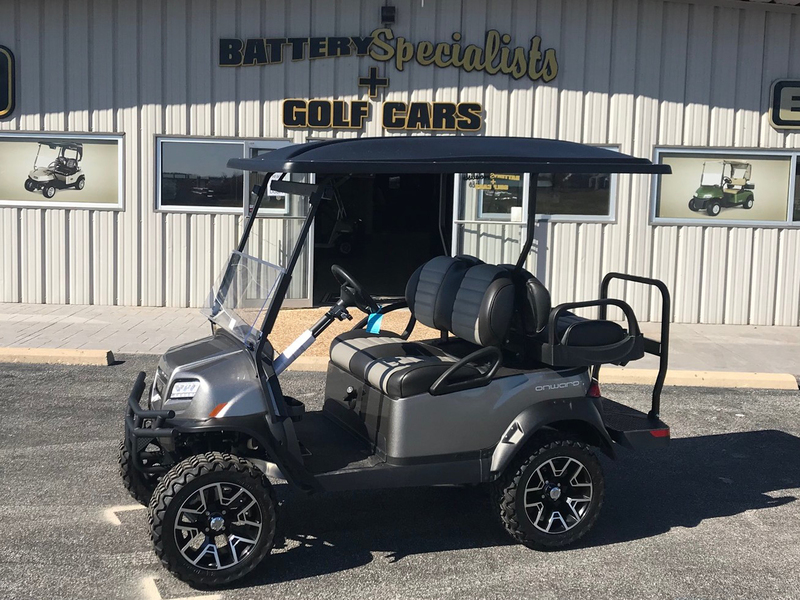 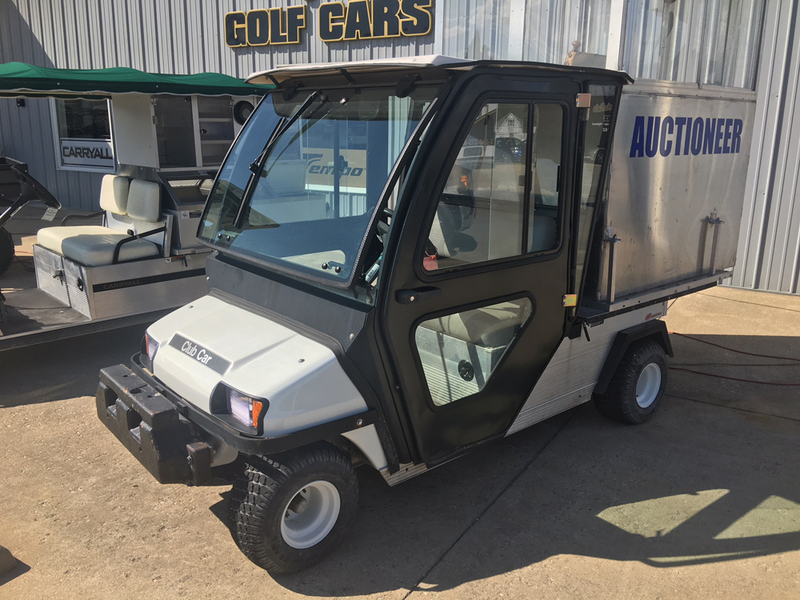 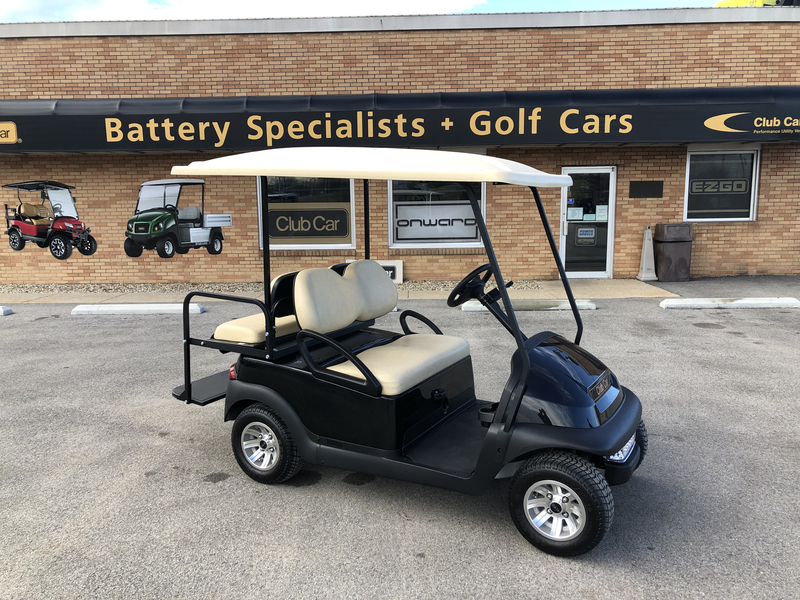 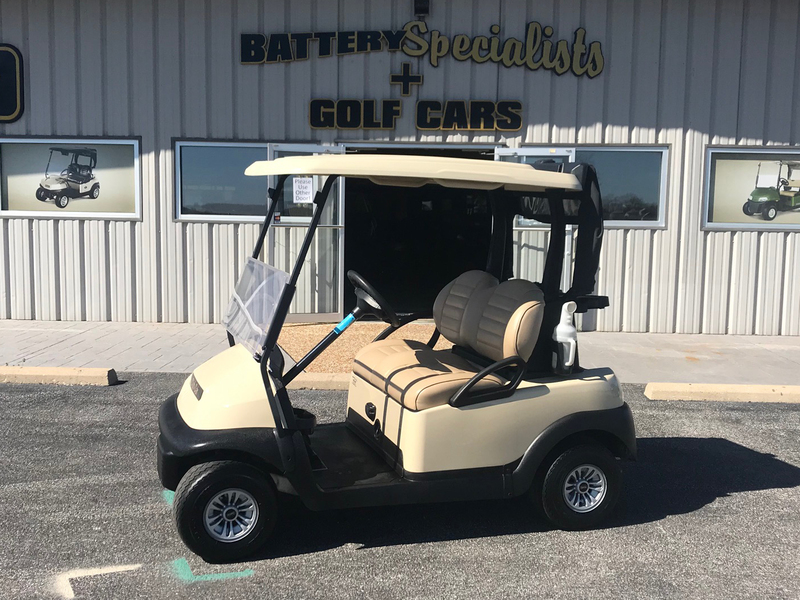 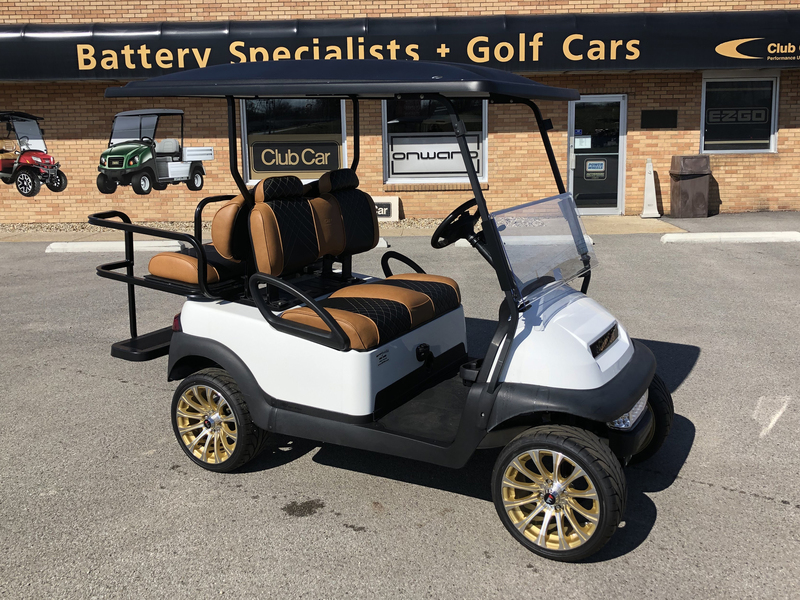 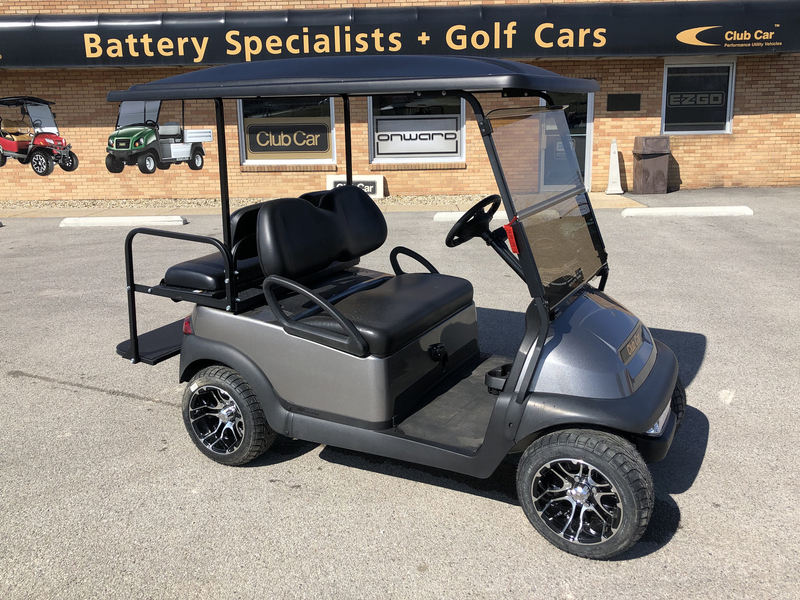 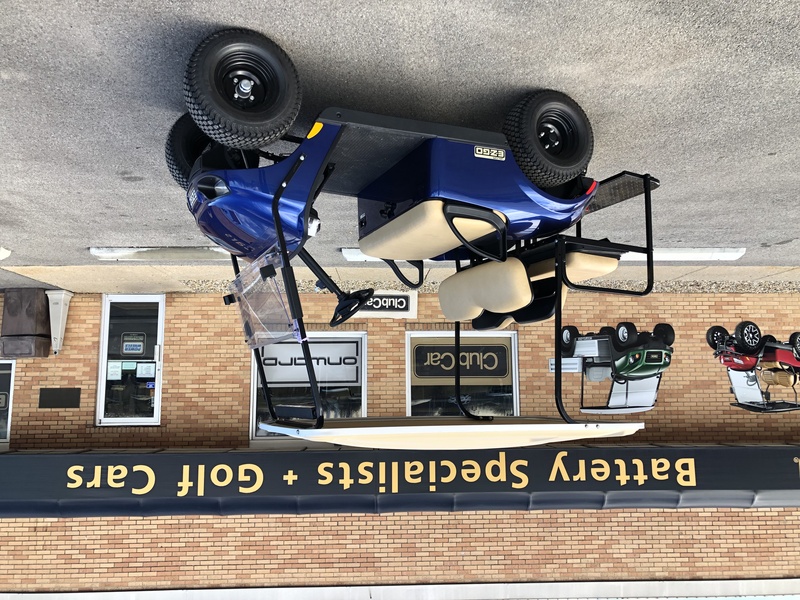 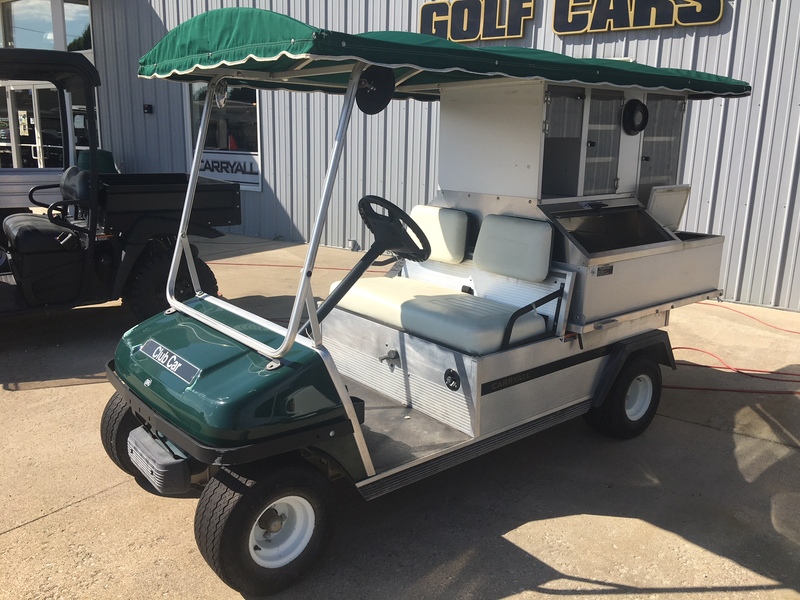 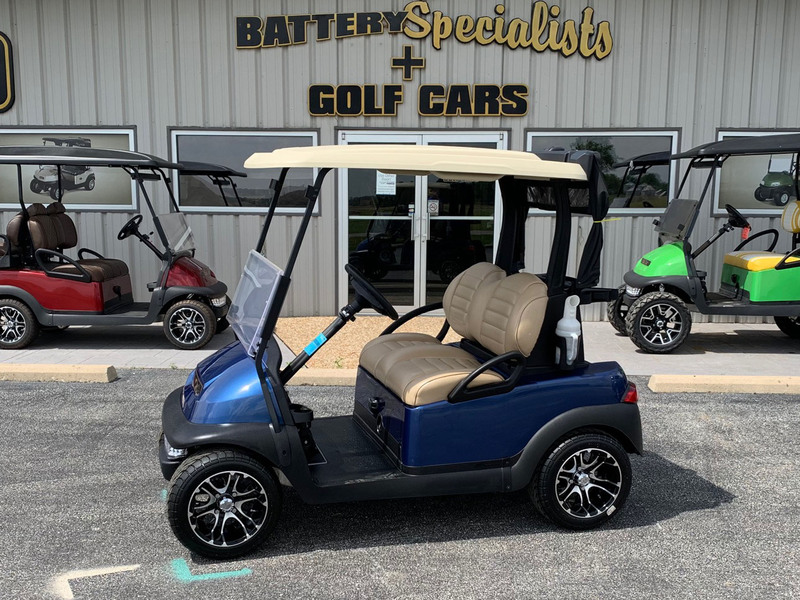 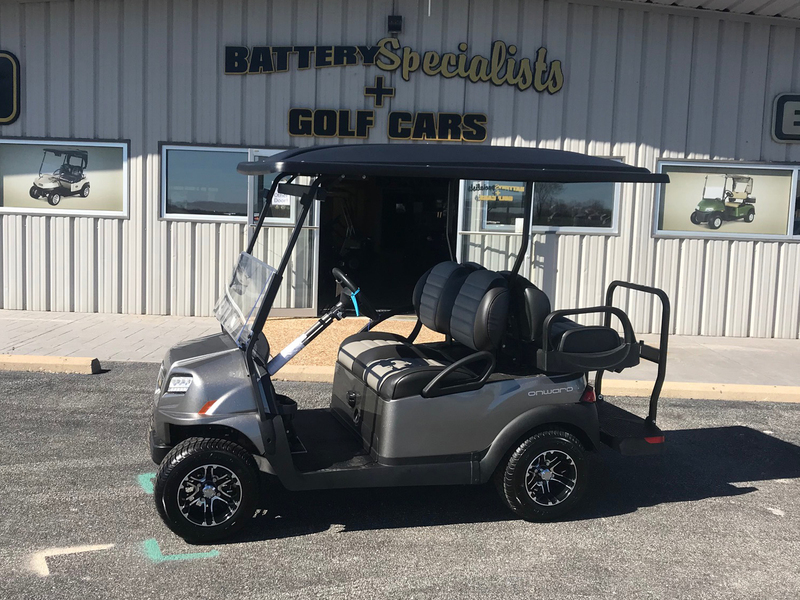 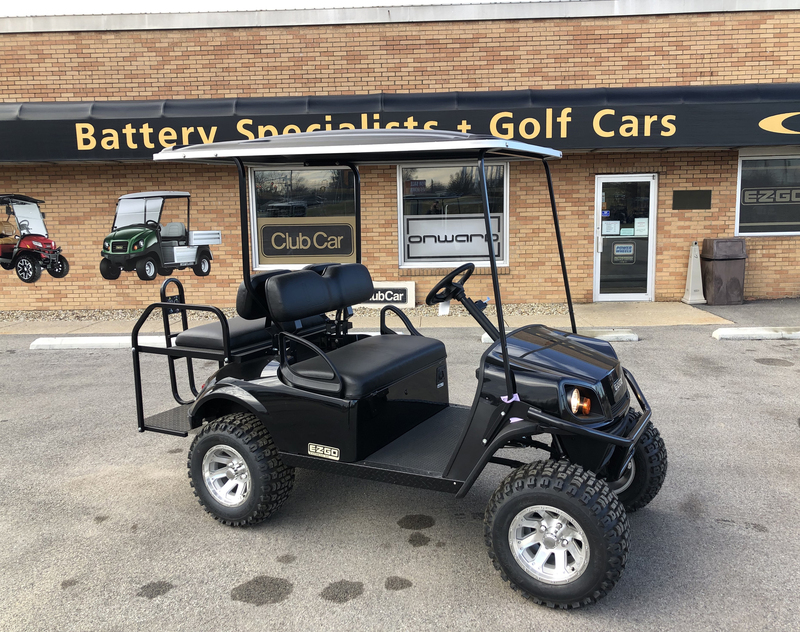 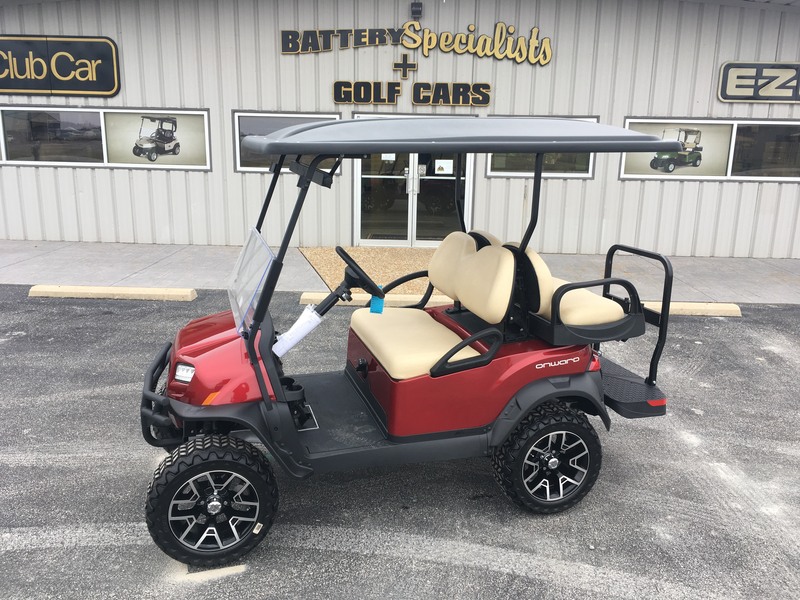 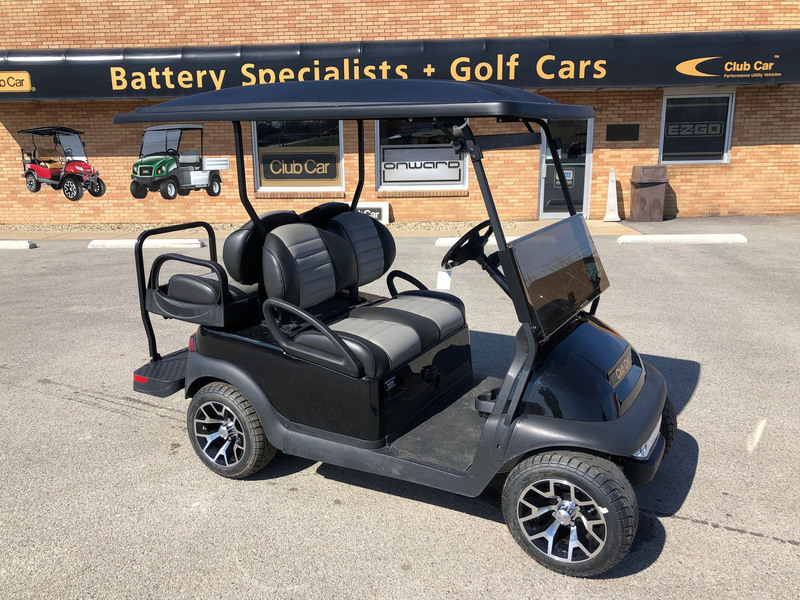 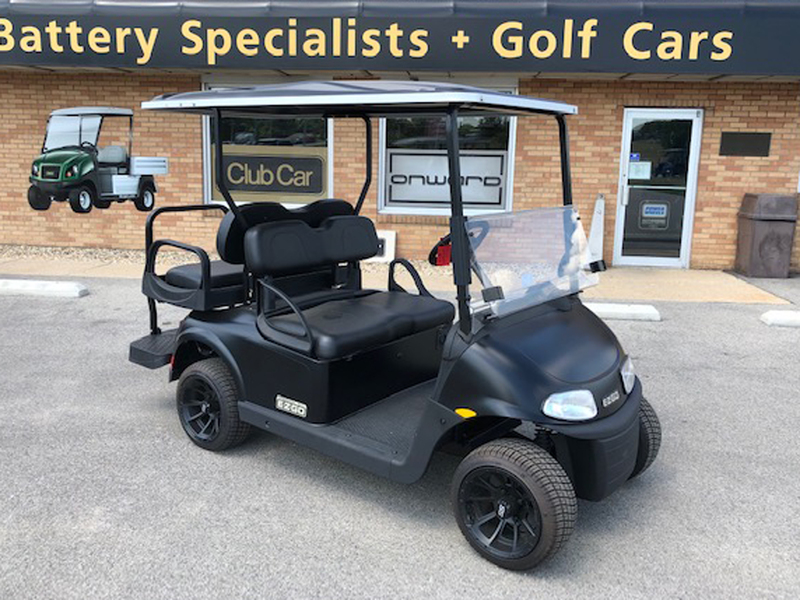 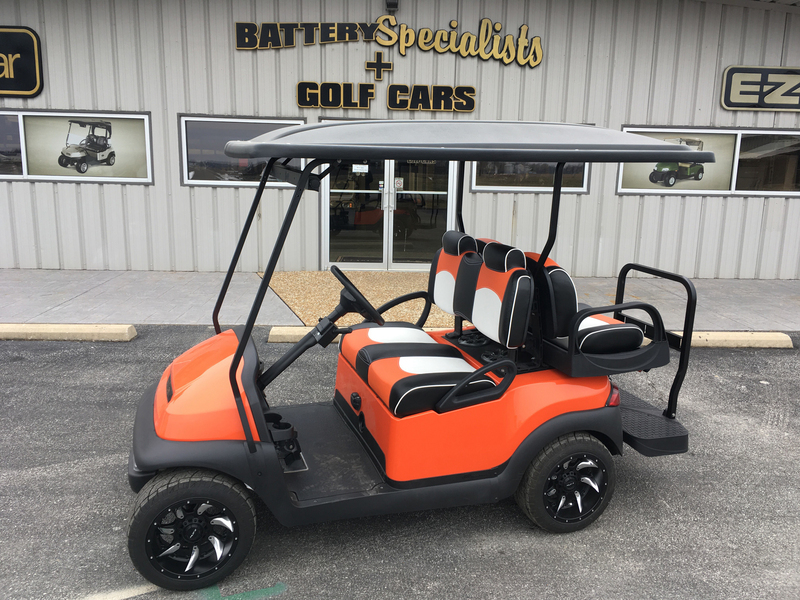 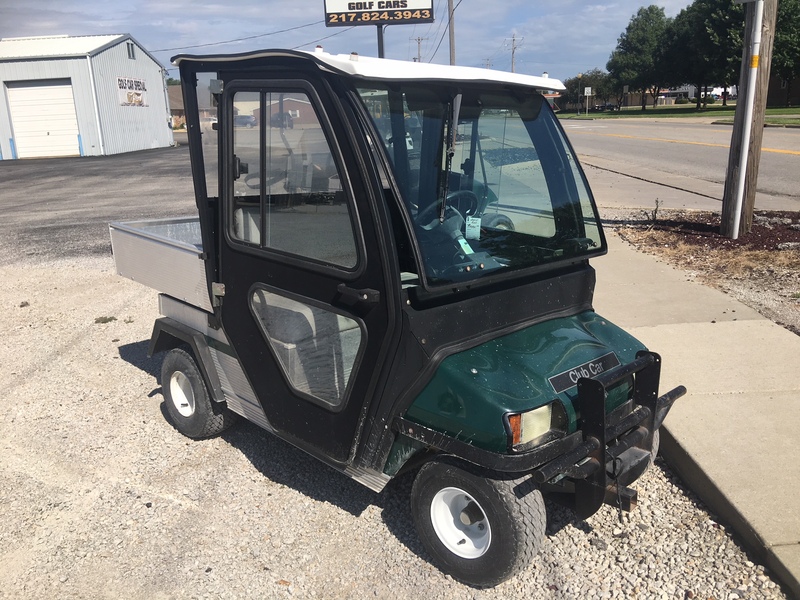 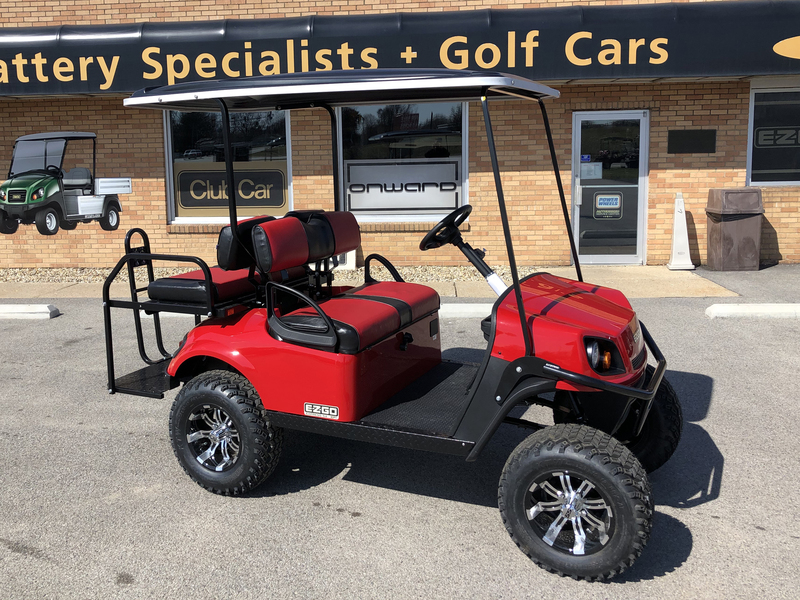 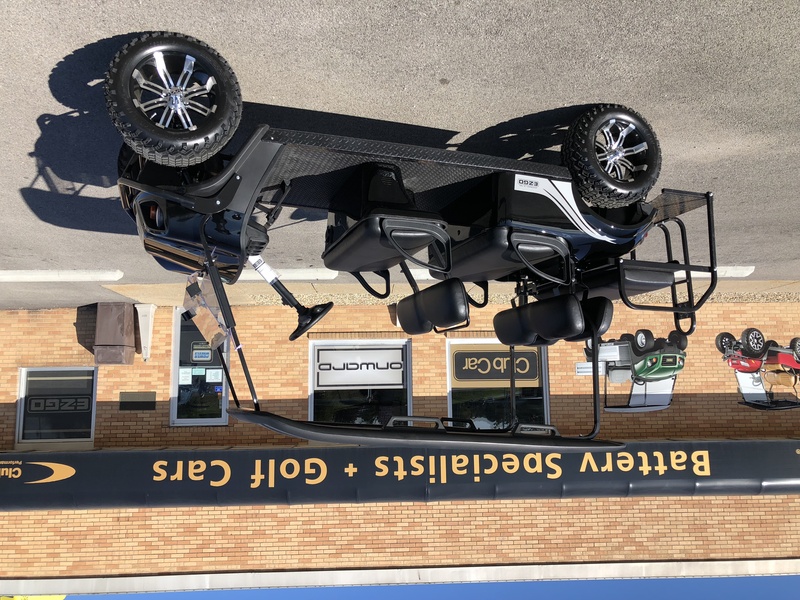 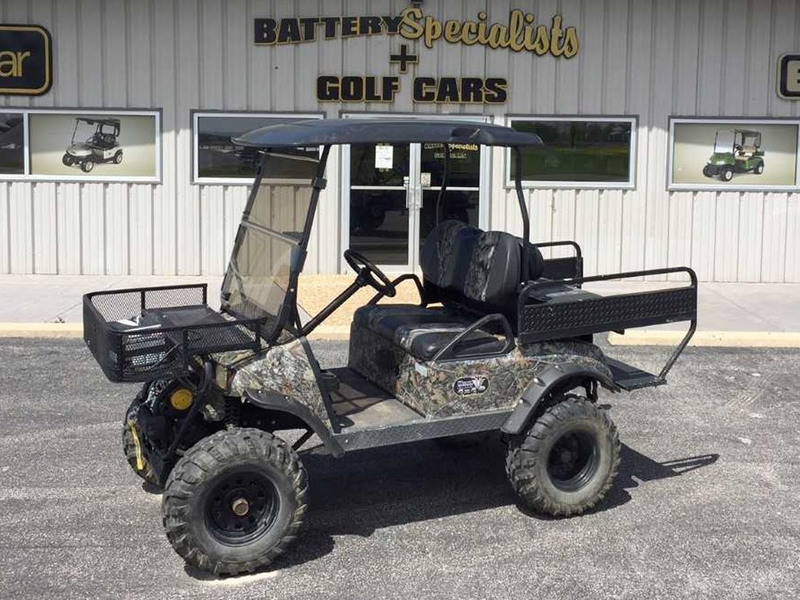 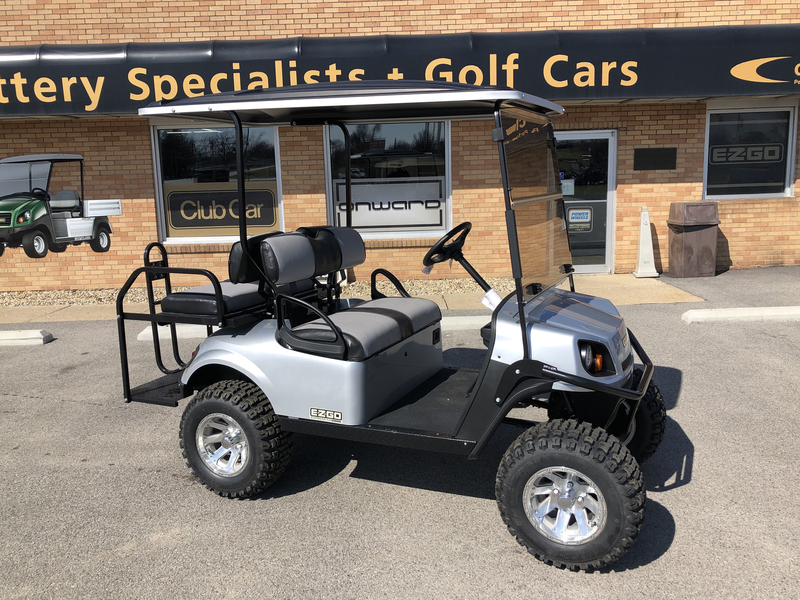 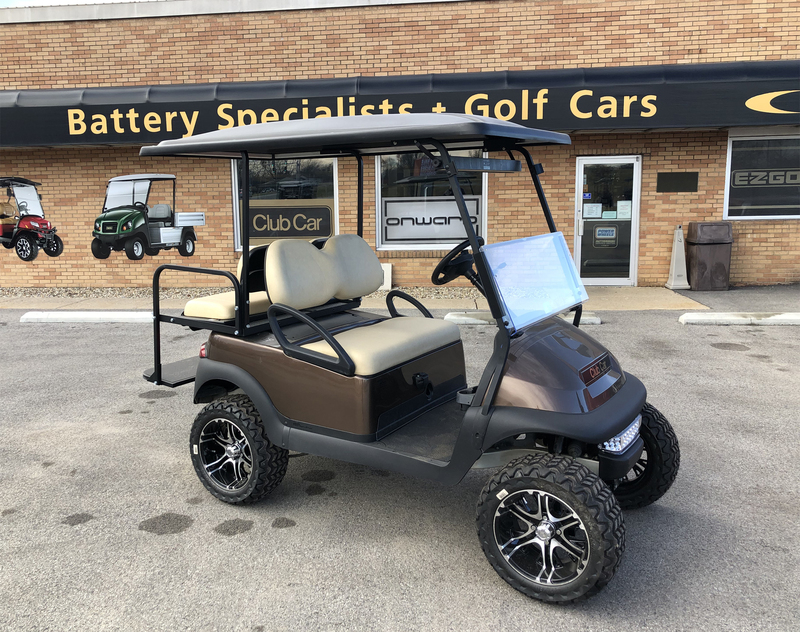 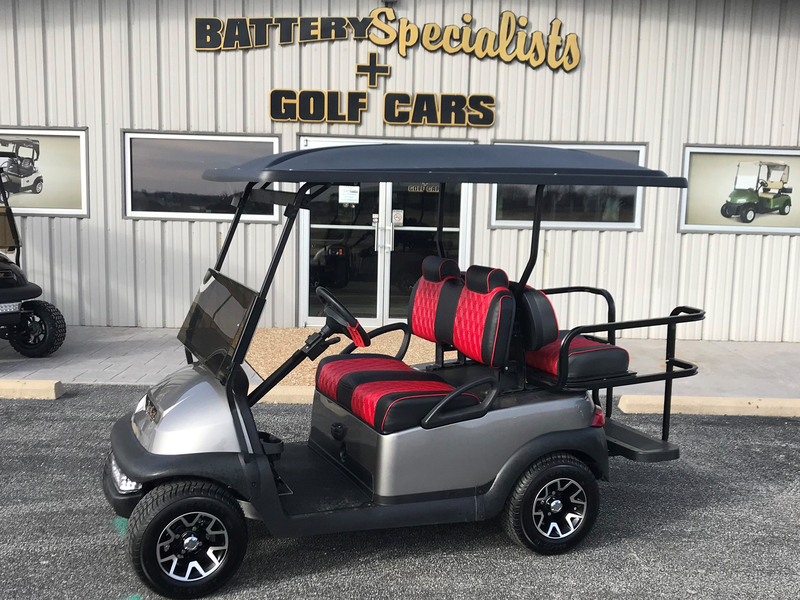 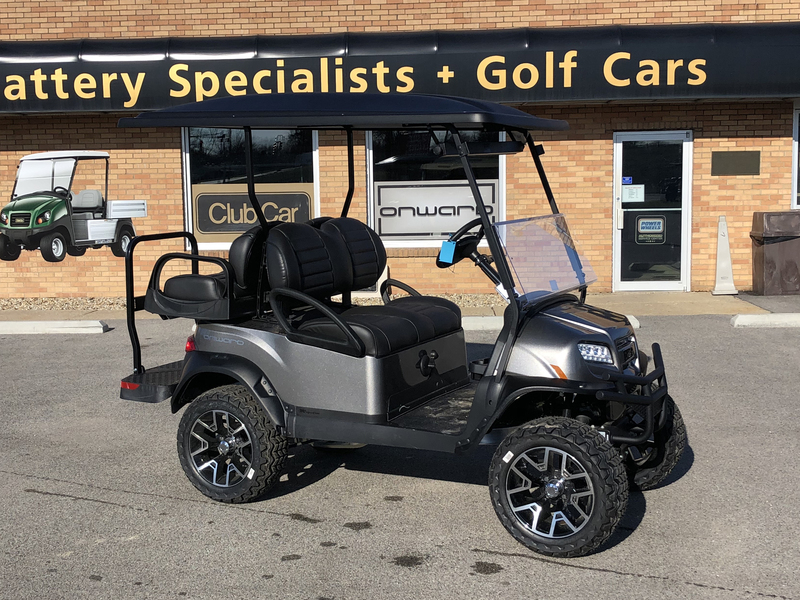 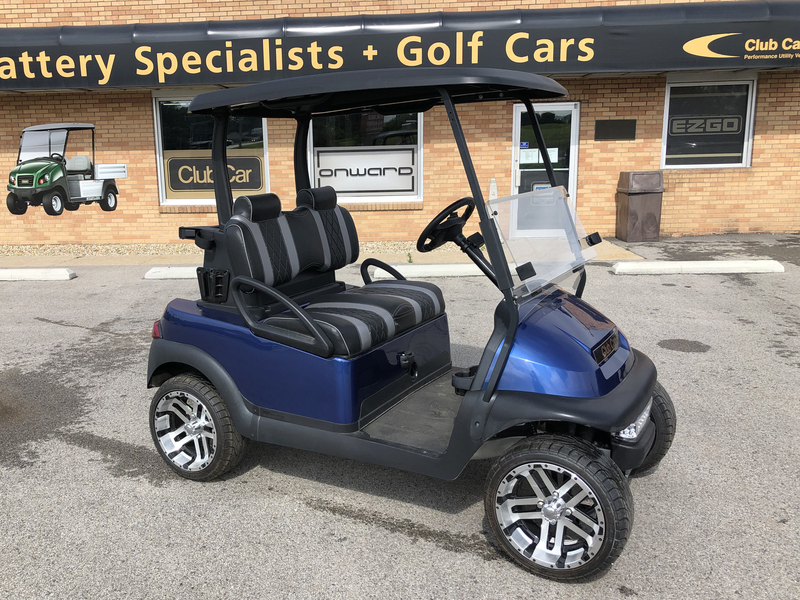 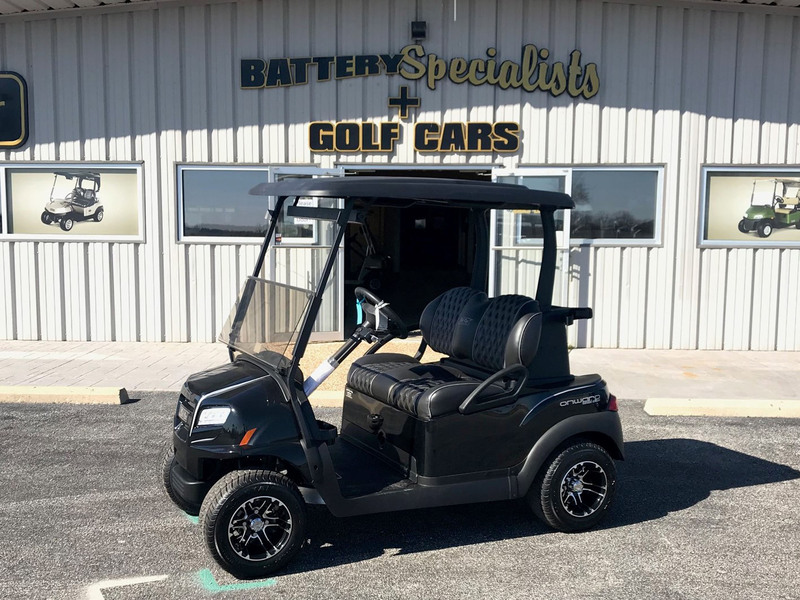 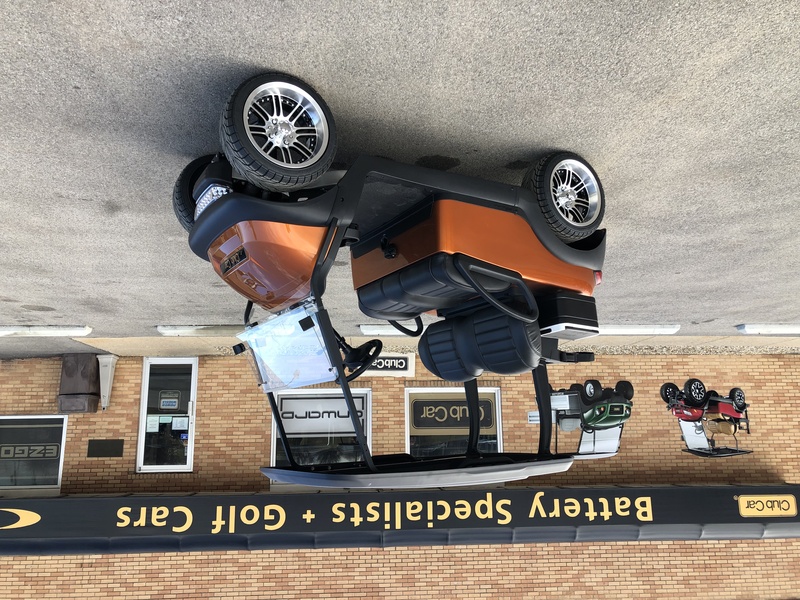 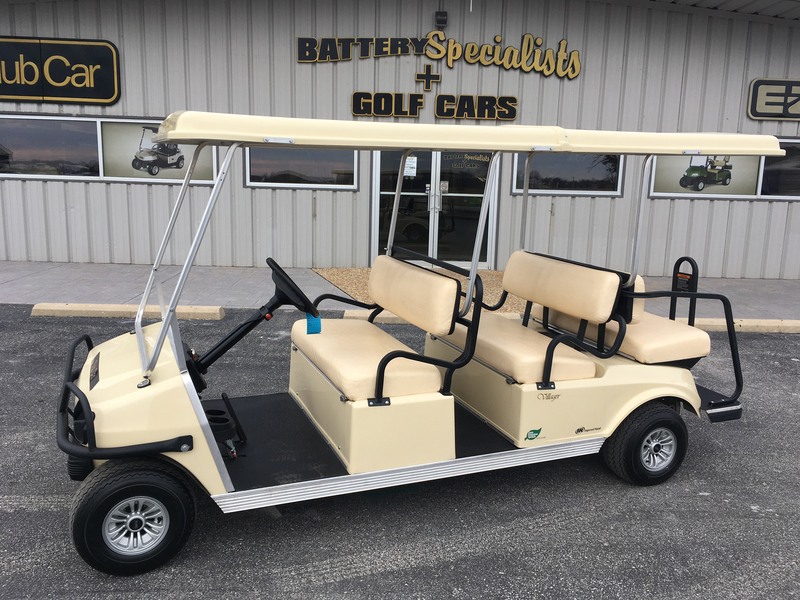 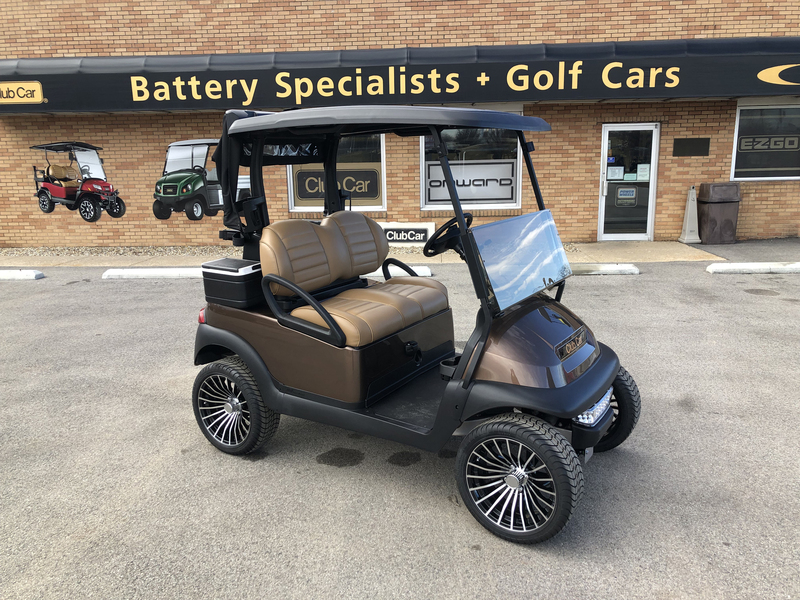 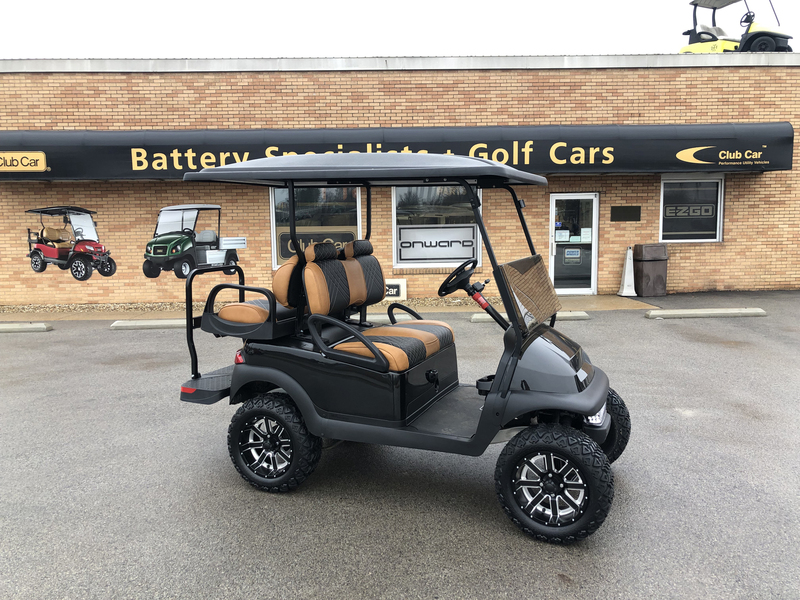 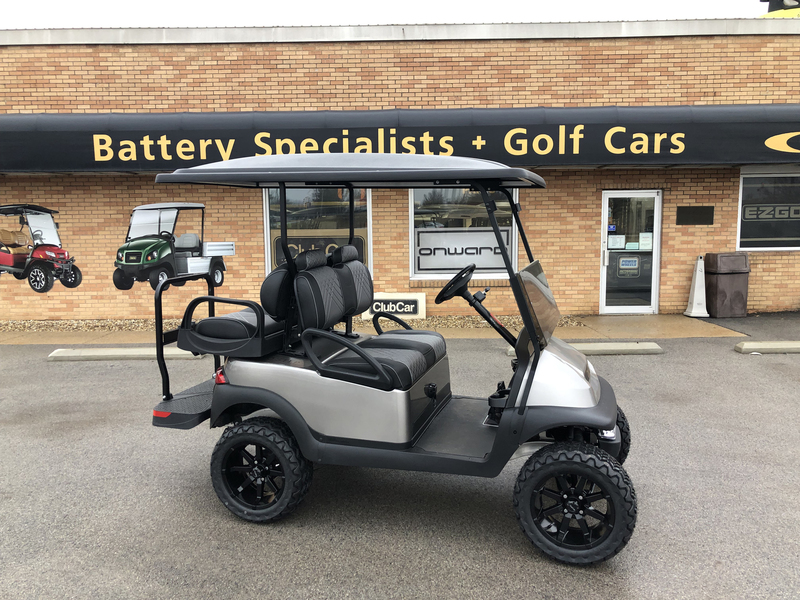 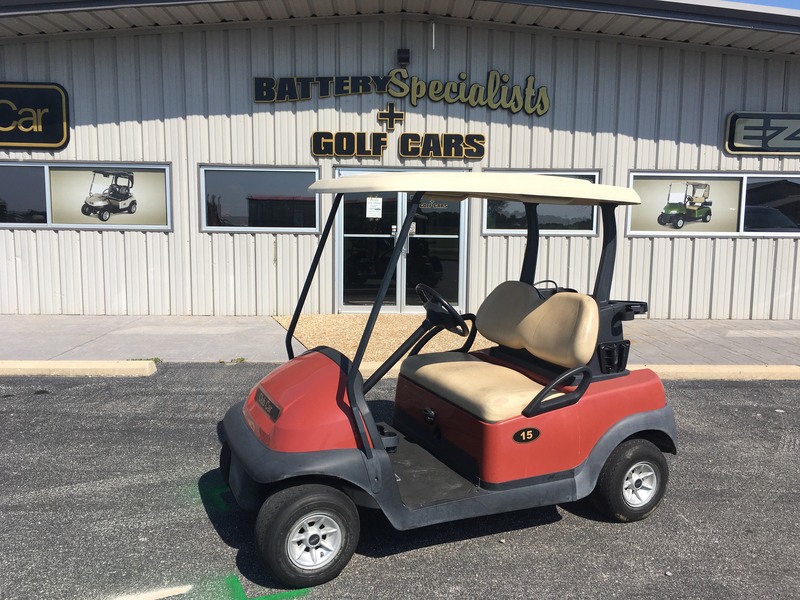 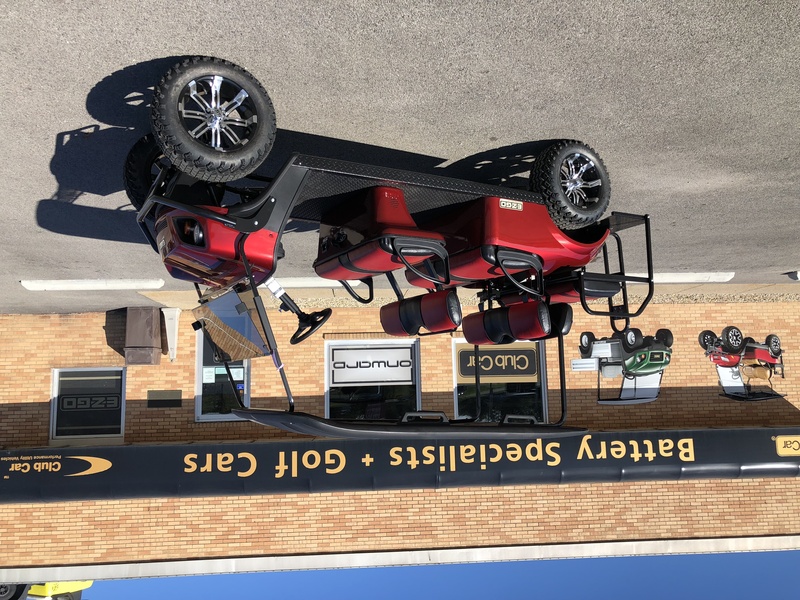 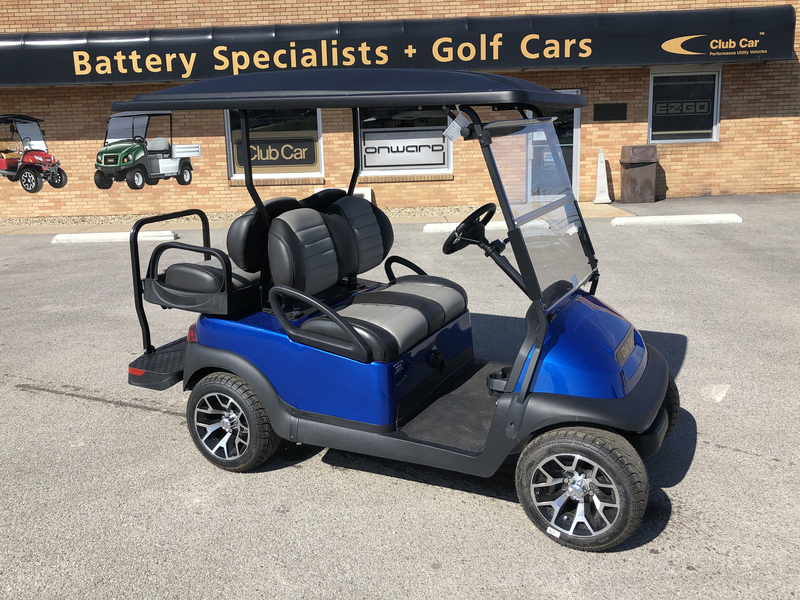 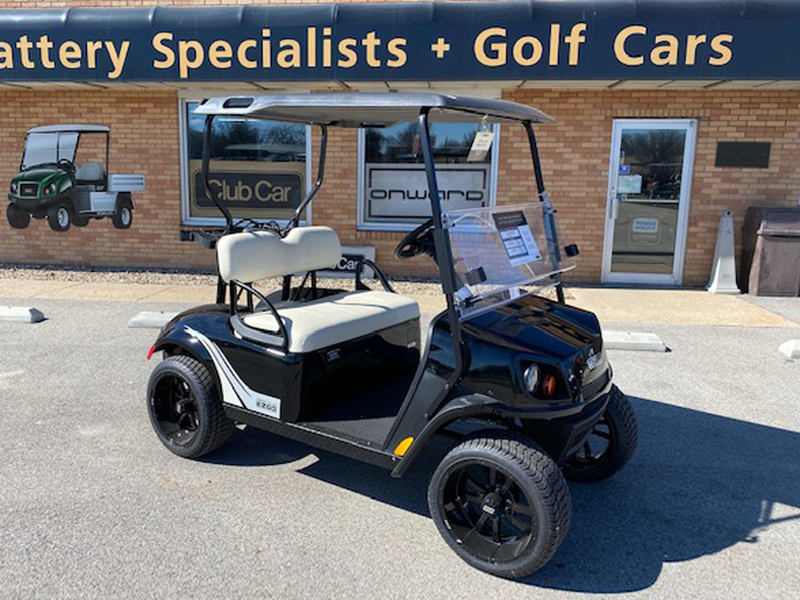 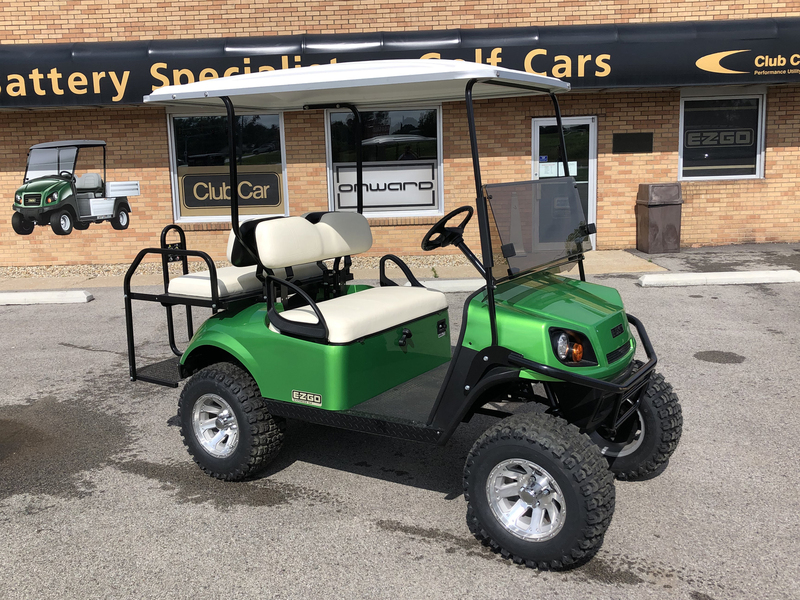 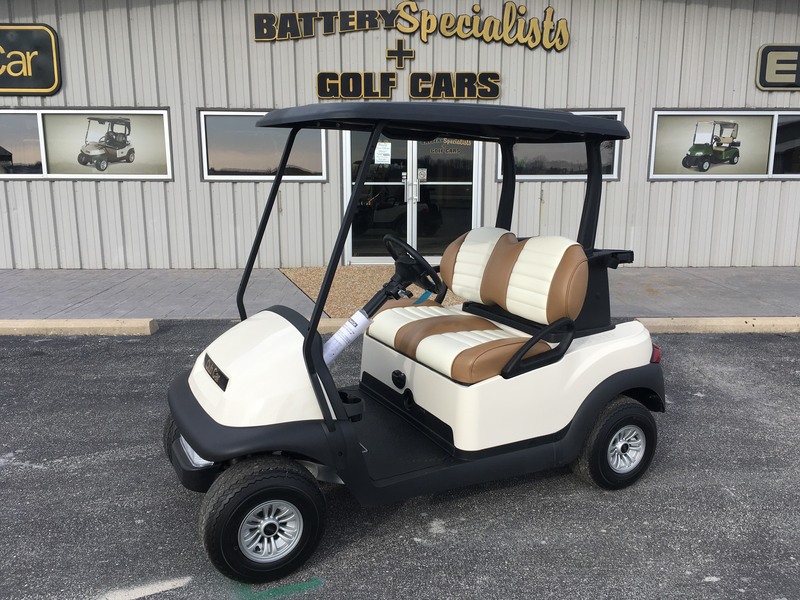 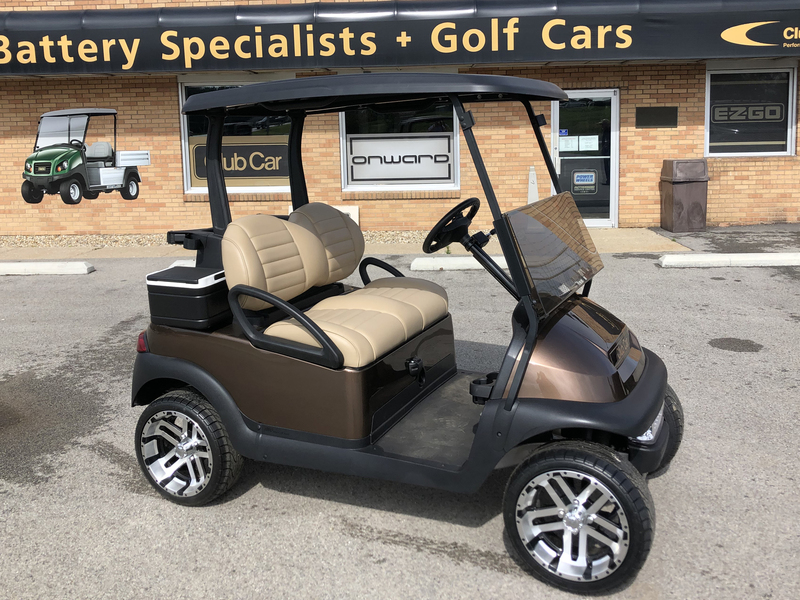 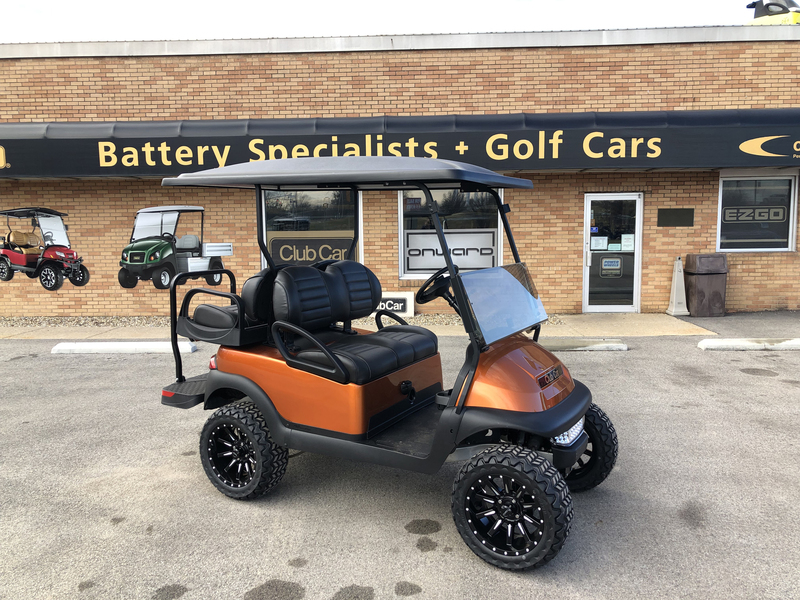 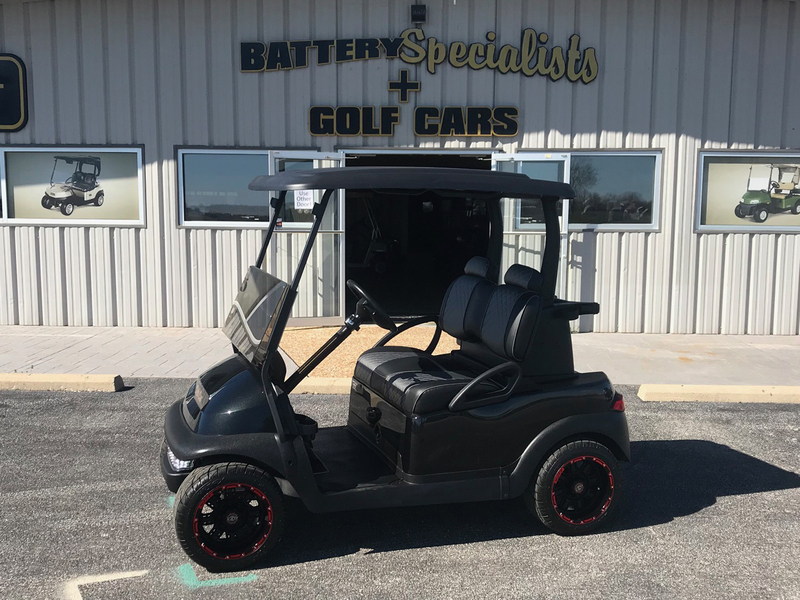 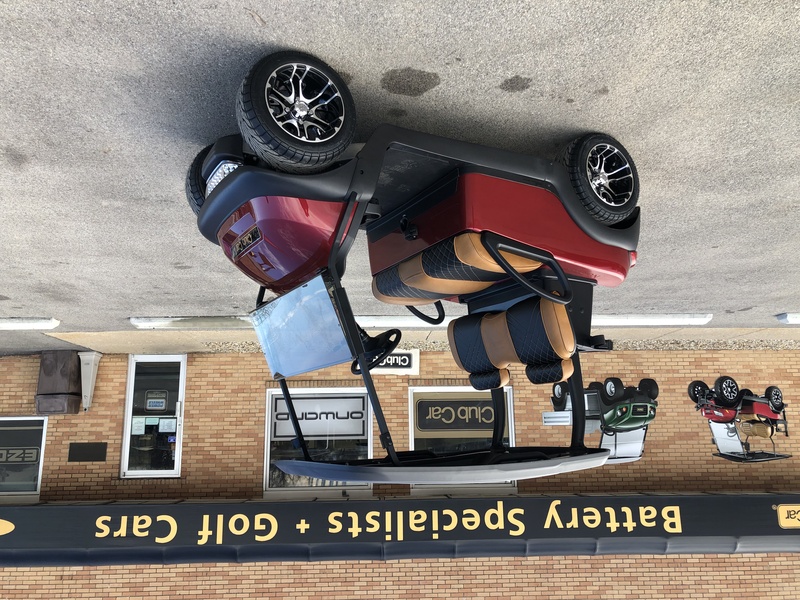 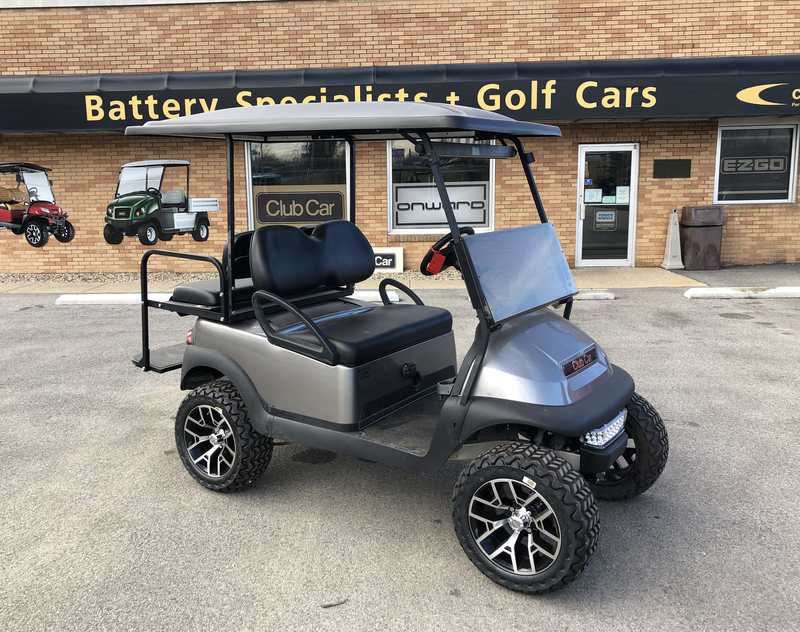 **monthly financing for qualified buyers based off of recommended $500 down payment and payment term lasting between 36 months at 7% for Club Car and 48 months at 1.99% for E-Z-Go. 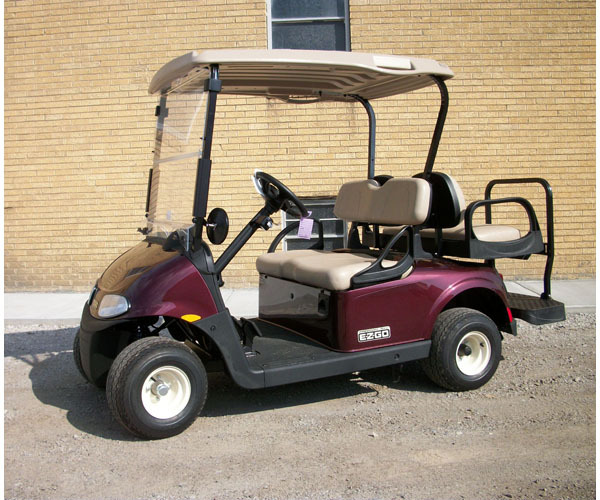 All current deals and special rates found here are already calculated and displayed. 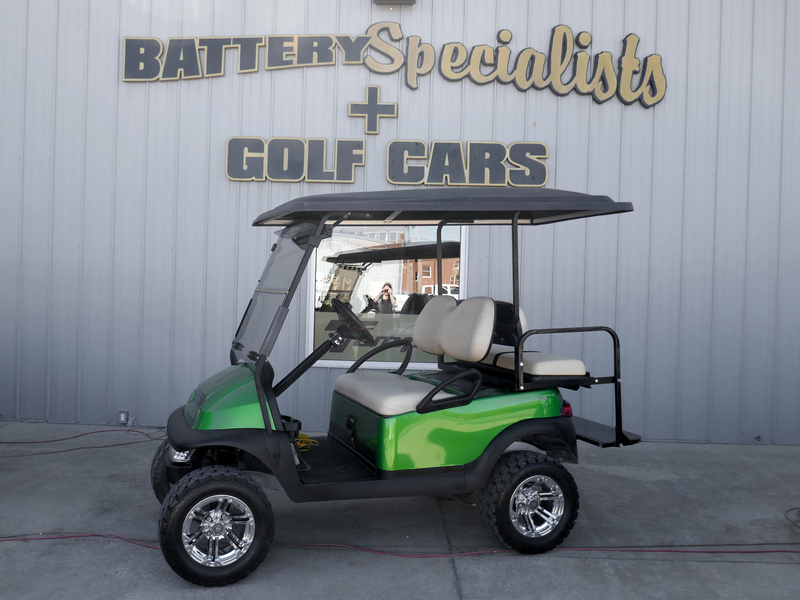 Please contact us to see if you qualify for these special financing deals. 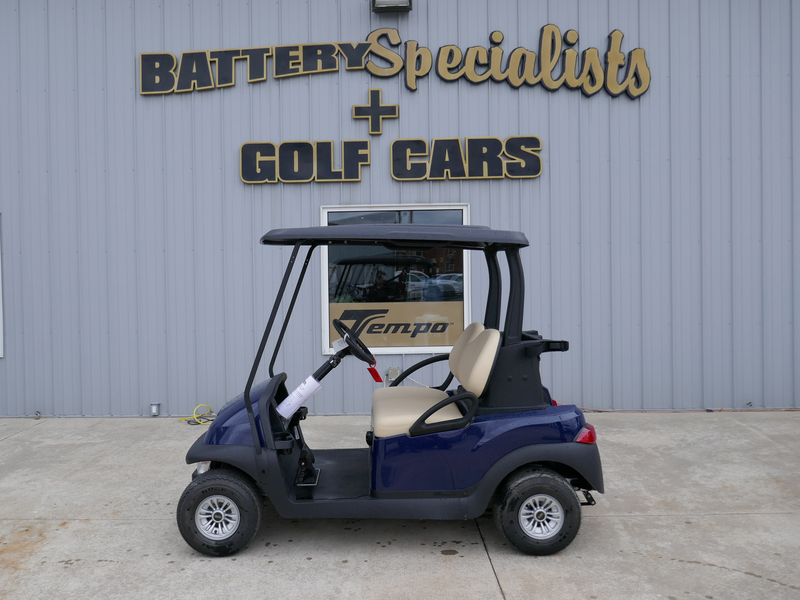 Please change your perimeters and try again. 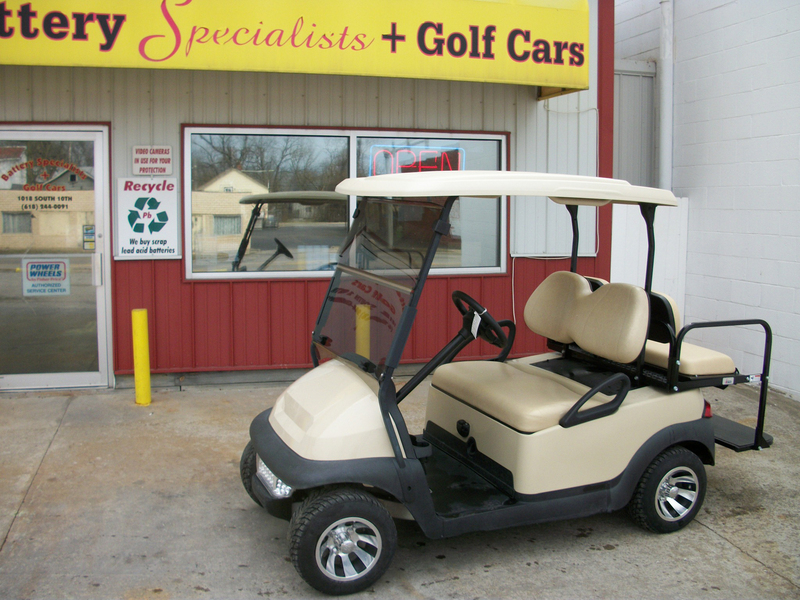 If you want the car you've searched for, please contact us. 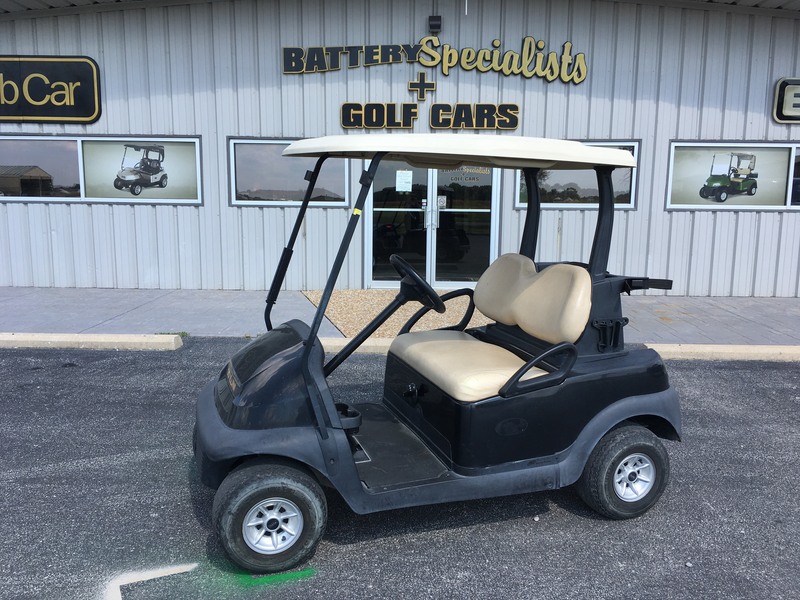 We have a lot of stock that may have not made it onto the website yet. 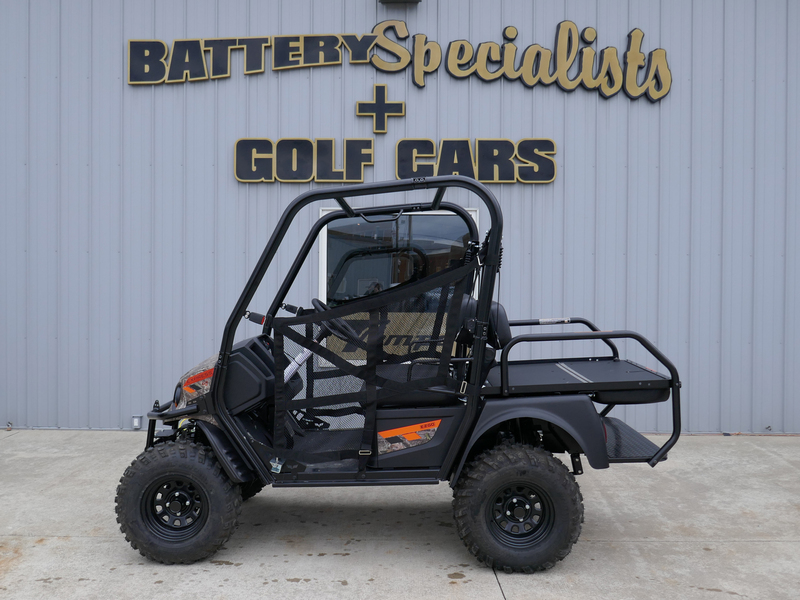 Your's could be one of them. 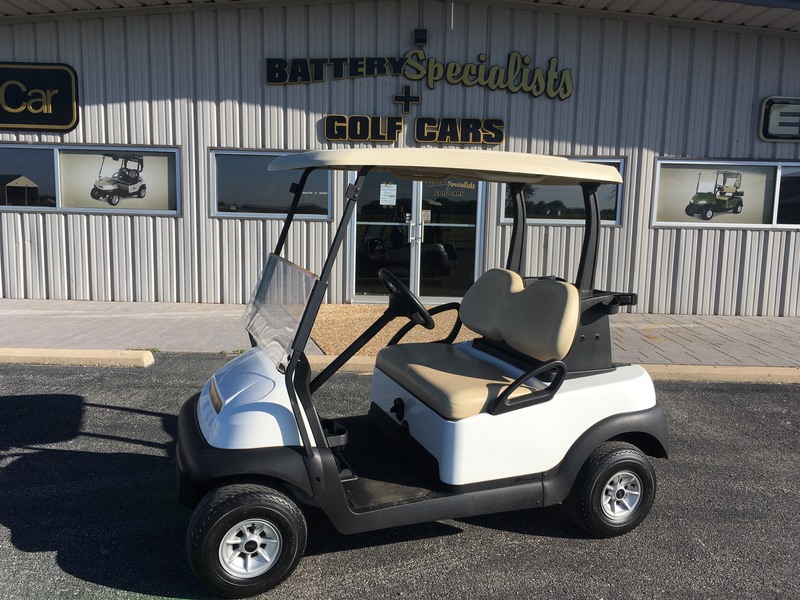 Financing as low as $92.84 per month! 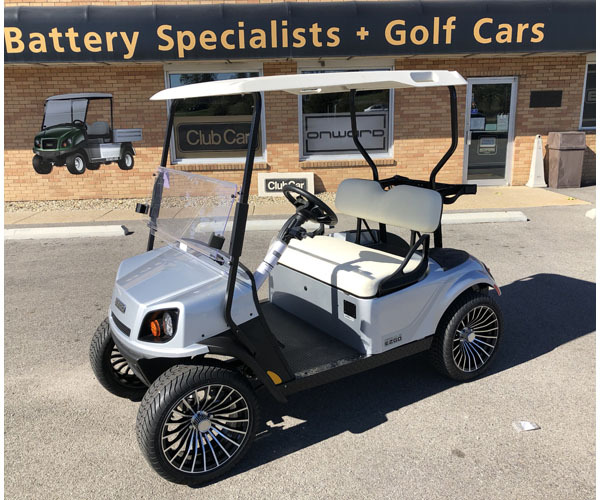 36 months at 7% with $500 down. 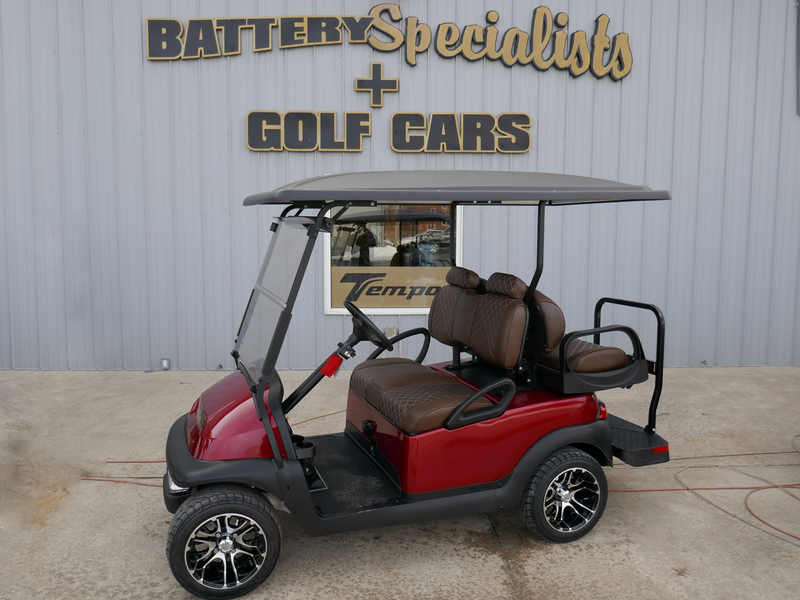 Financing as low as $99.32 per month! 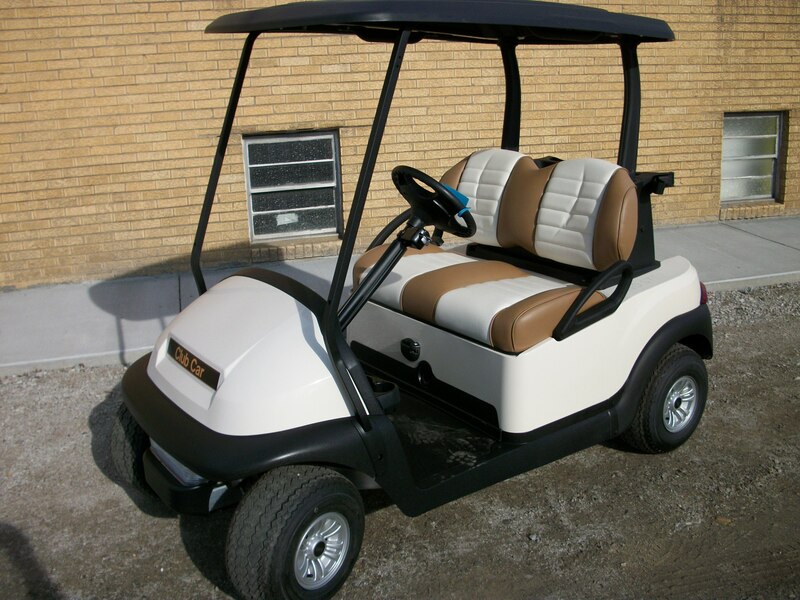 Financing as low as $105.80 per month! 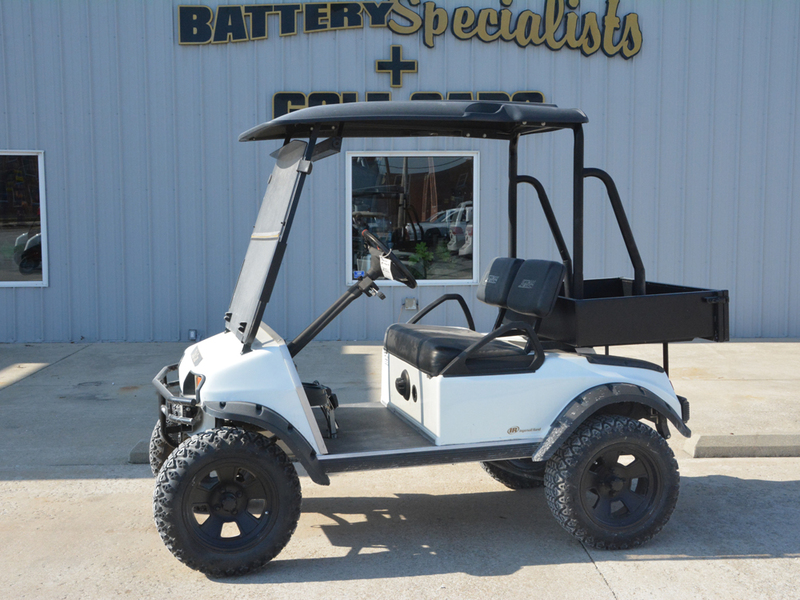 Financing as low as $115.52 per month! 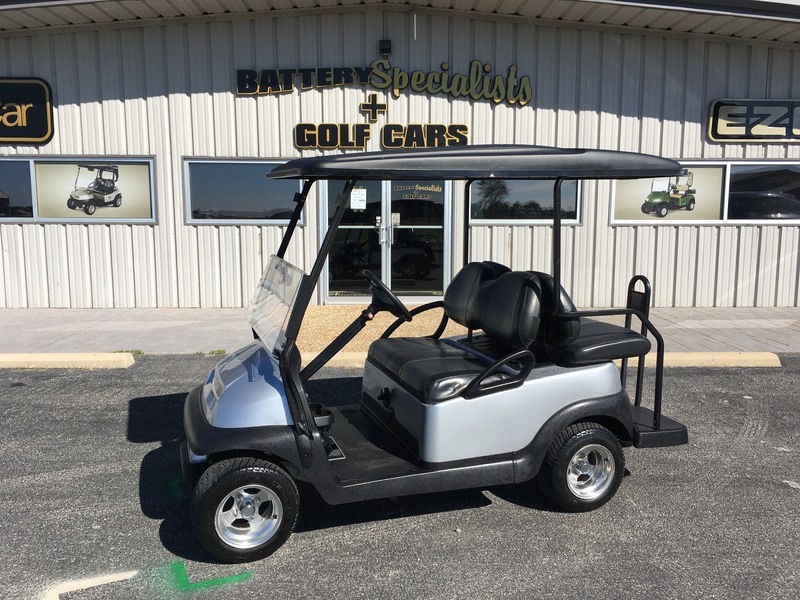 Financing as low as $138.20 per month! 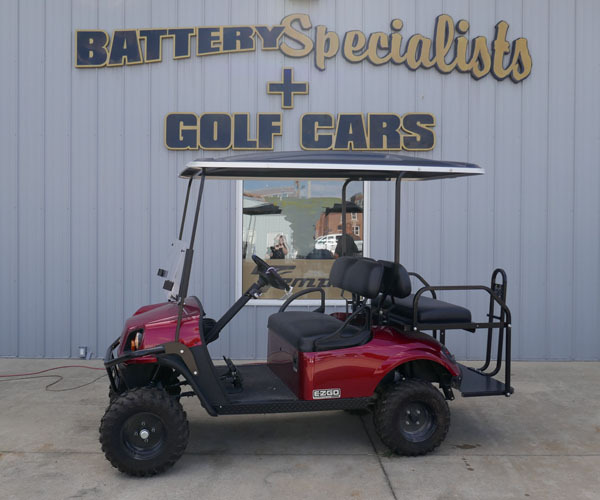 Financing as low as $141.44 per month! 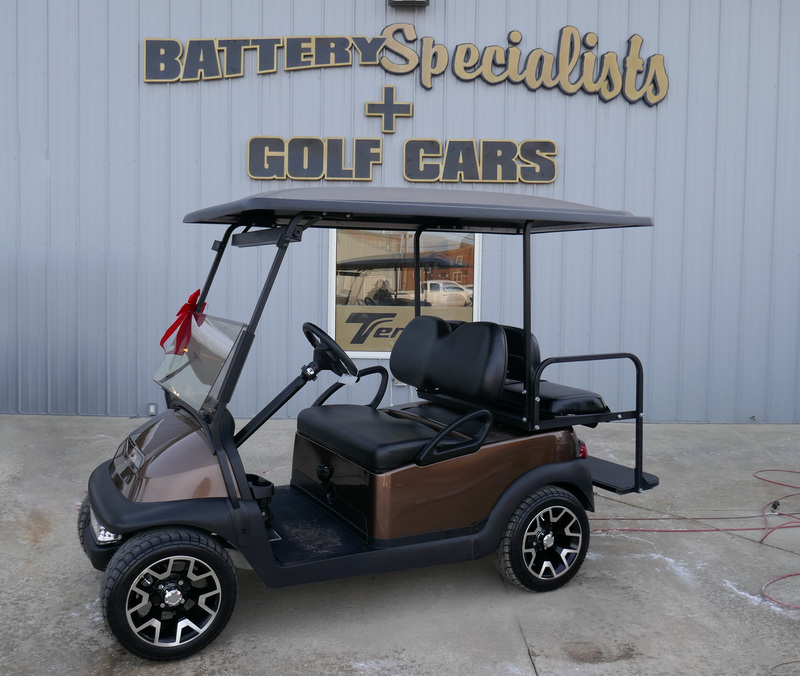 Financing as low as $147.92 per month! 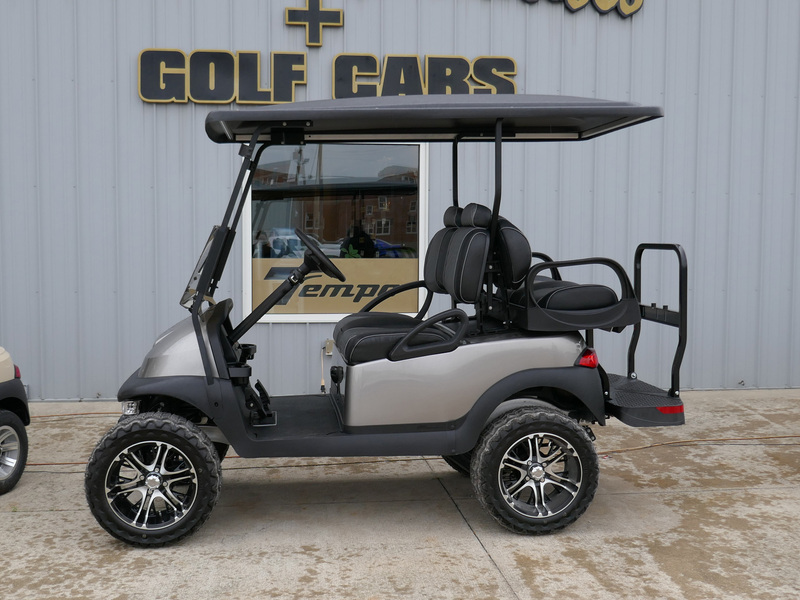 Financing as low as $148.10 per month! 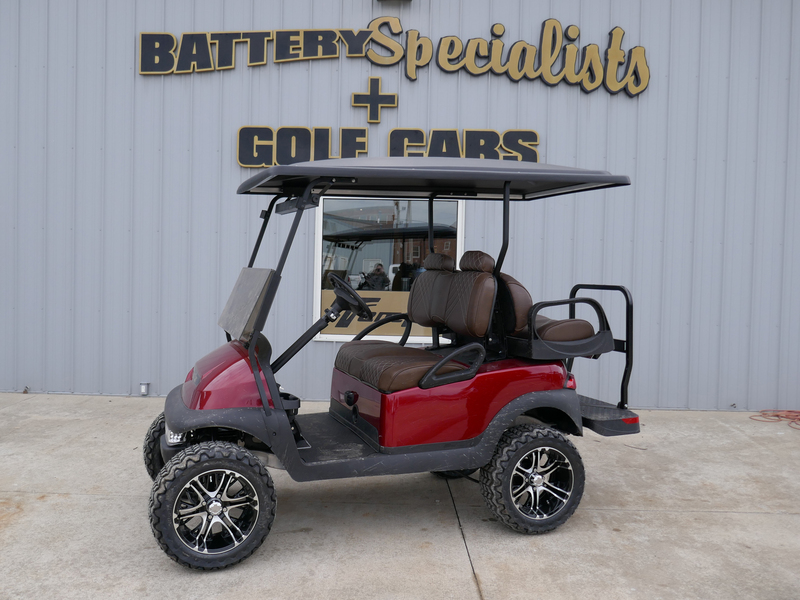 Financing as low as $160.88 per month! 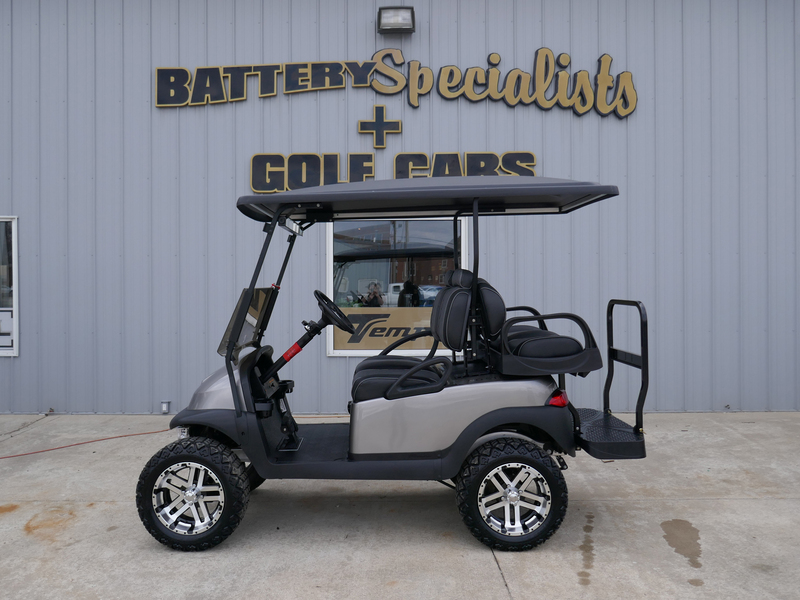 Financing as low as $164.12 per month! 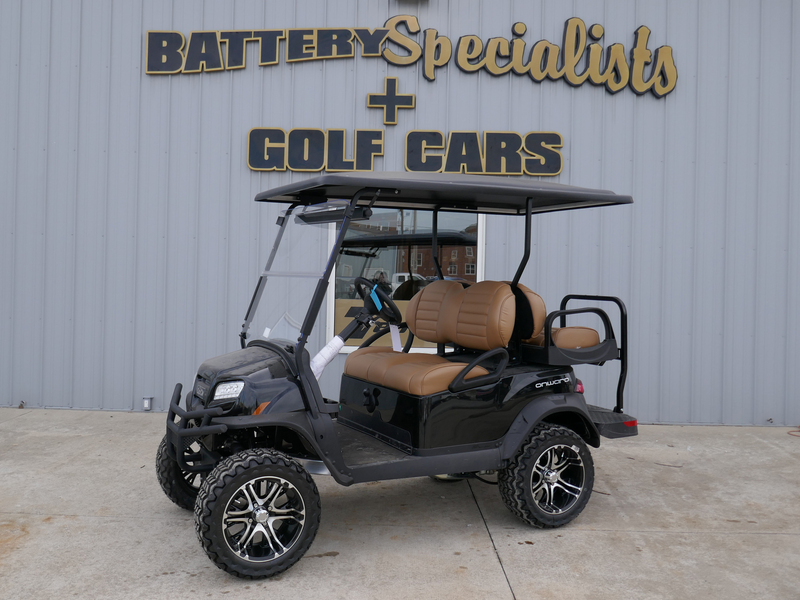 Financing as low as $178.01 per month! 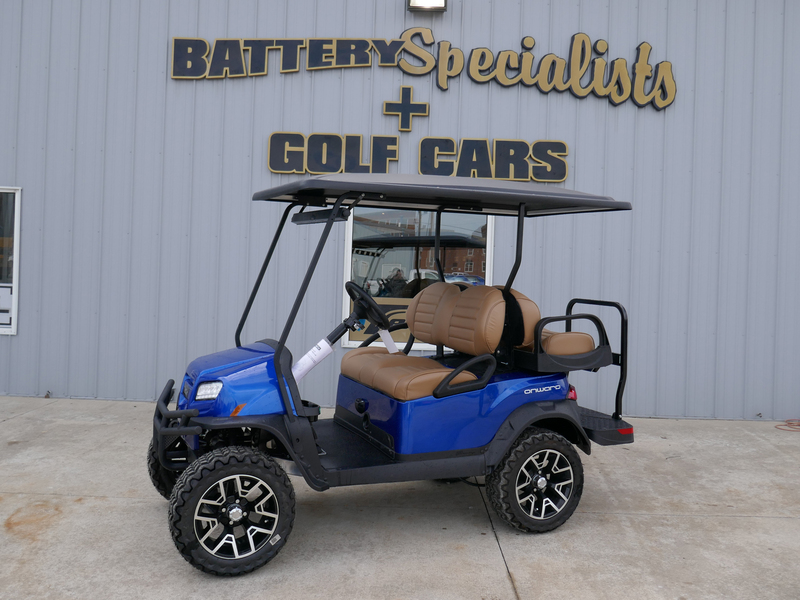 36 months at 7% with $0 down. 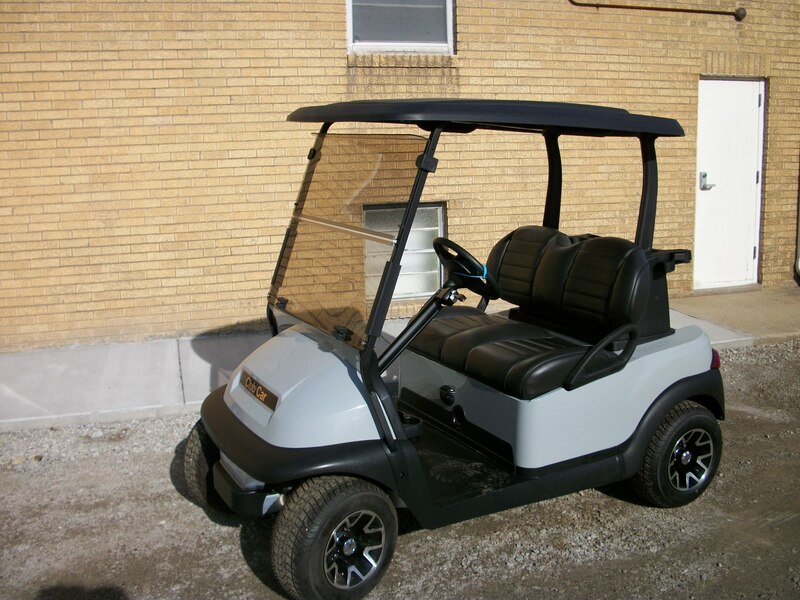 Financing as low as $170.60 per month! 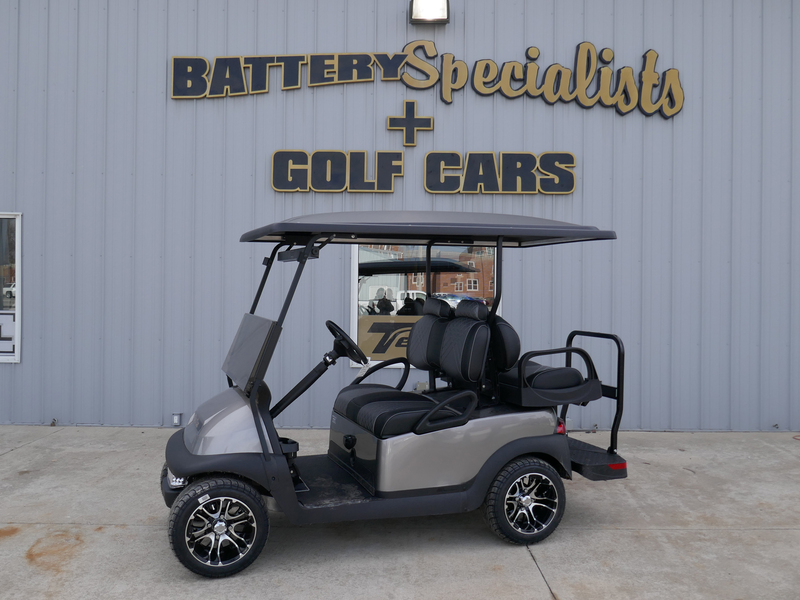 Financing as low as $173.84 per month! 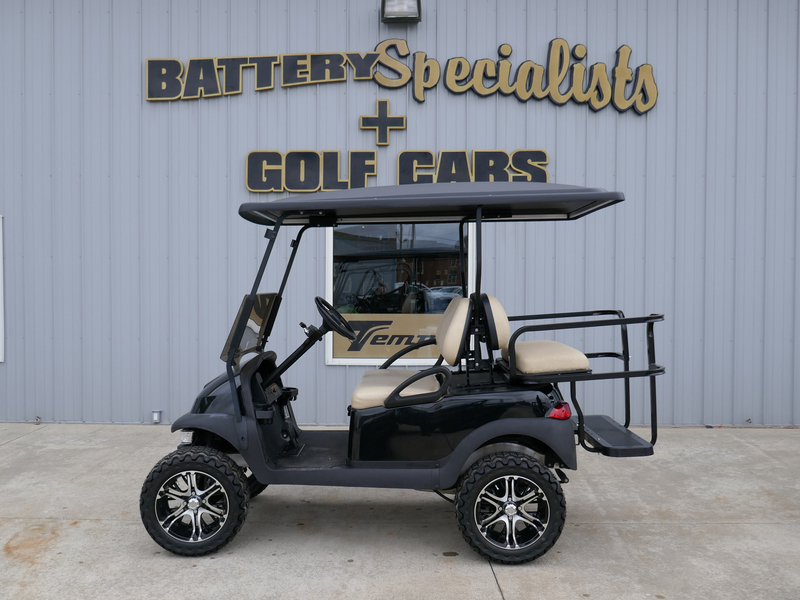 Financing as low as $180.32 per month! 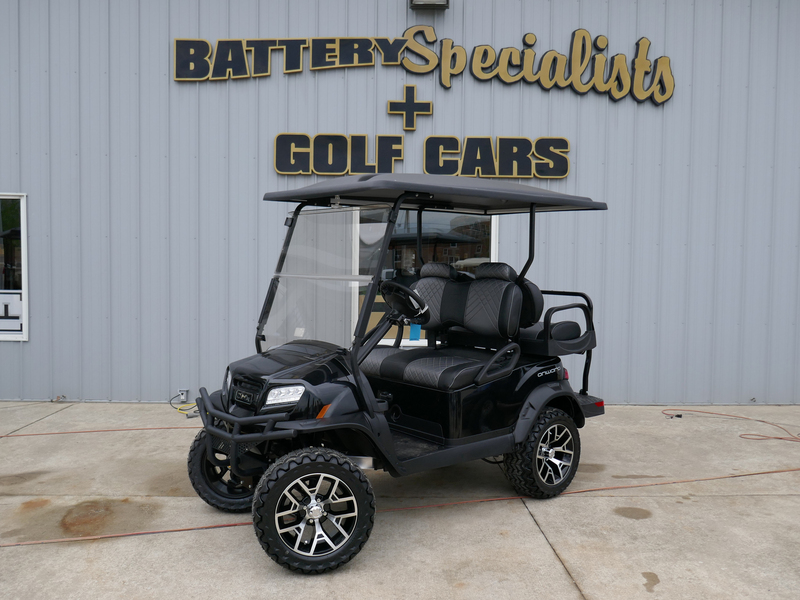 Financing as low as $190.04 per month! 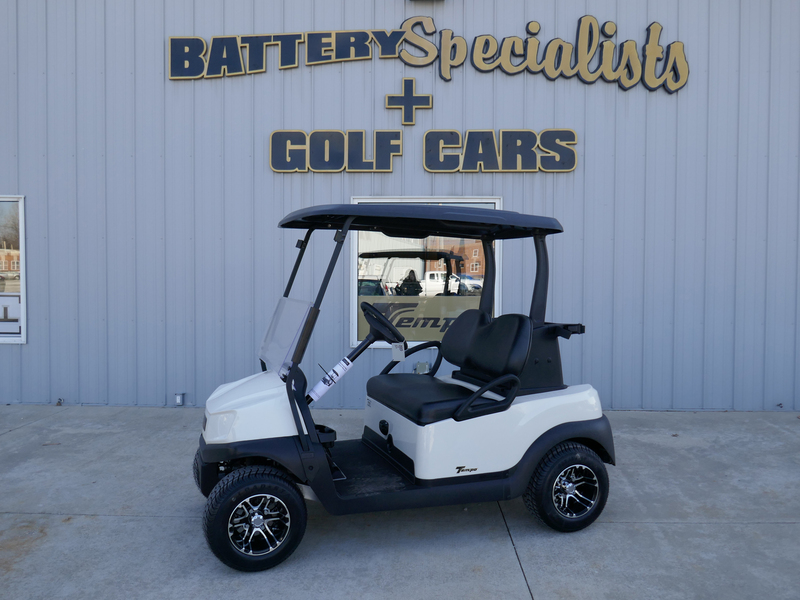 Financing as low as $196.49 per month! 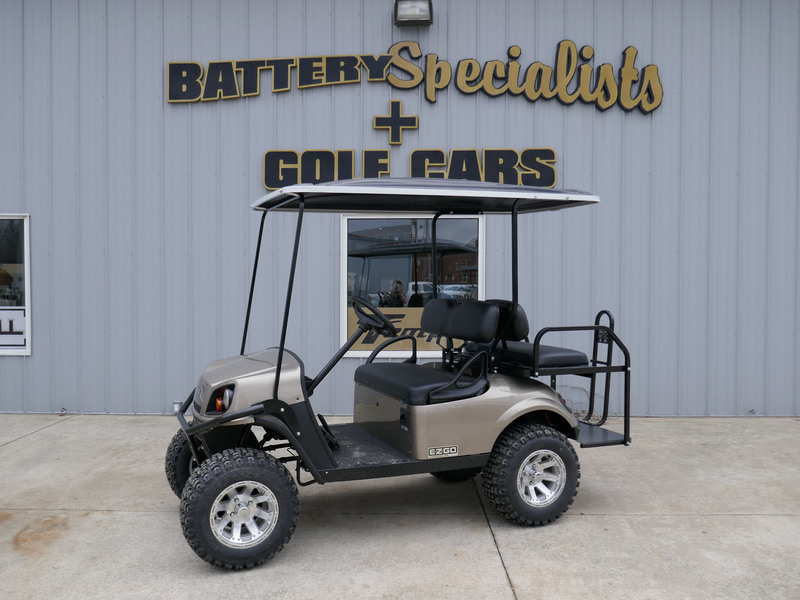 Financing as low as $196.51 per month! 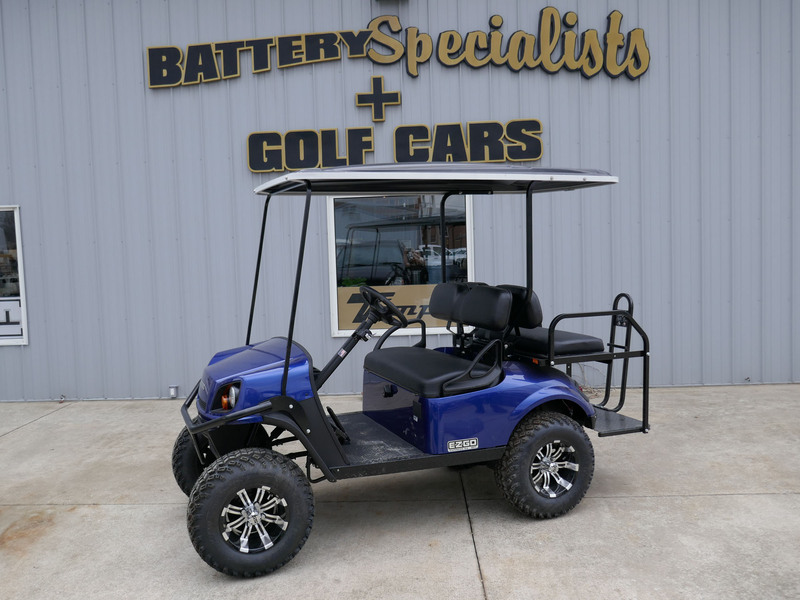 Financing as low as $210.40 per month! 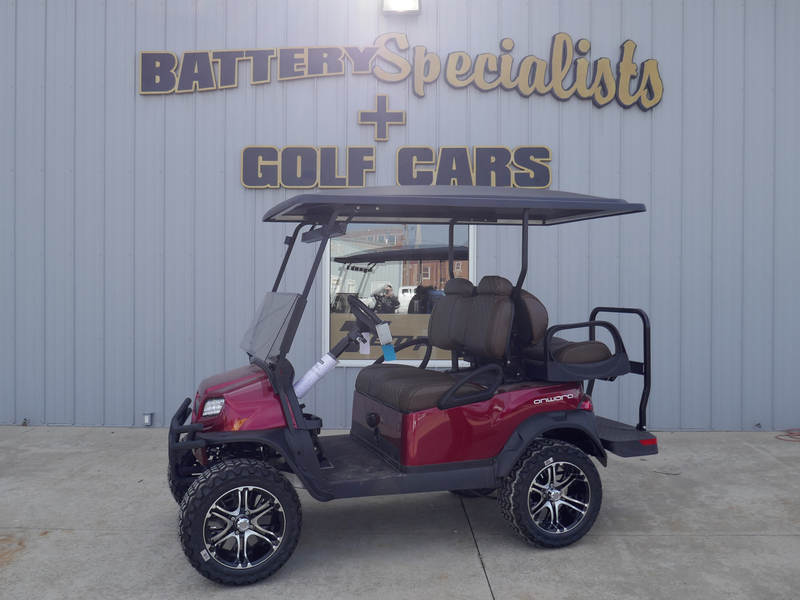 Financing as low as $147.48 per month! 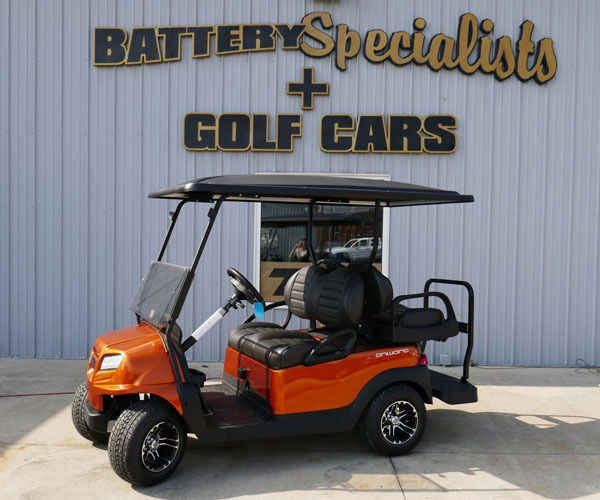 48 months at 0% with $0 down. 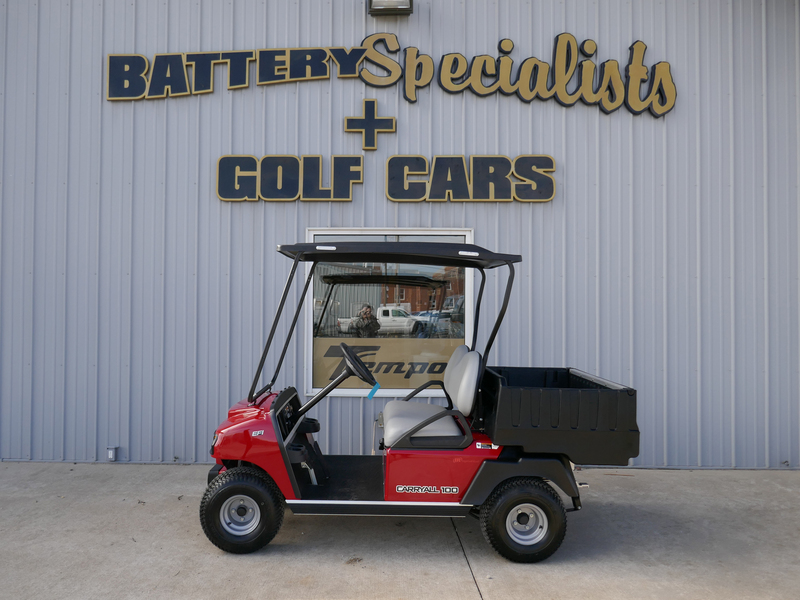 Financing as low as $108.21 per month! 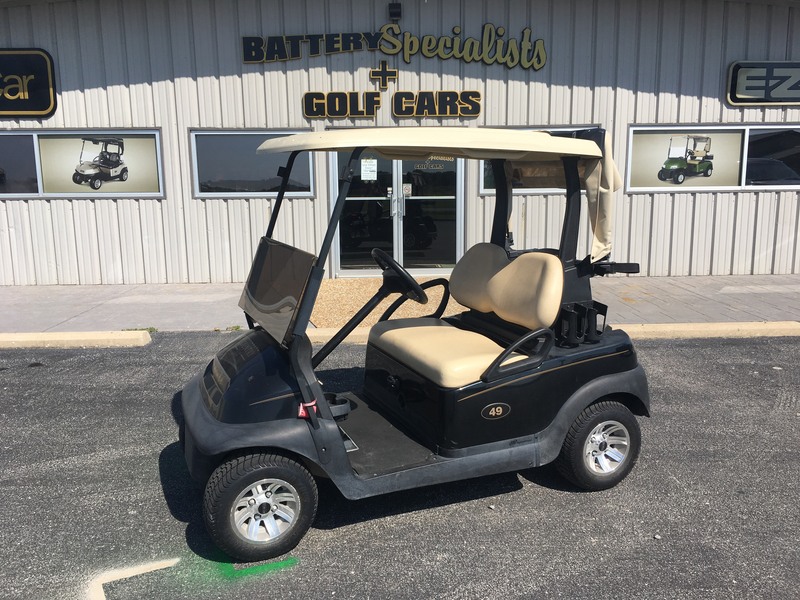 48 months at 3.99% with $1000 down with $1000 off. 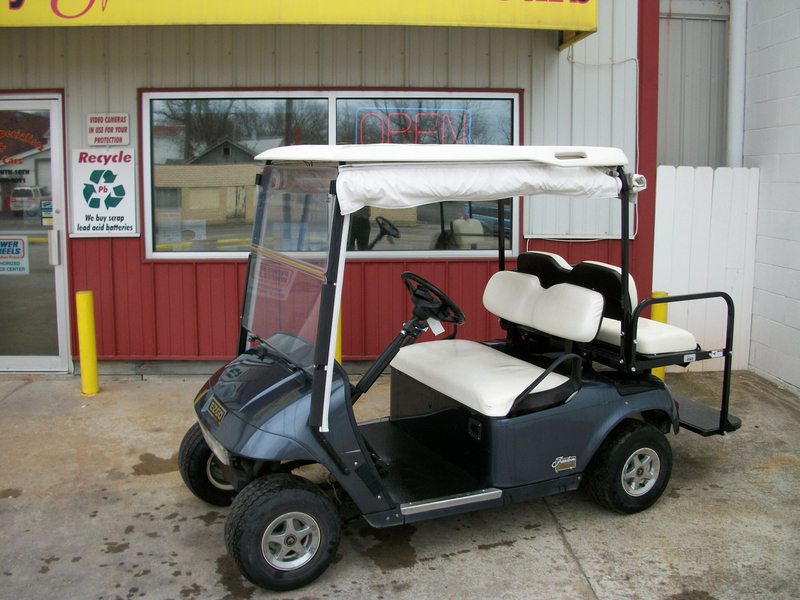 Financing as low as $204.63 per month! 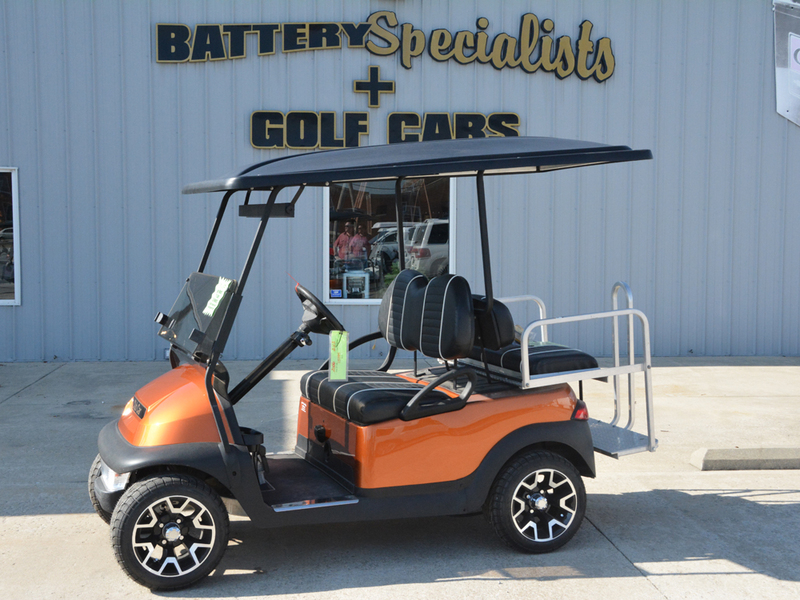 Financing as low as $206.09 per month! 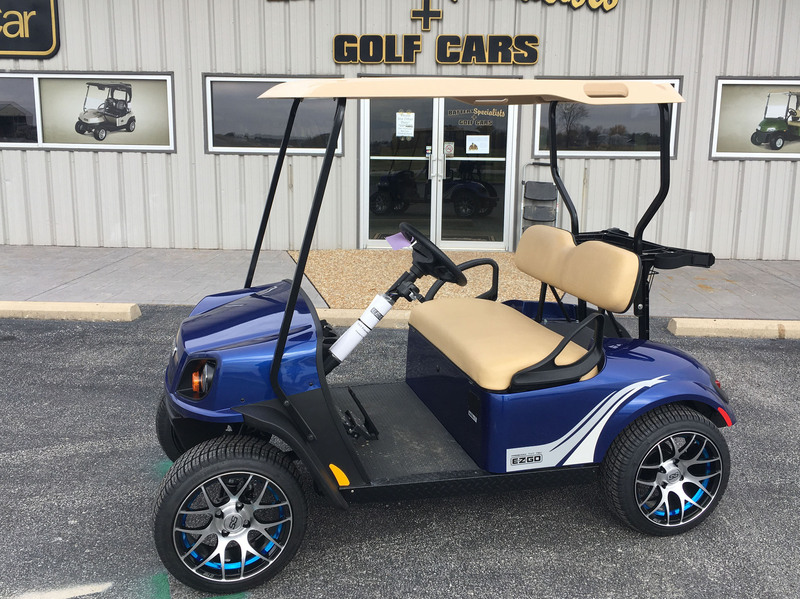 Financing as low as $115.17 per month! 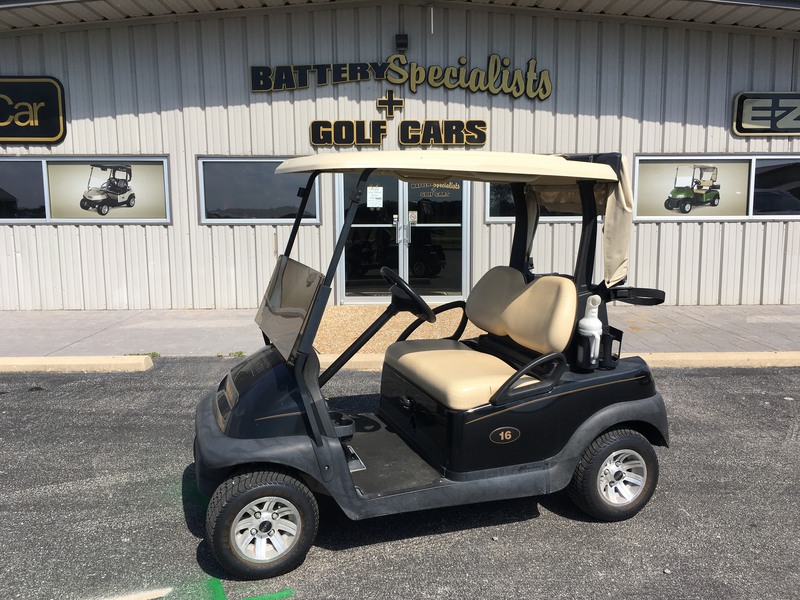 Financing as low as $158.83 per month! 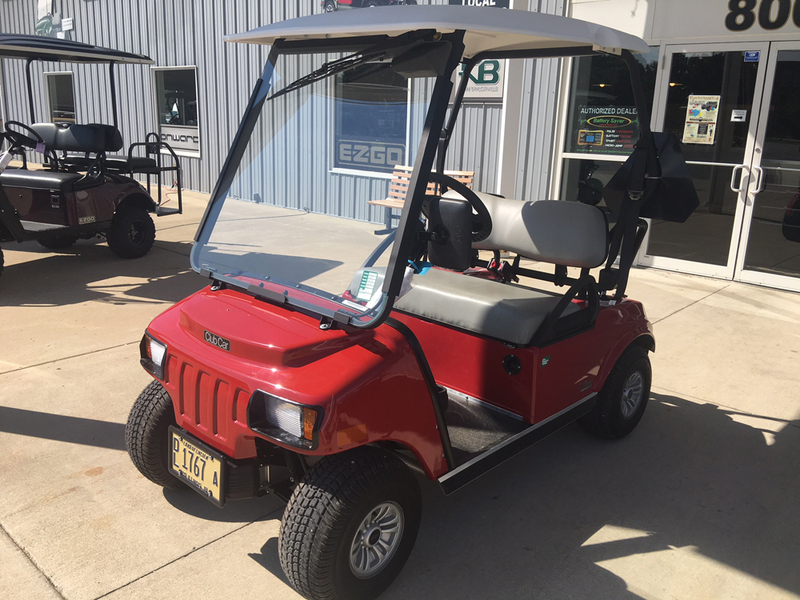 Financing as low as $212.71 per month! 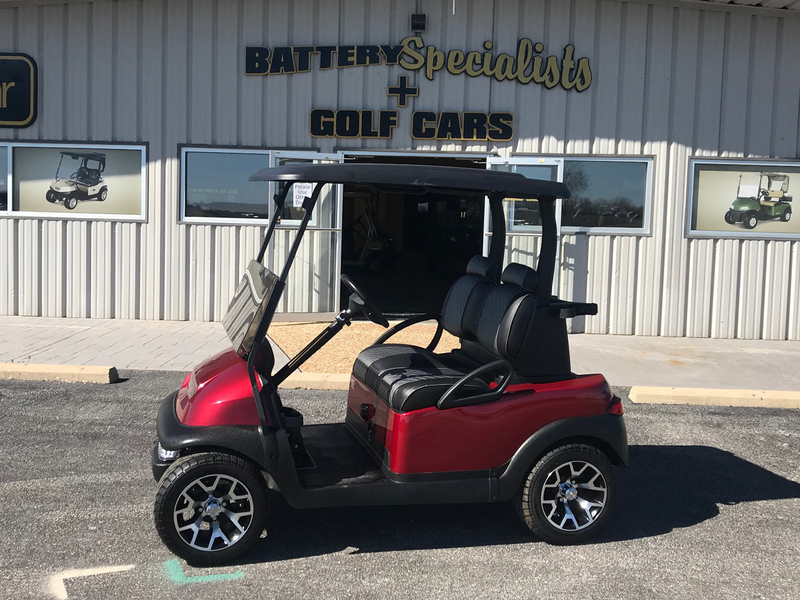 Financing as low as $151.59 per month! 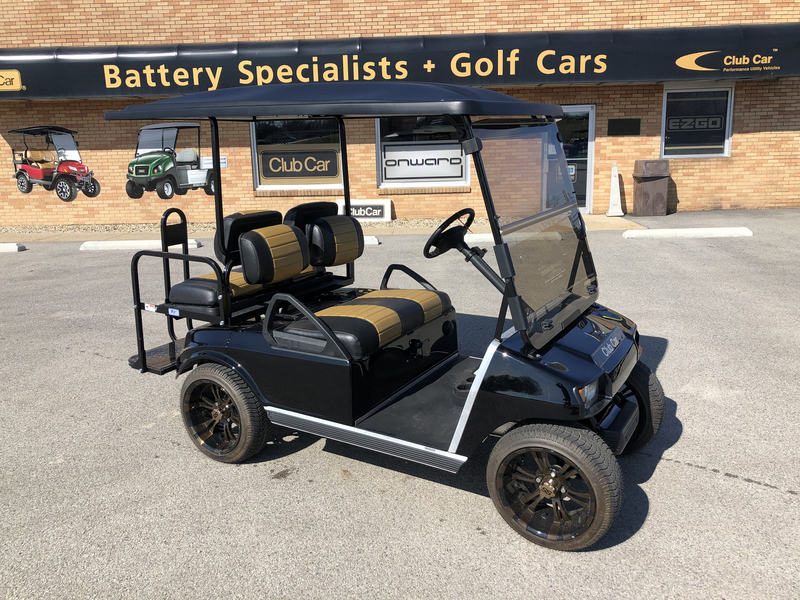 48 months at 1.99% with $500 down. 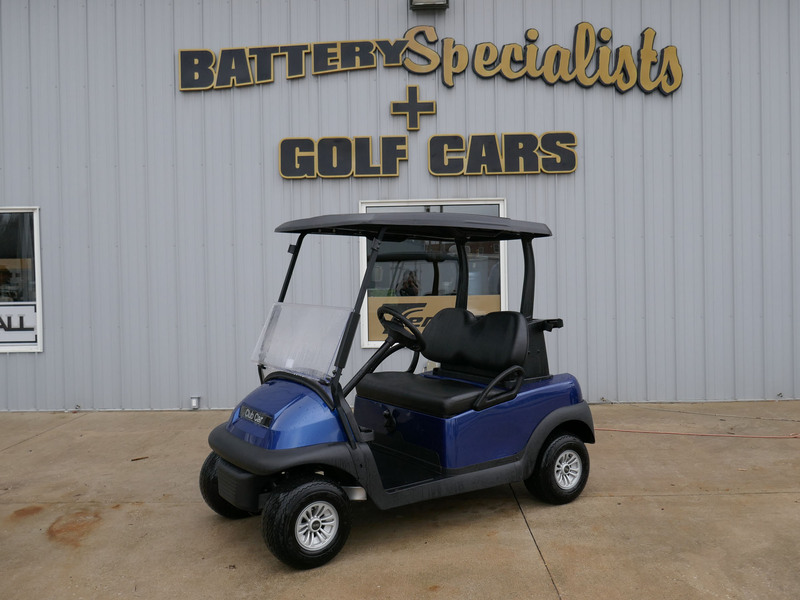 Financing as low as $119.89 per month! 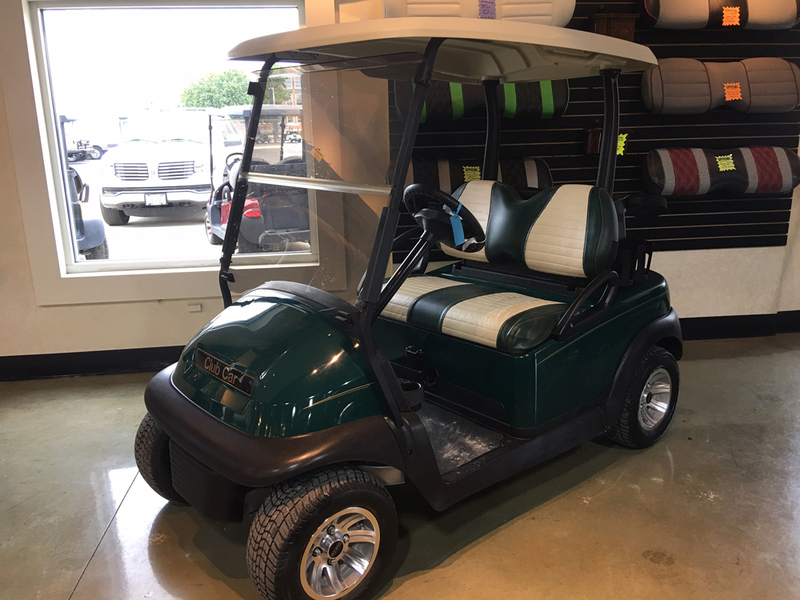 Financing as low as $124.81 per month! 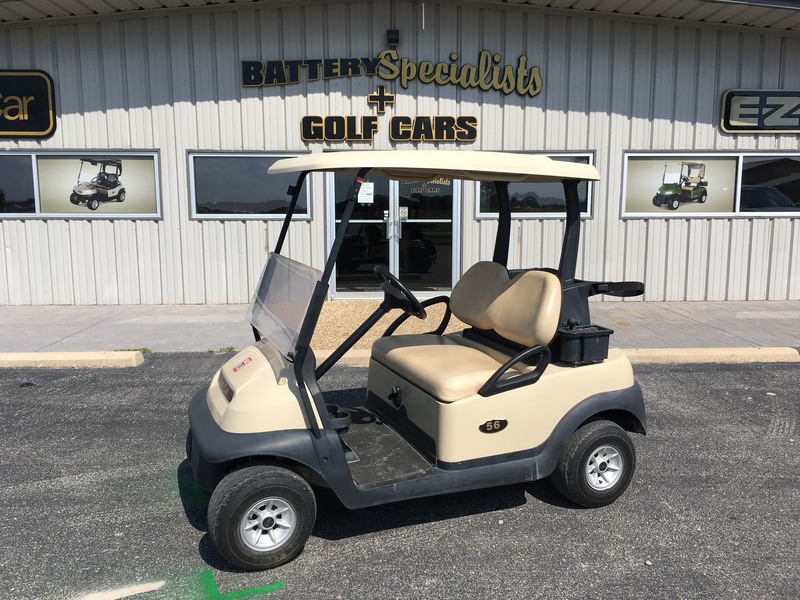 Financing as low as $131.70 per month! 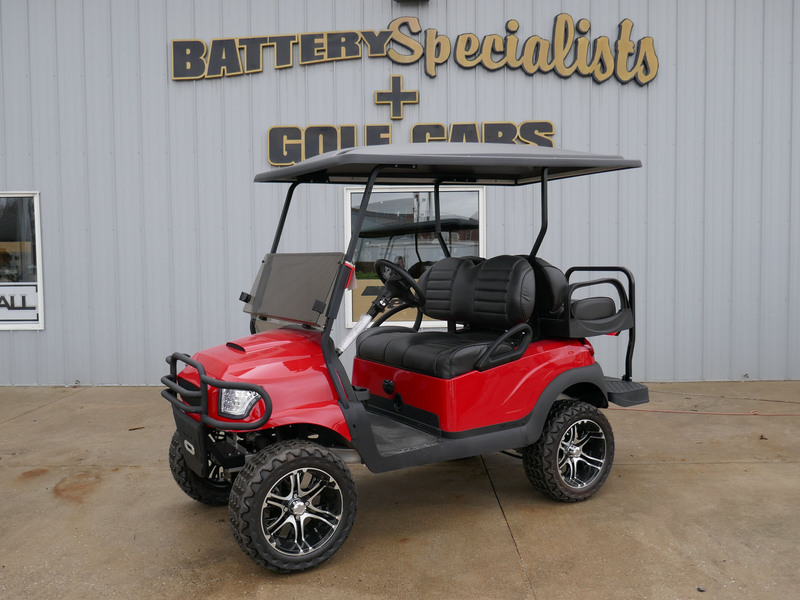 Financing as low as $170.19 per month! 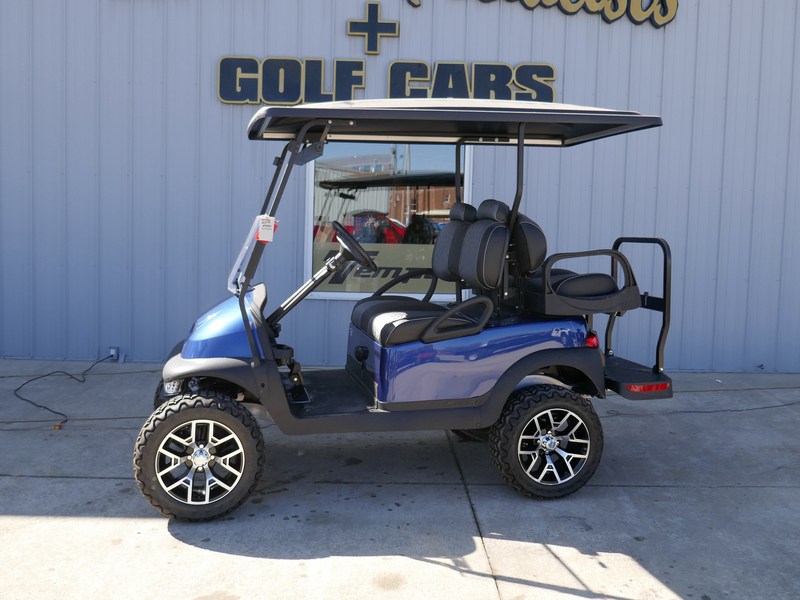 Financing as low as $228.91 per month! 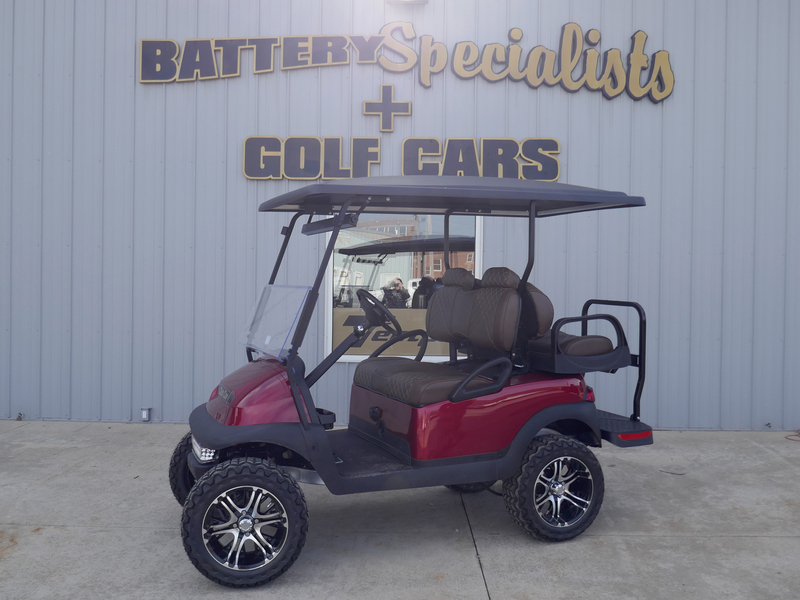 Financing as low as $143.51 per month! 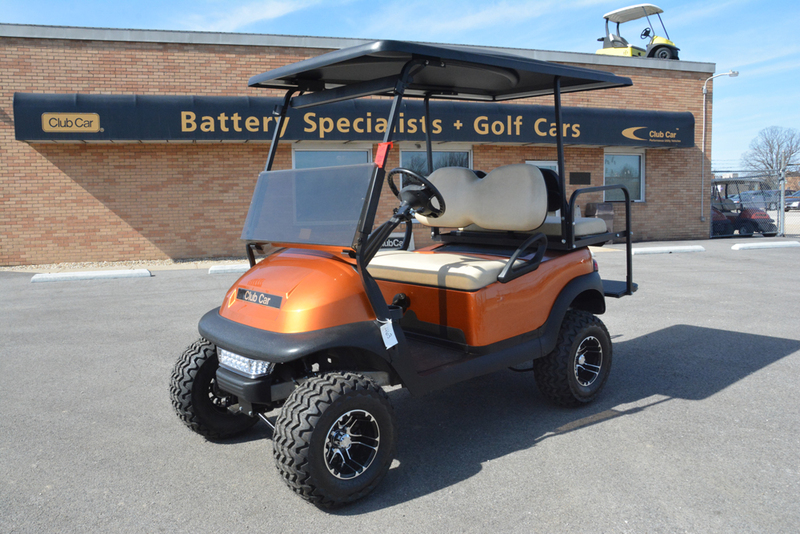 Financing as low as $245.11 per month! 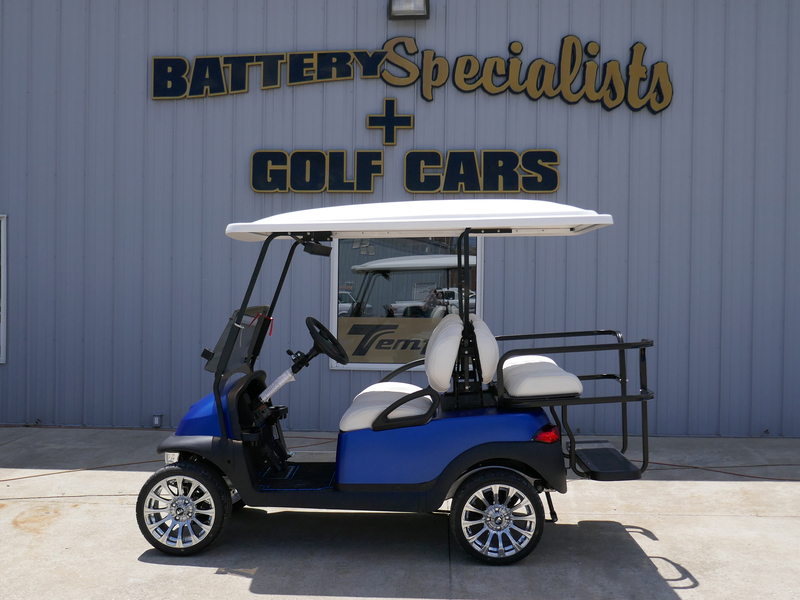 Financing as low as $259.00 per month! 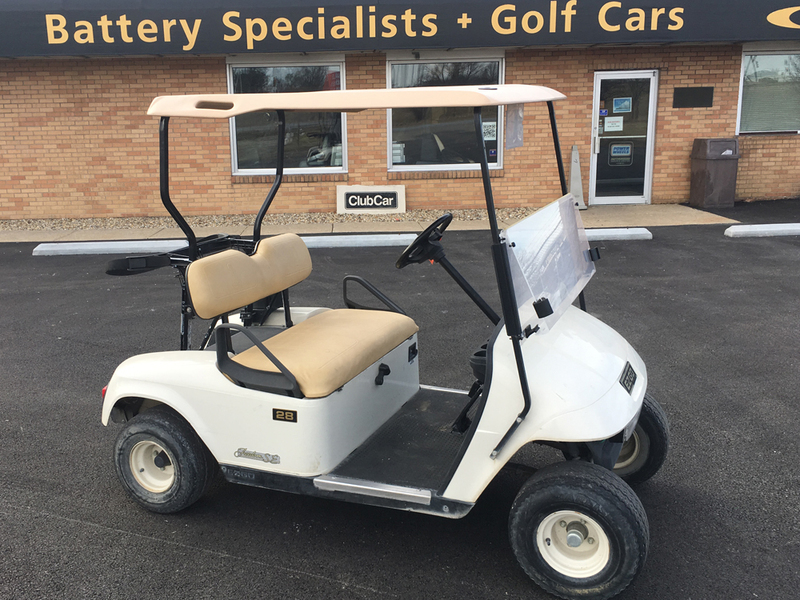 Financing as low as $253.37 per month! 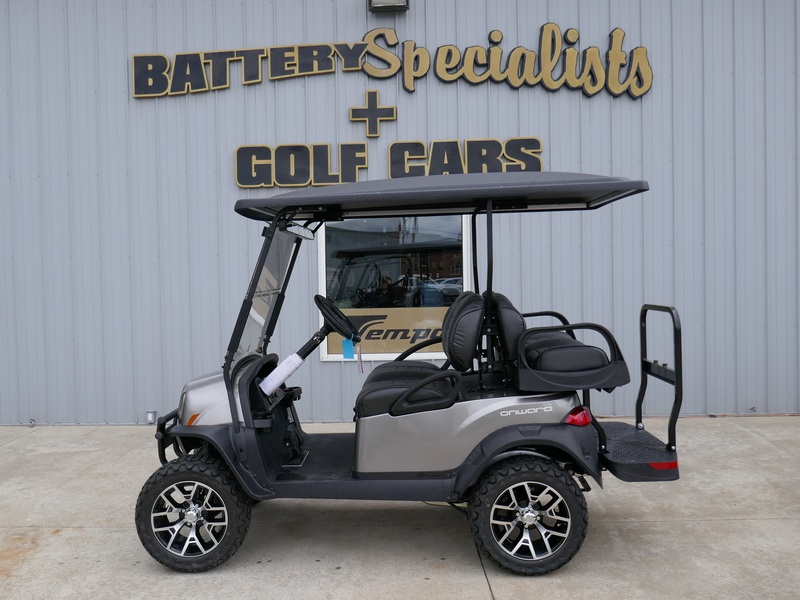 Financing as low as $186.33 per month! 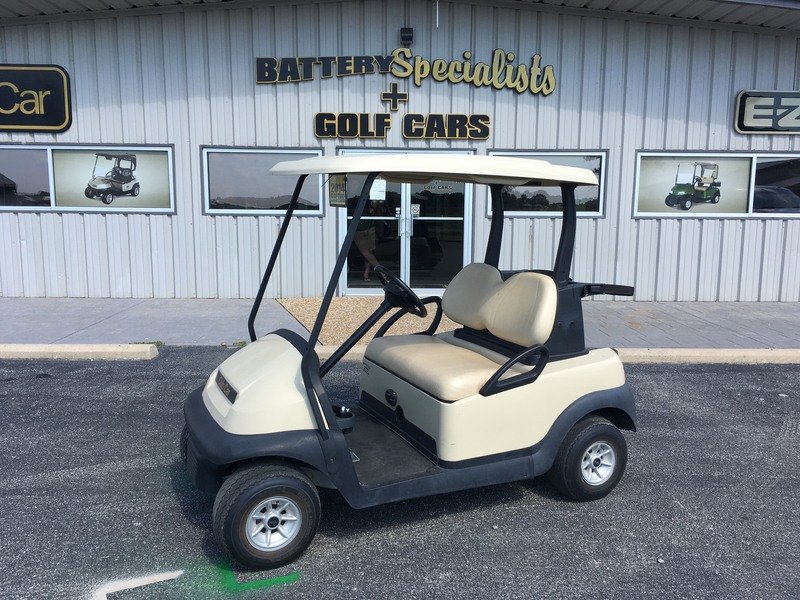 Financing as low as $261.31 per month! 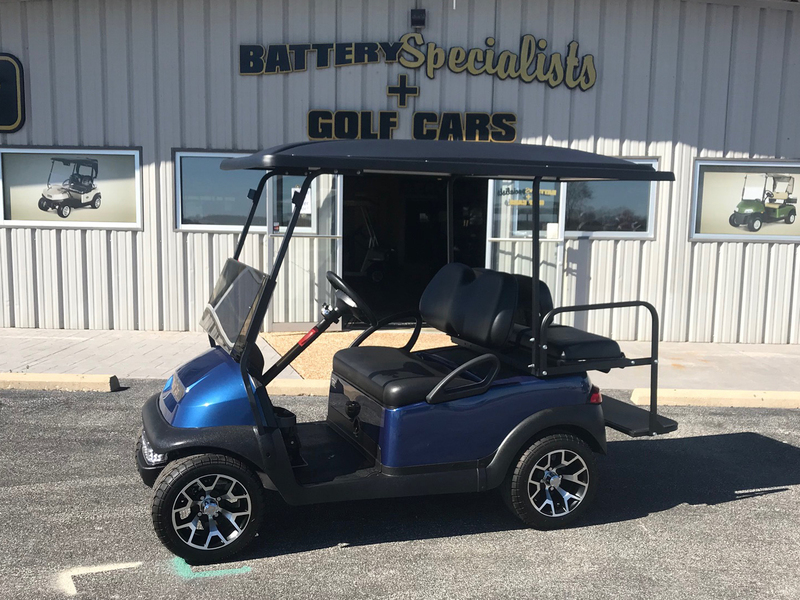 Financing as low as $199.69 per month! 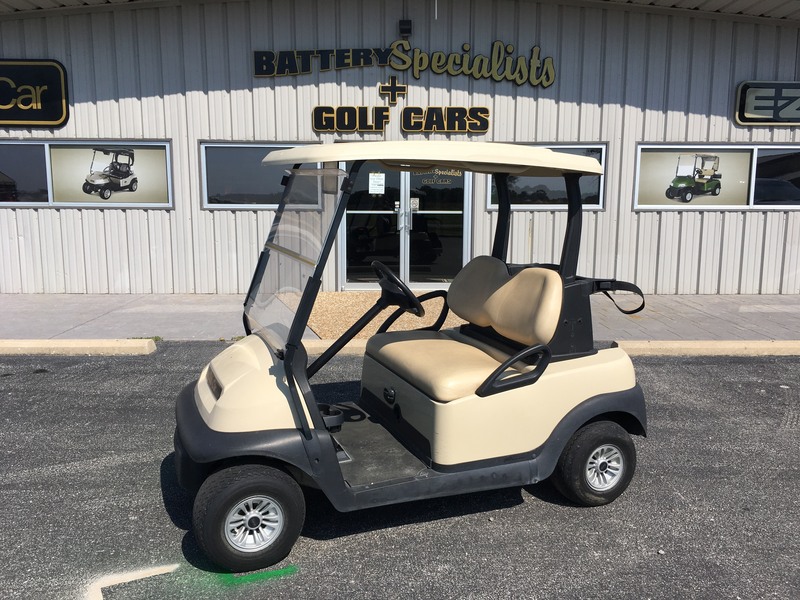 Financing as low as $291.40 per month! 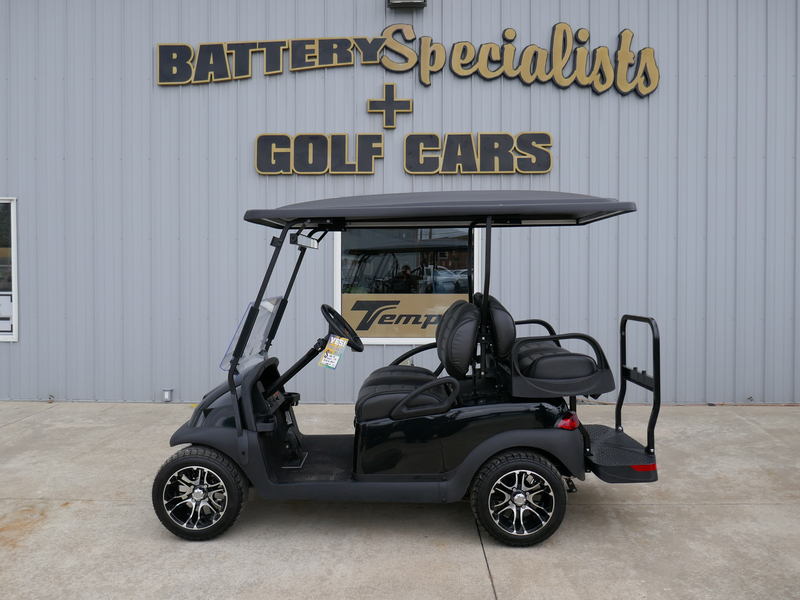 Financing as low as $167.12 per month! 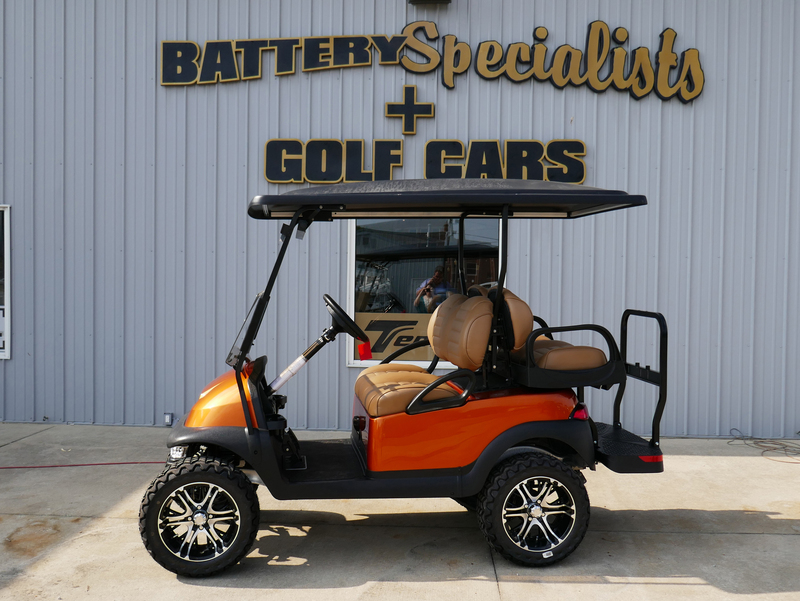 Financing as low as $277.51 per month! 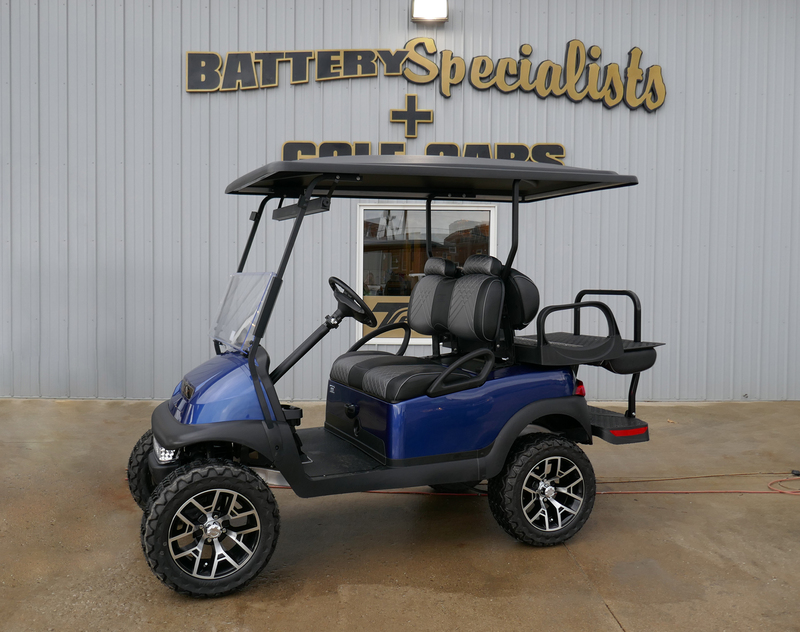 Financing as low as $207.77 per month! 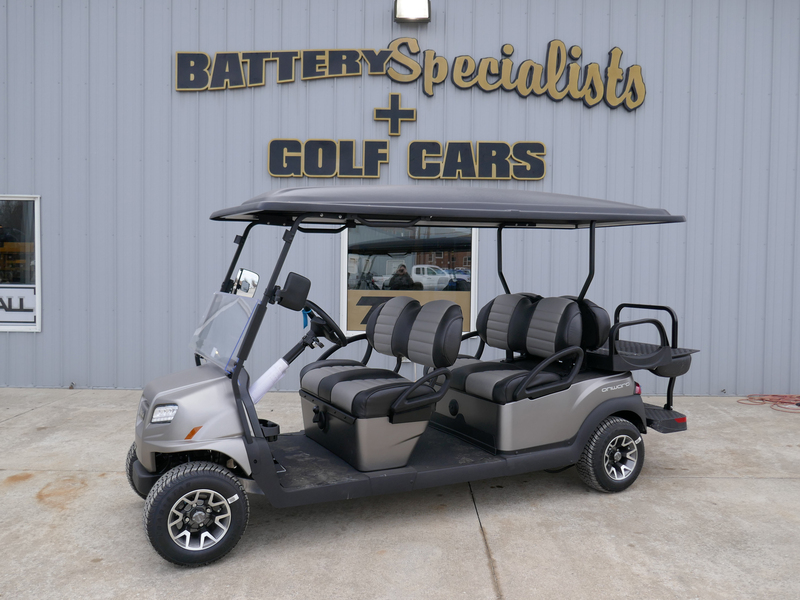 Financing as low as $297.88 per month! 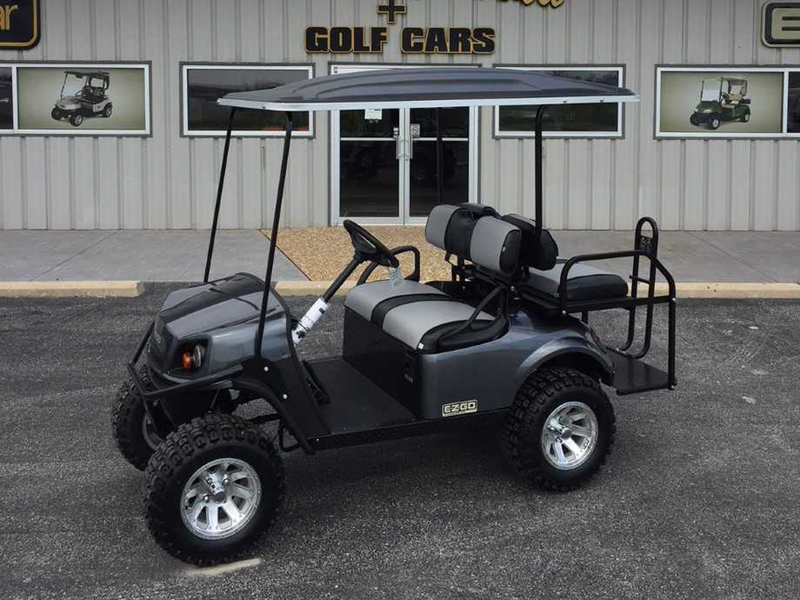 Financing as low as $301.12 per month! 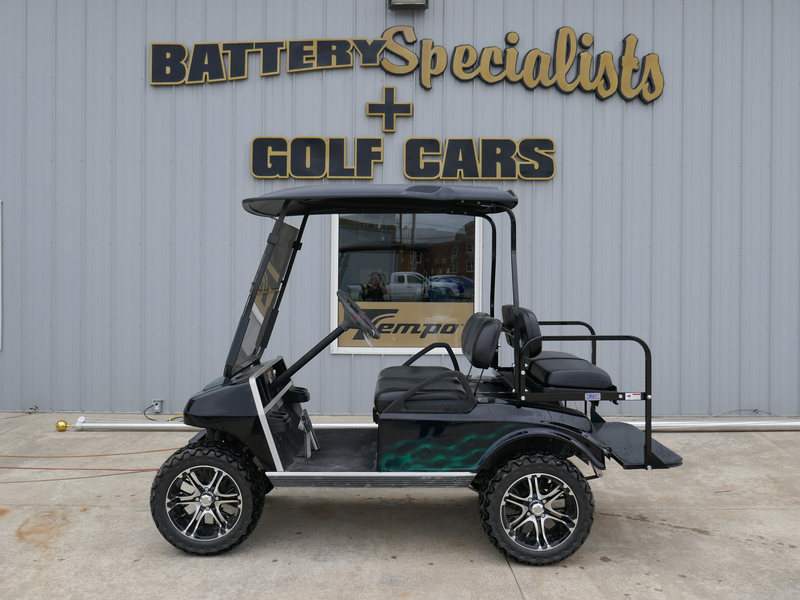 Financing as low as $175.72 per month! 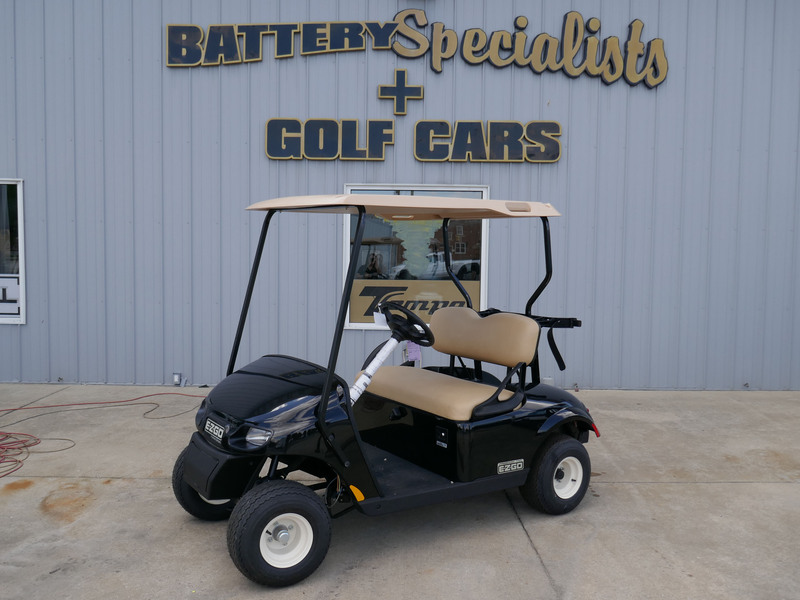 Financing as low as $293.71 per month! 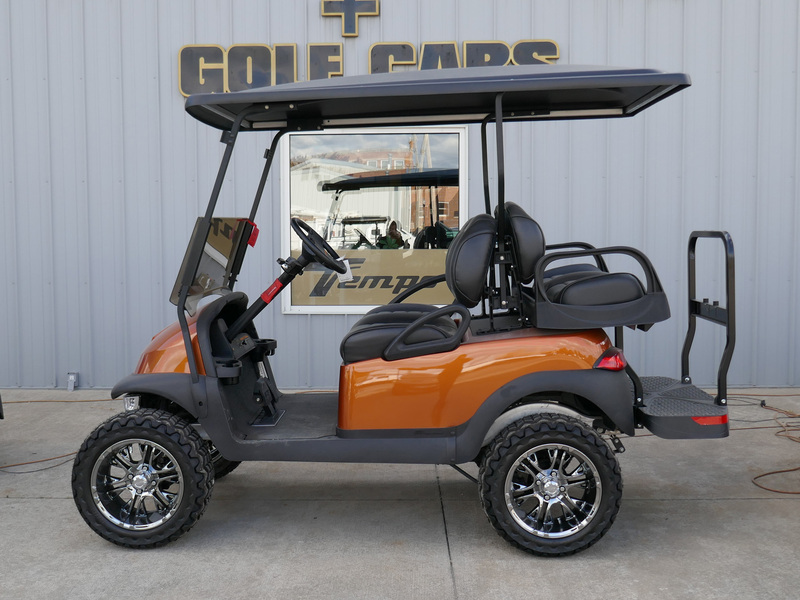 Financing as low as $213.08 per month! 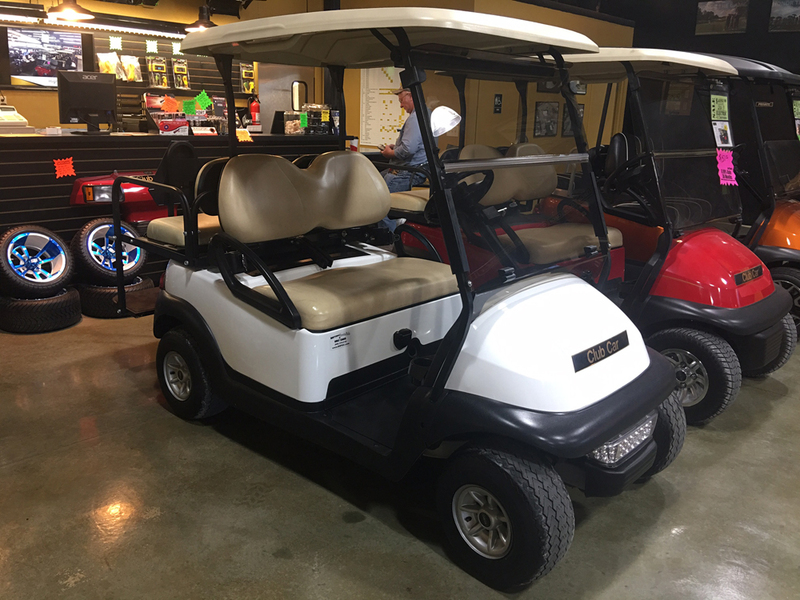 Financing as low as $220.35 per month! 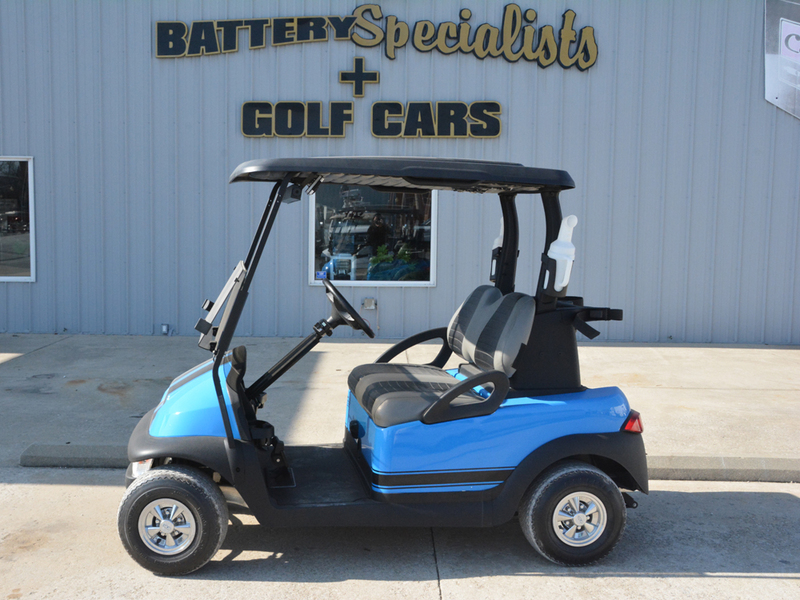 Financing as low as $224.21 per month! 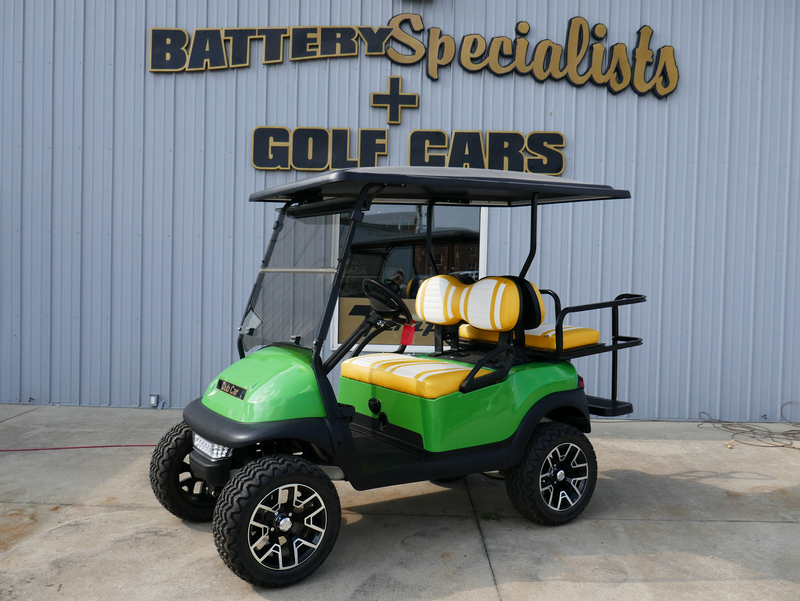 Financing as low as $309.91 per month! 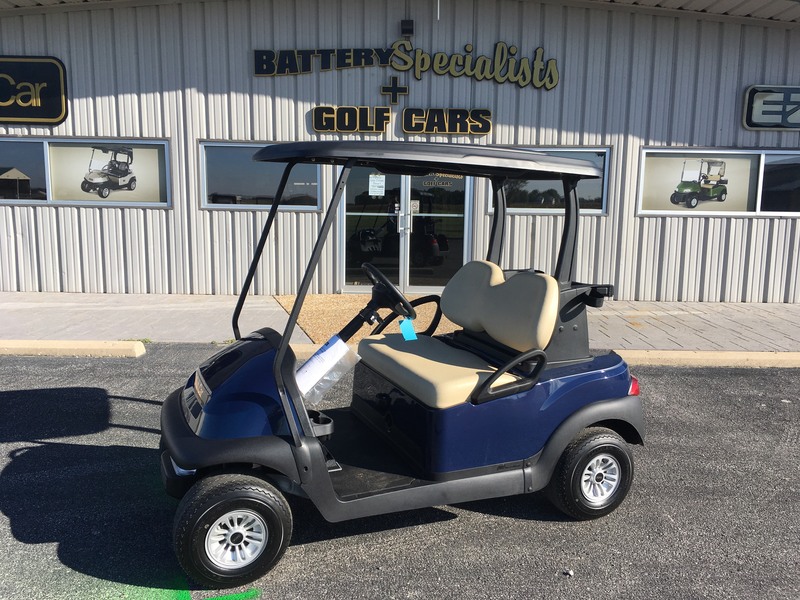 Financing as low as $229.96 per month! 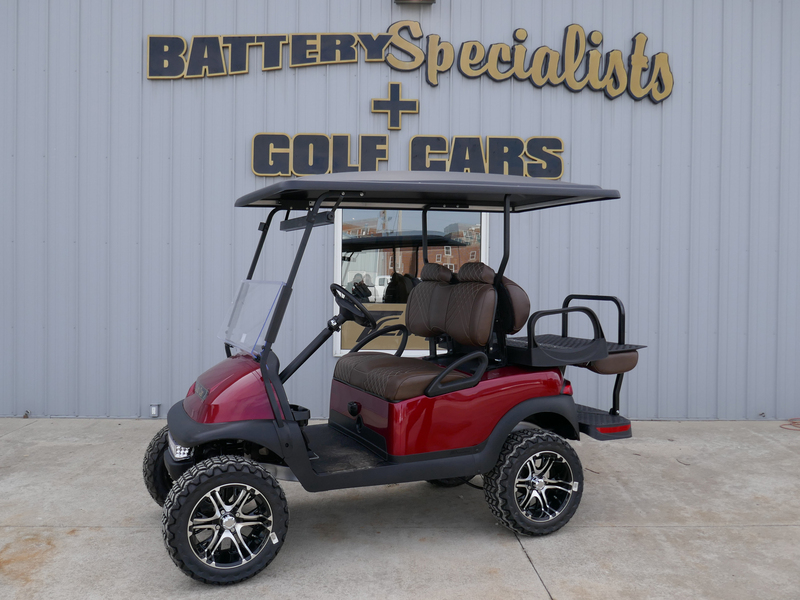 Financing as low as $237.31 per month! 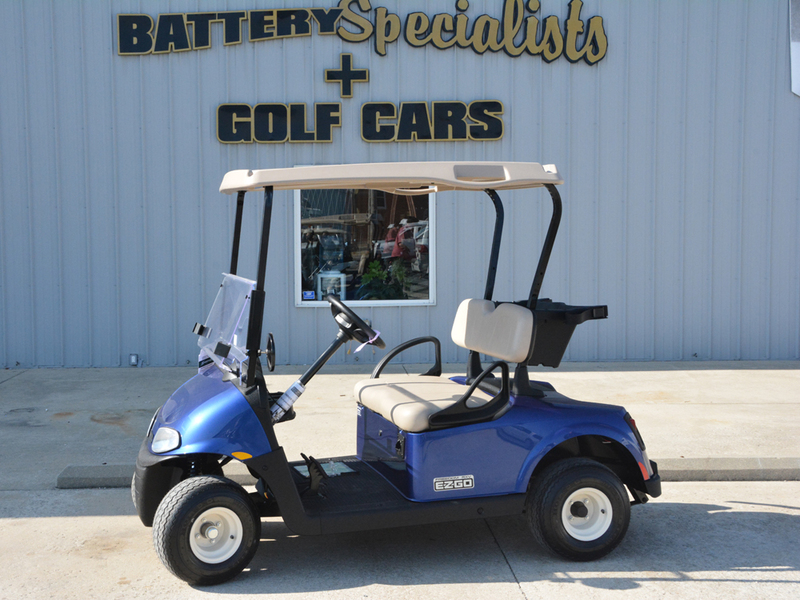 Financing as low as $238.56 per month! 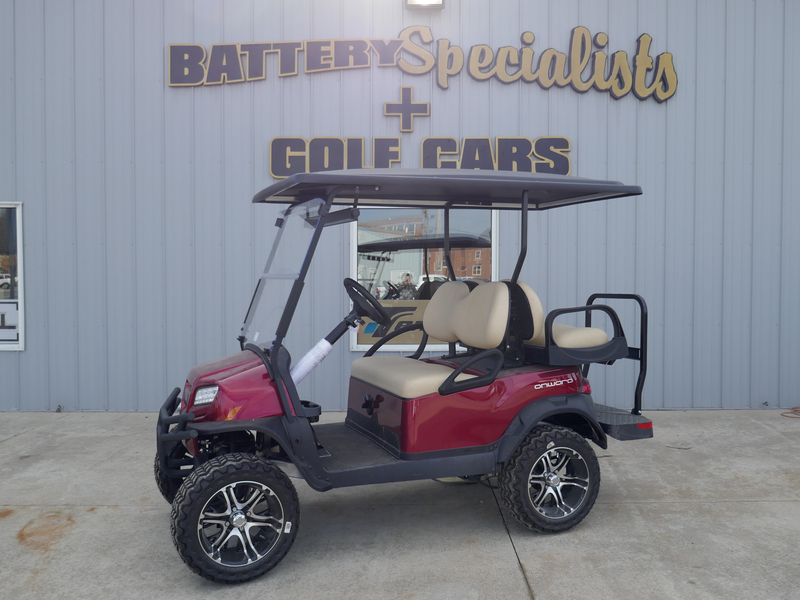 Financing as low as $239.48 per month! 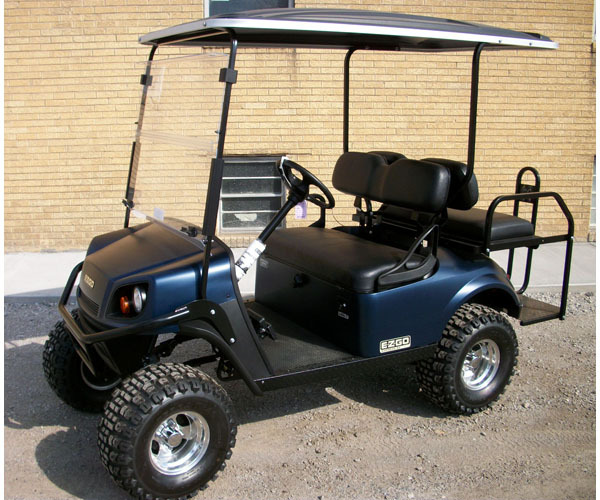 Financing as low as $244.23 per month! 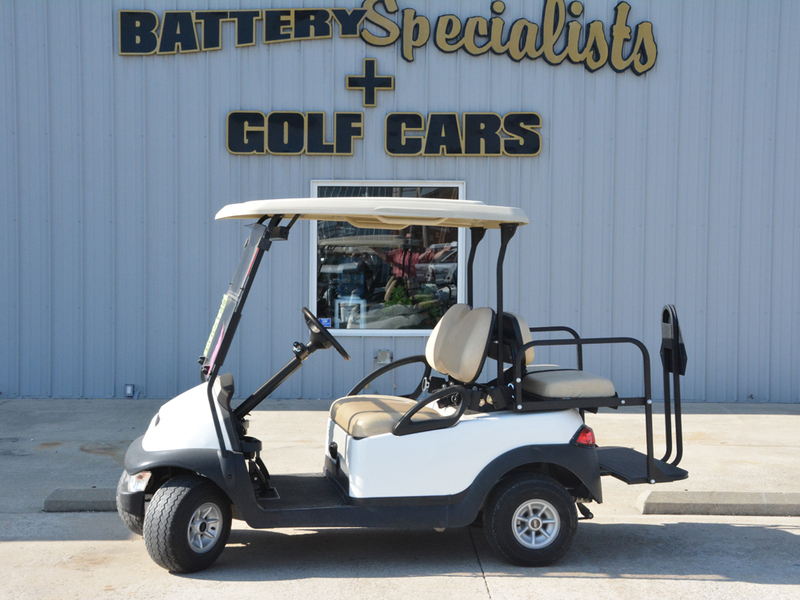 Financing as low as $253.90 per month! 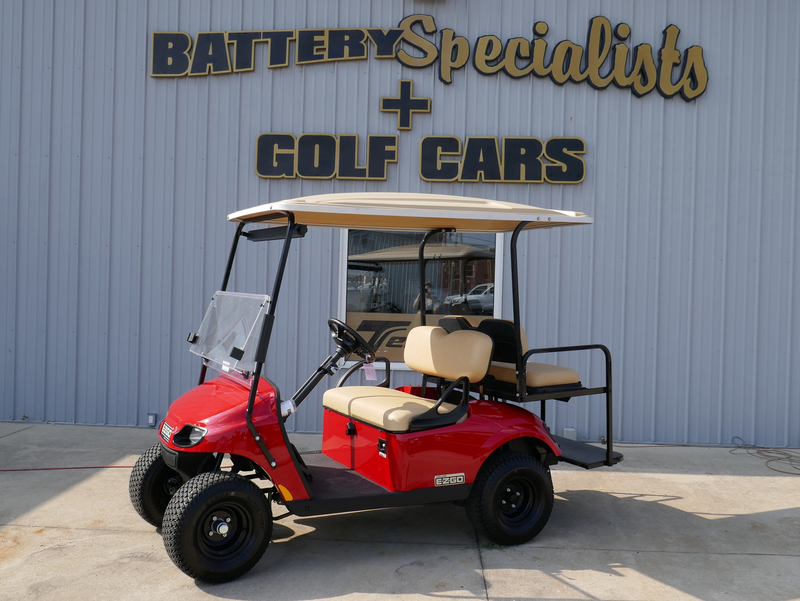 Financing as low as $254.79 per month! 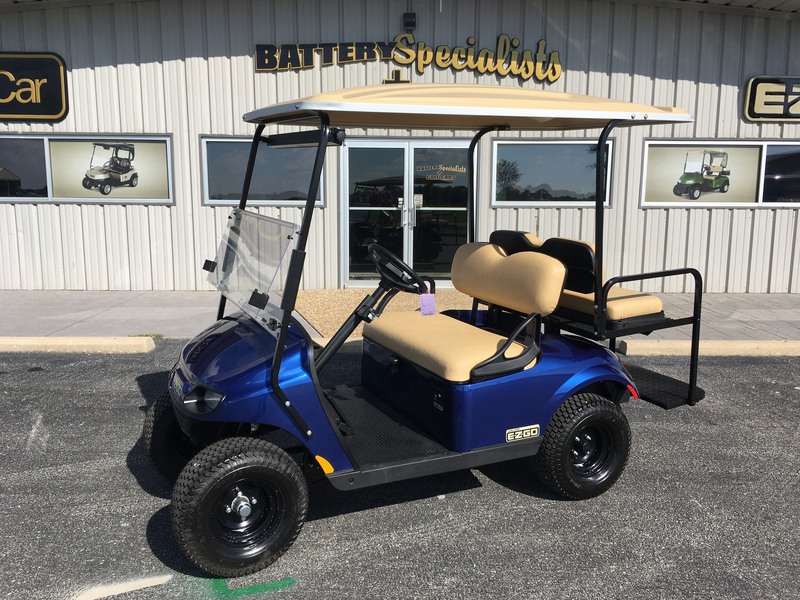 Financing as low as $255.94 per month! 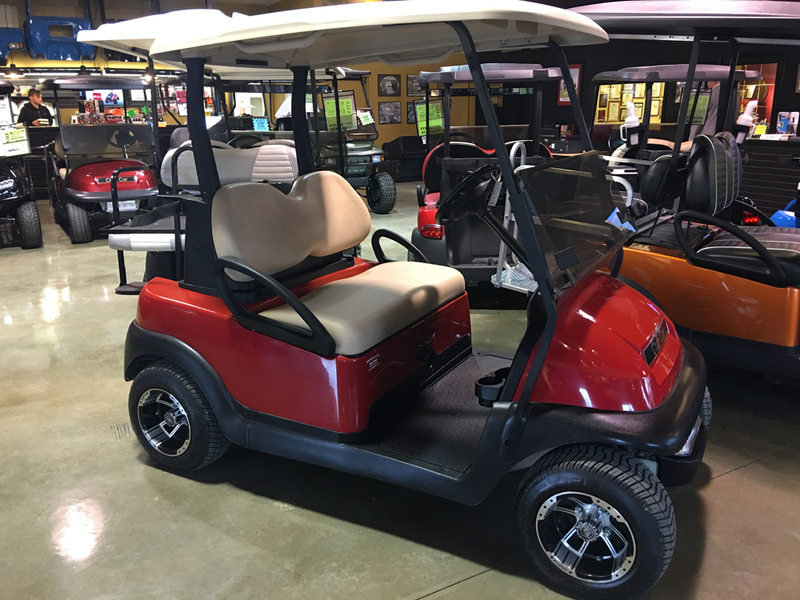 Financing as low as $255.81 per month! 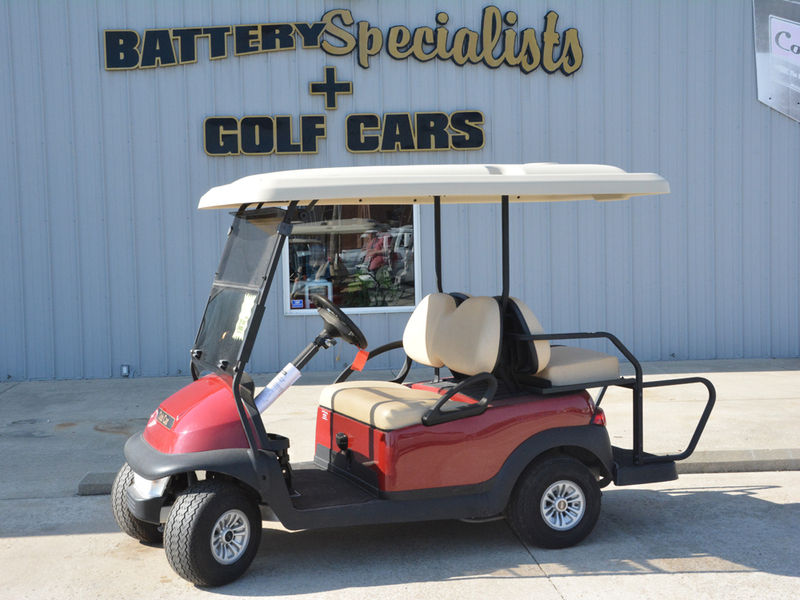 Financing as low as $255.90 per month! 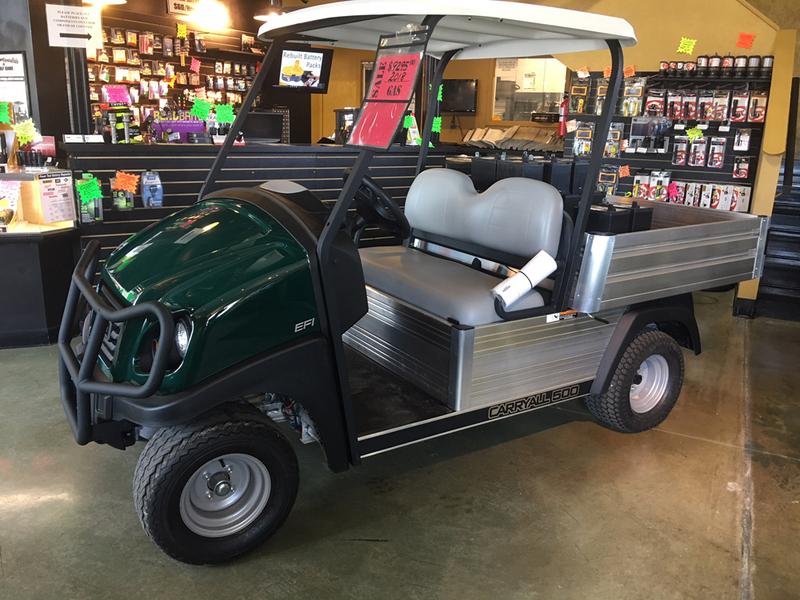 Financing as low as $272.38 per month! 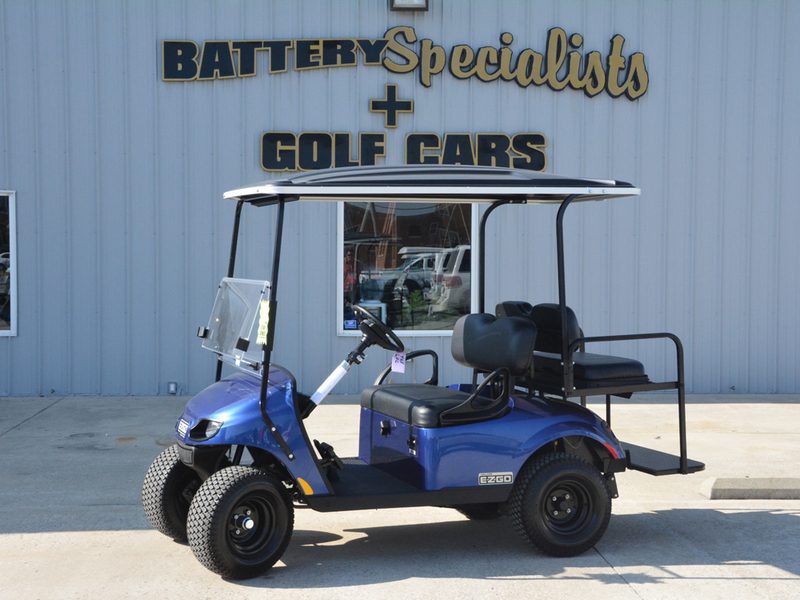 Financing as low as $267.48 per month! 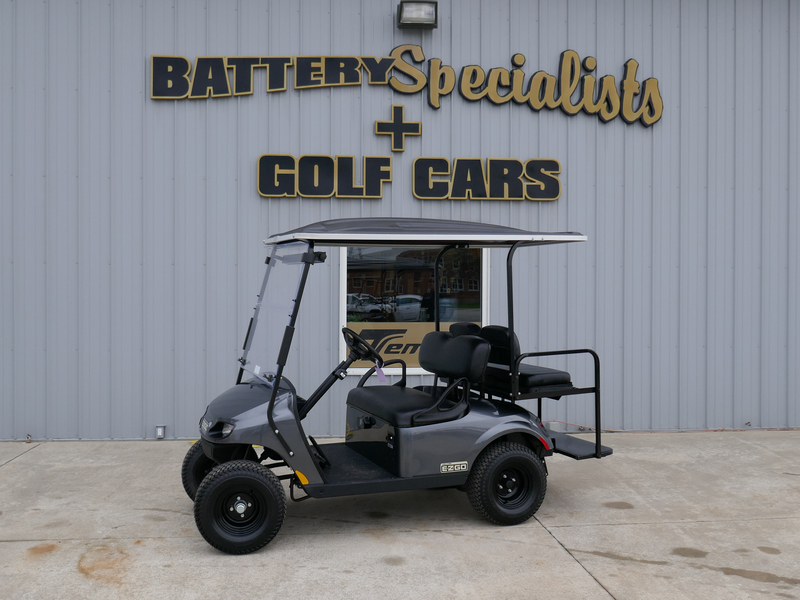 Financing as low as $272.46 per month! 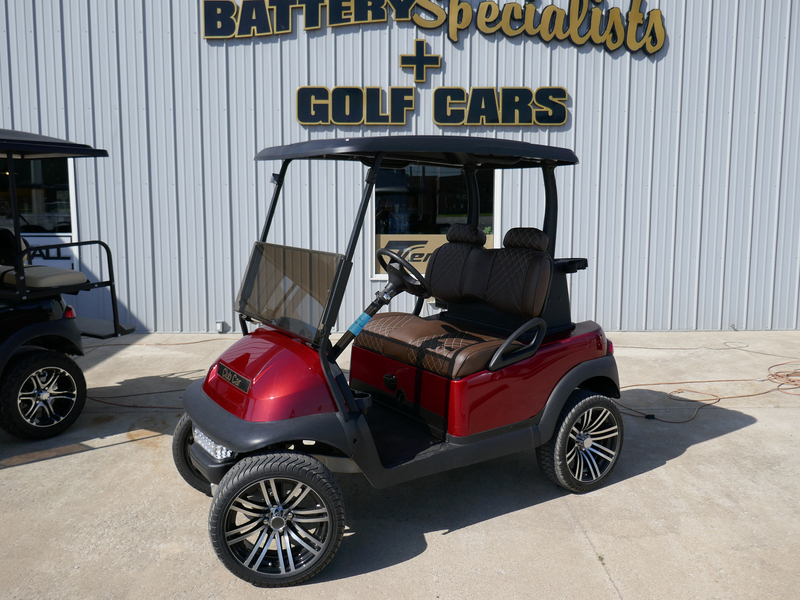 Financing as low as $295.08 per month! 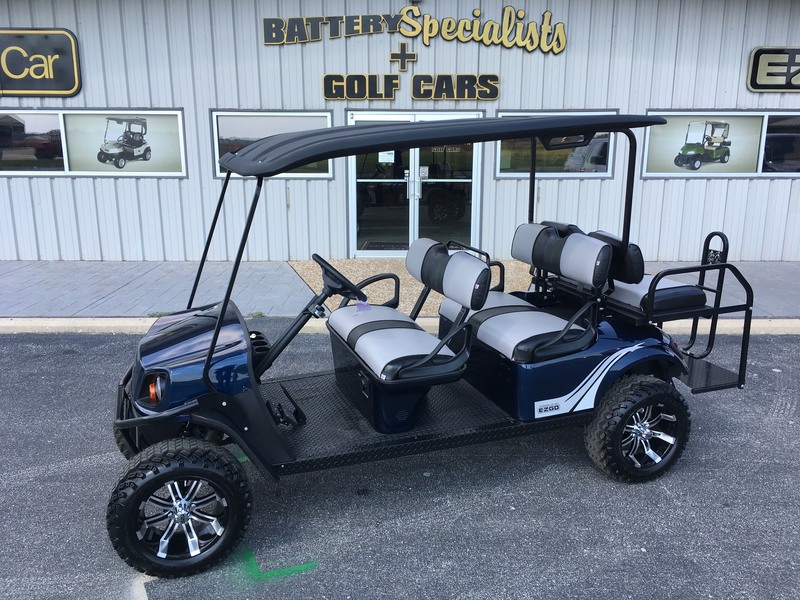 Financing as low as $329.23 per month! 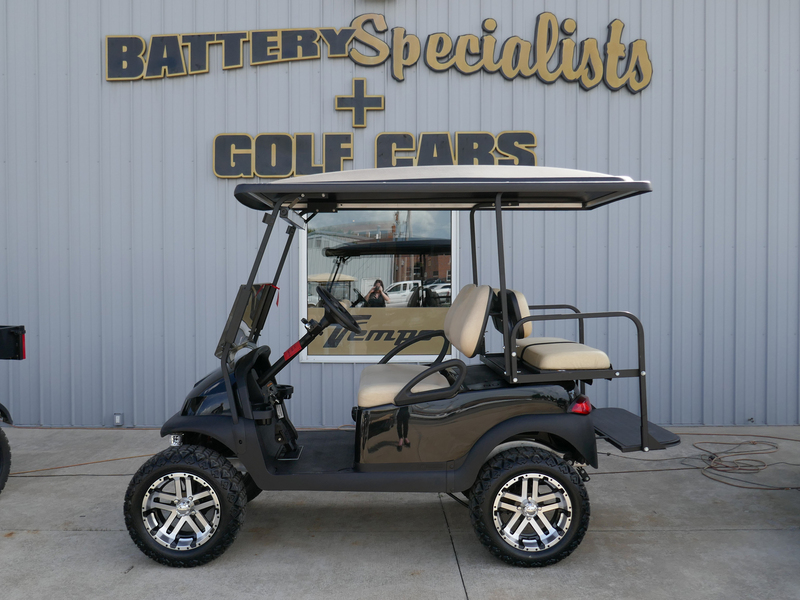 Ask us anything about this model and we will get back to you as early as possible.